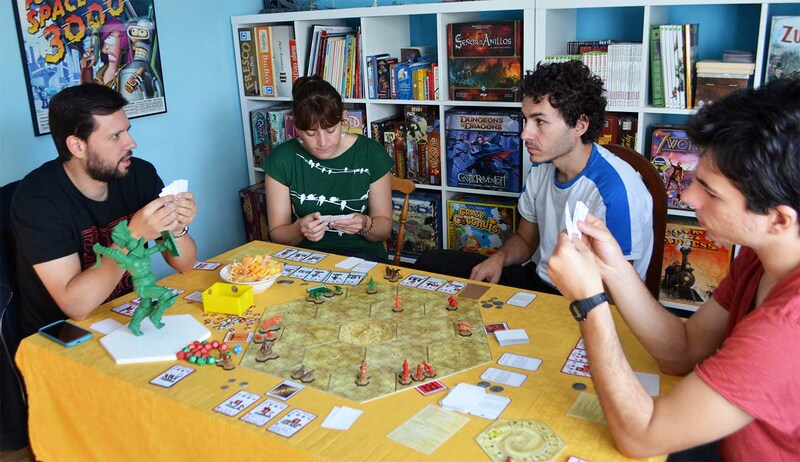 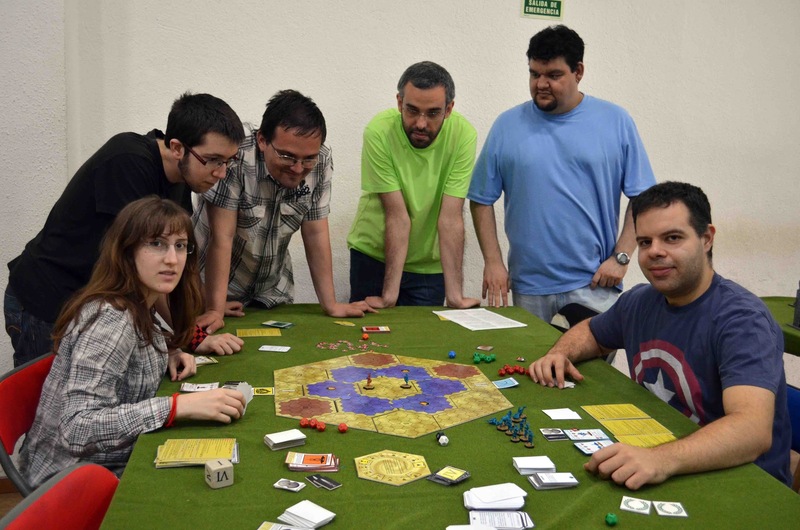 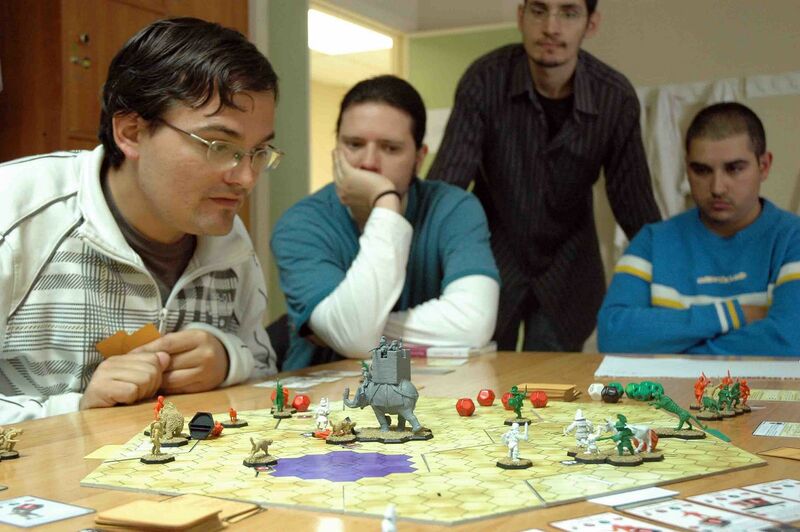 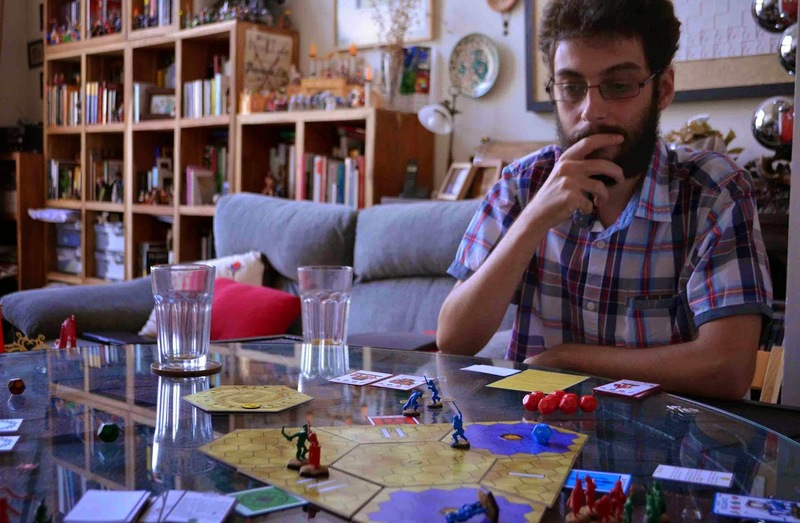 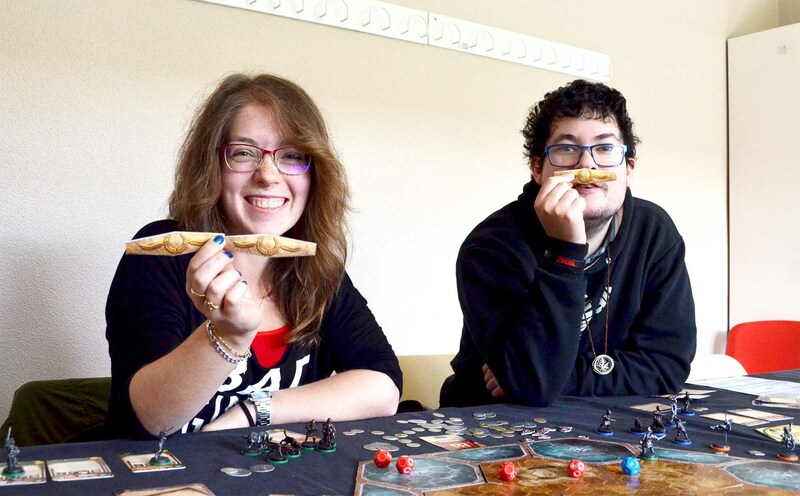 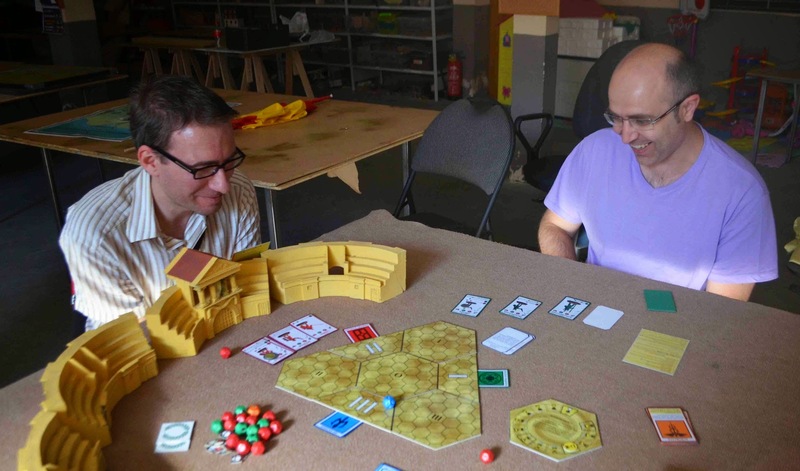 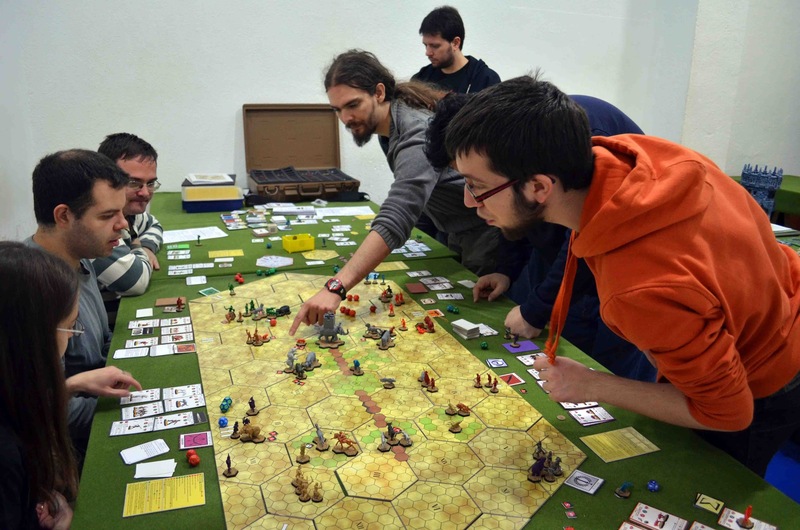 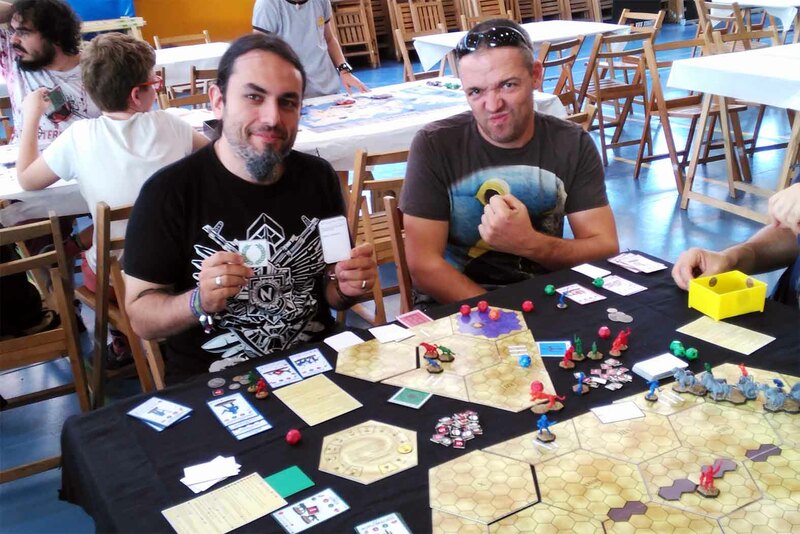 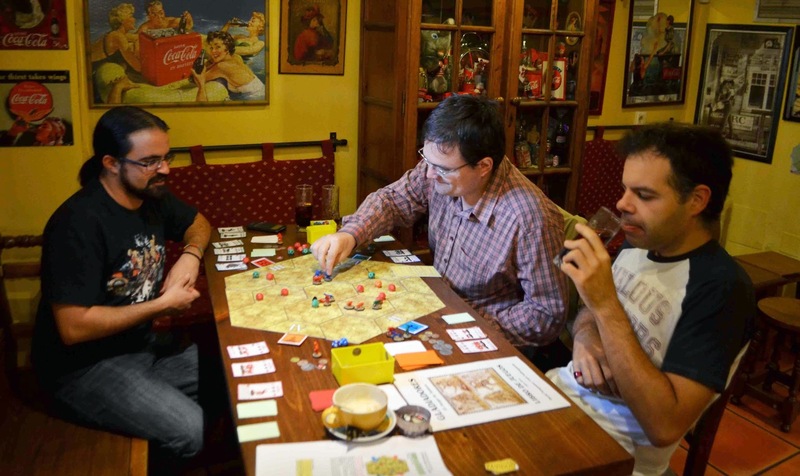 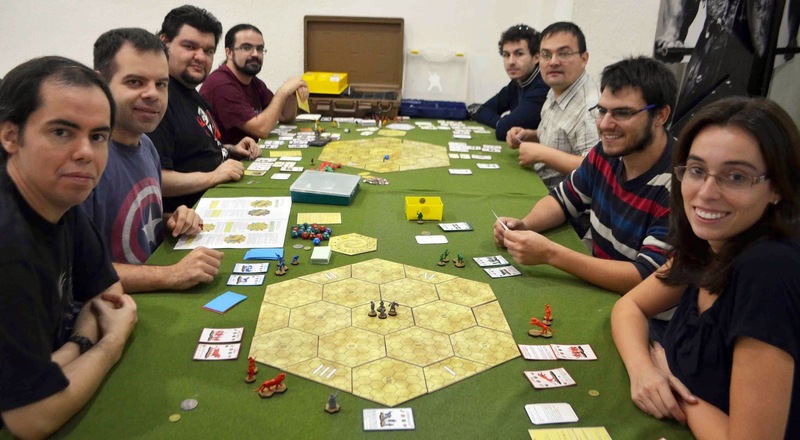 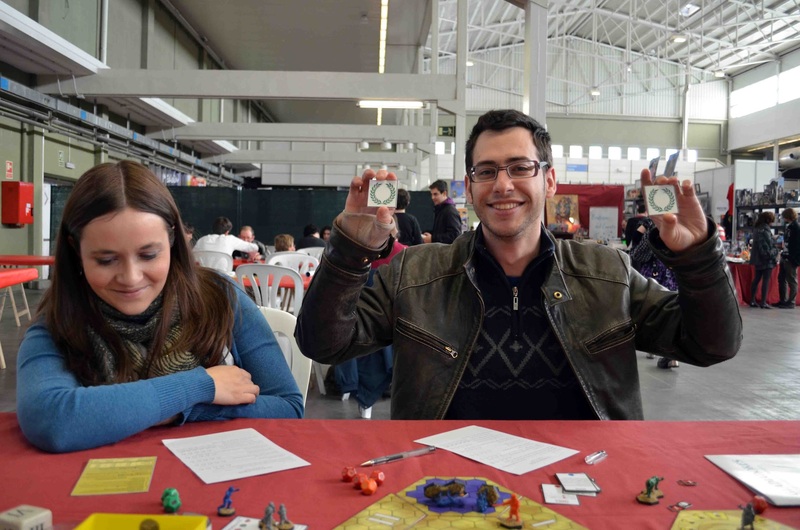 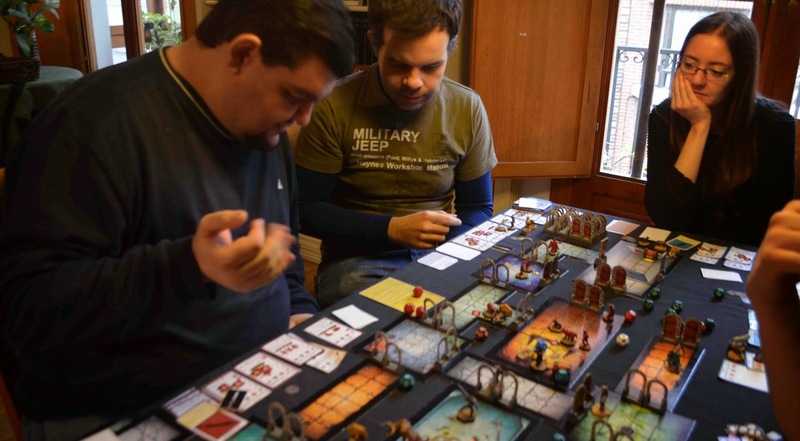 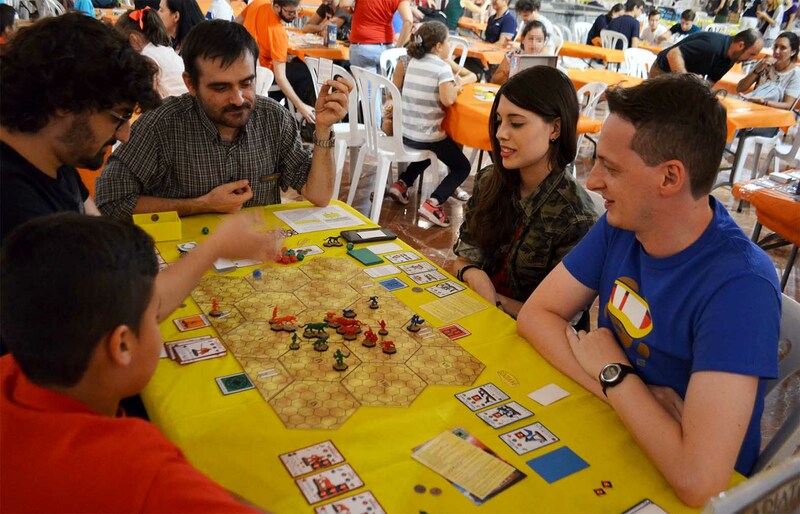 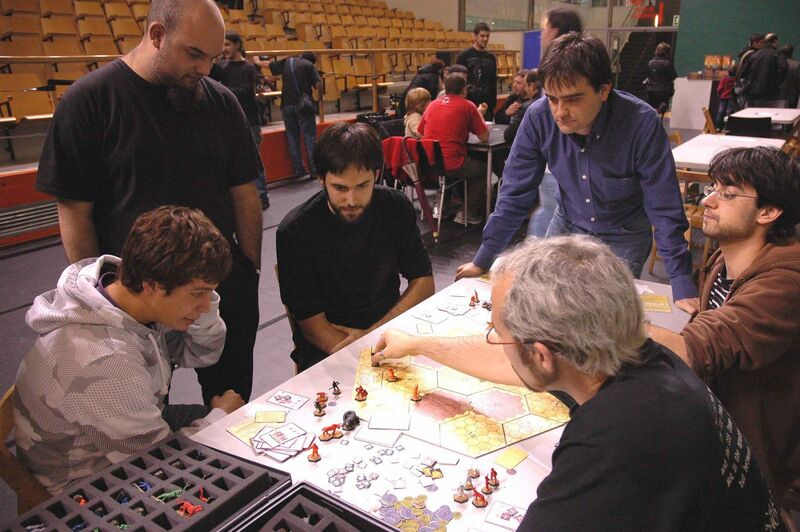 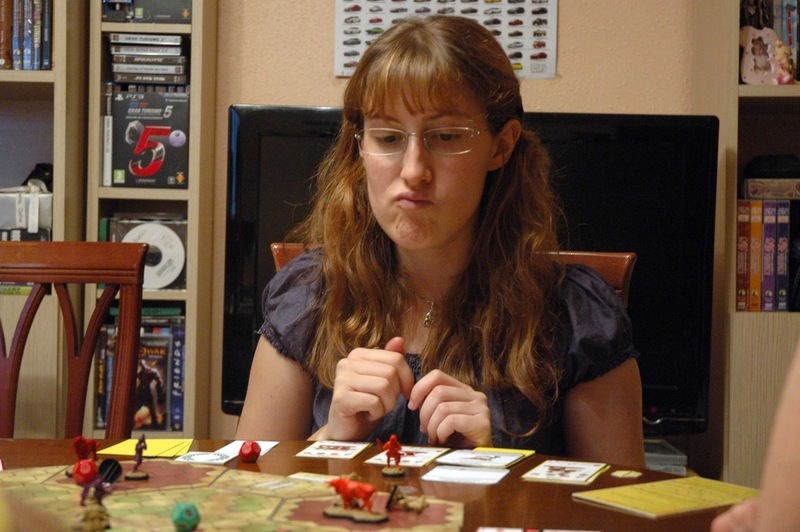 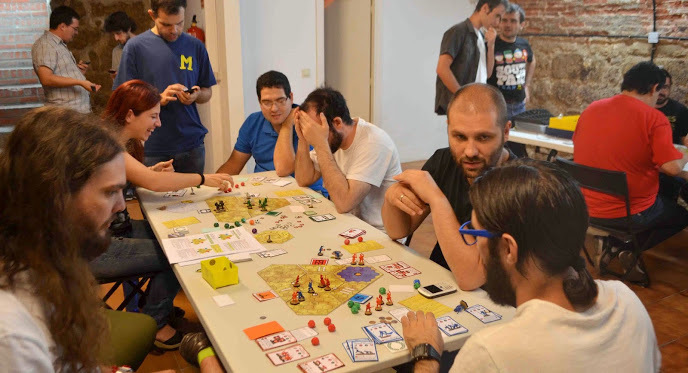 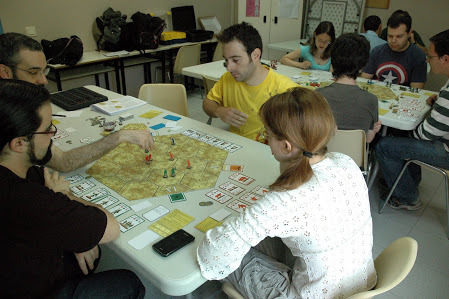 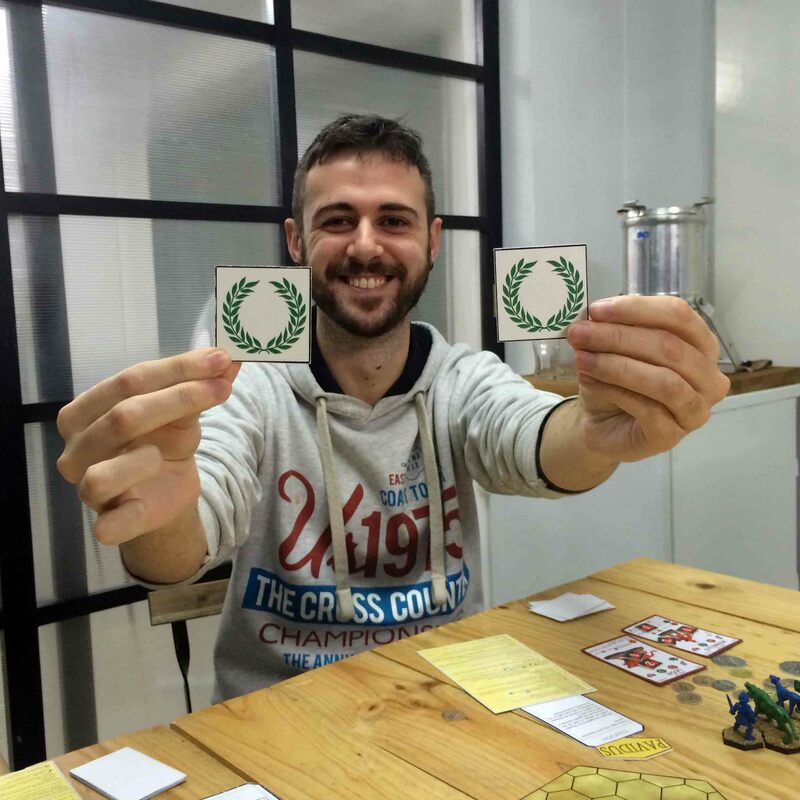 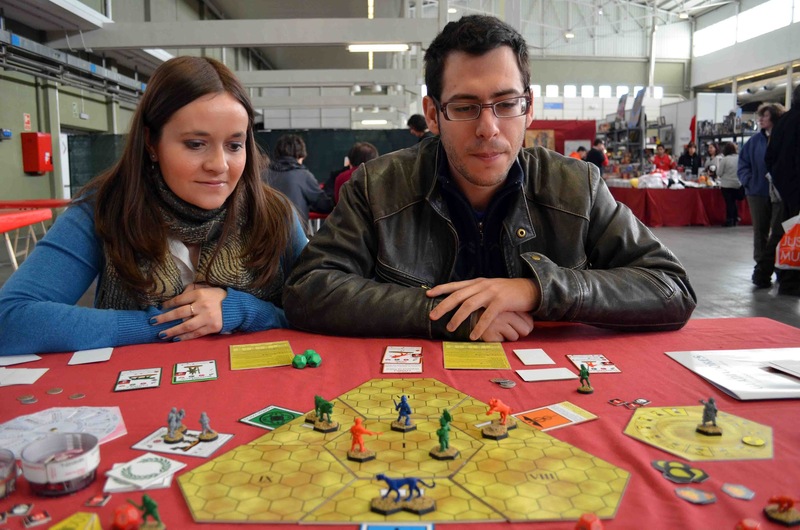 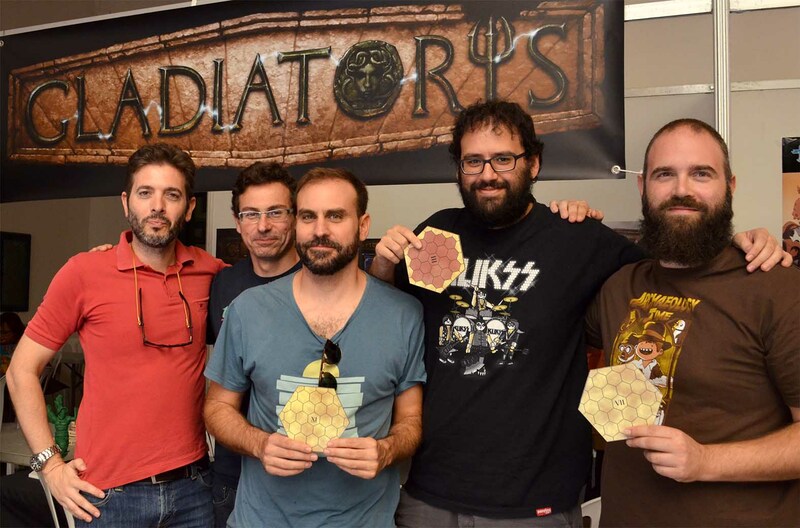 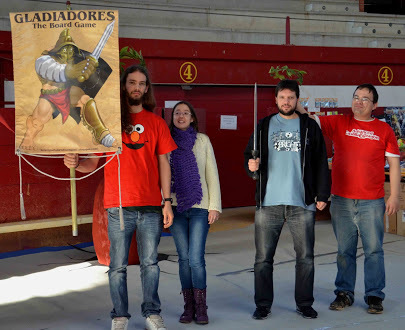 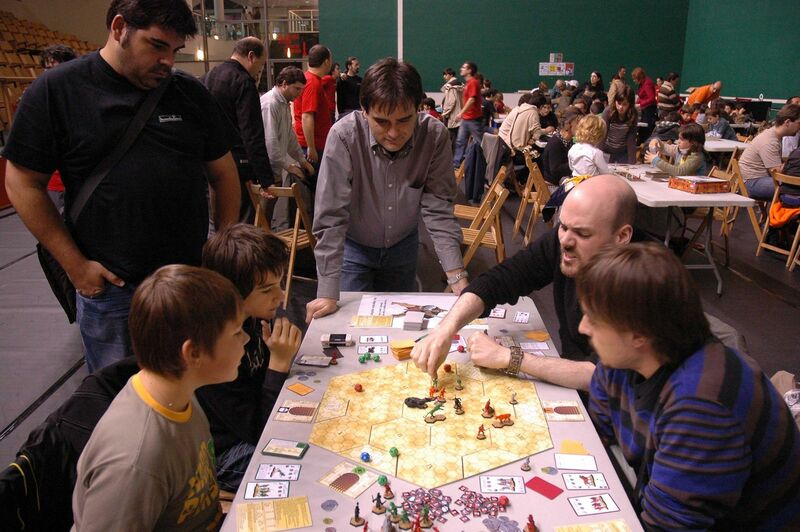 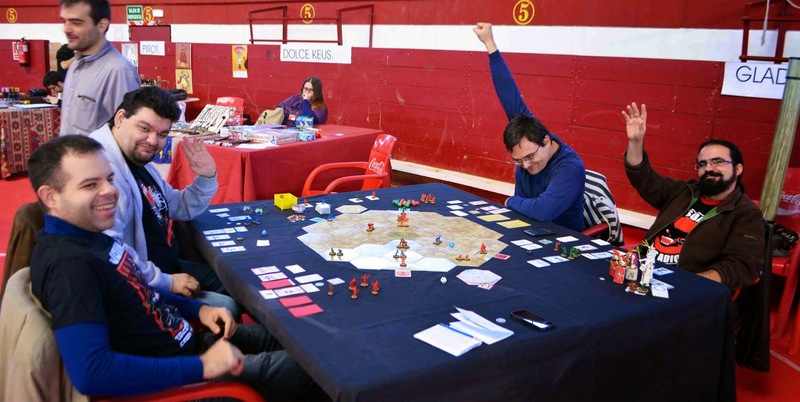 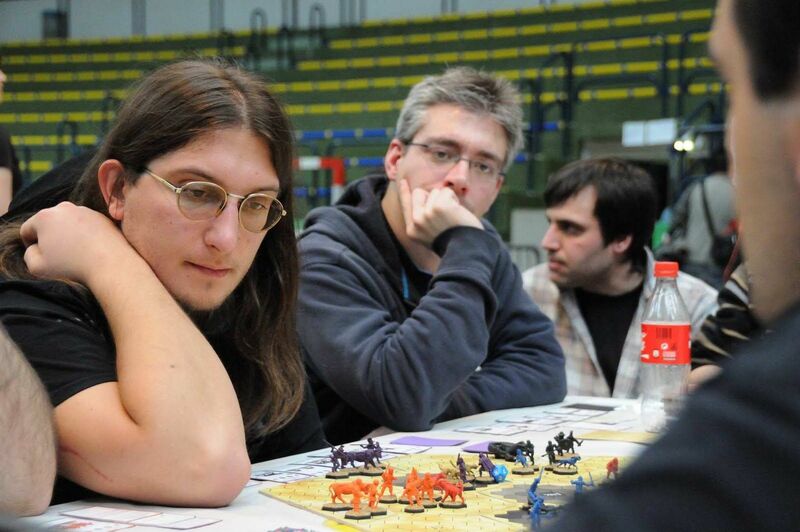 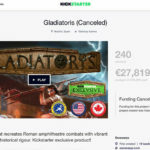 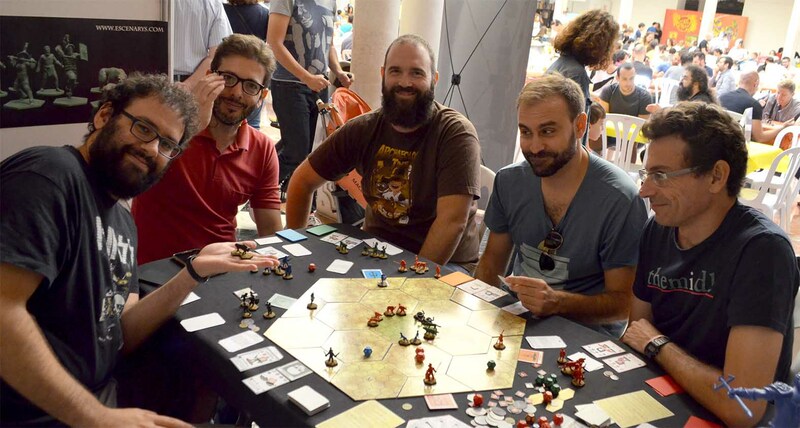 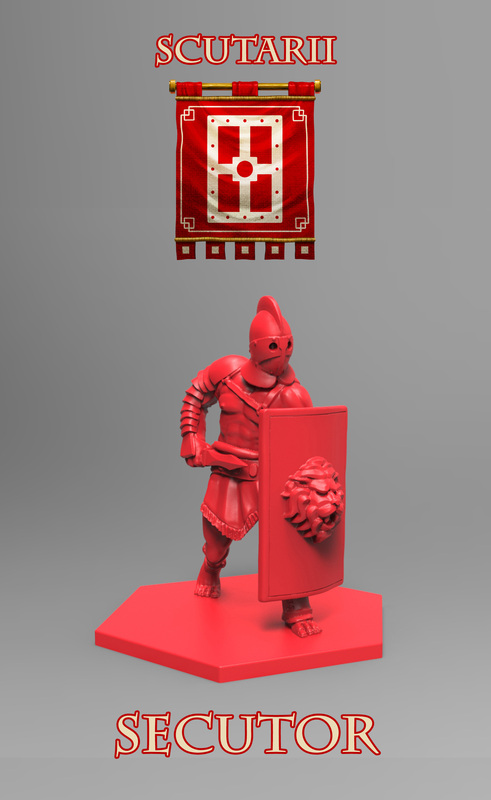 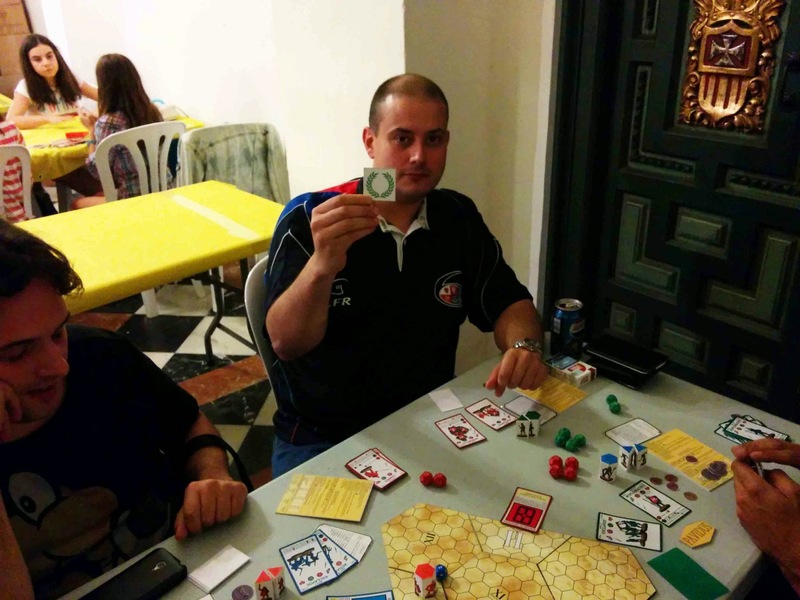 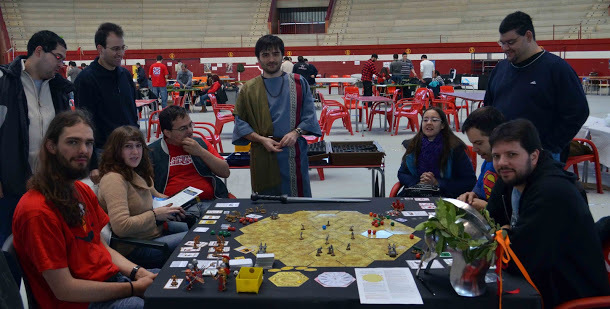 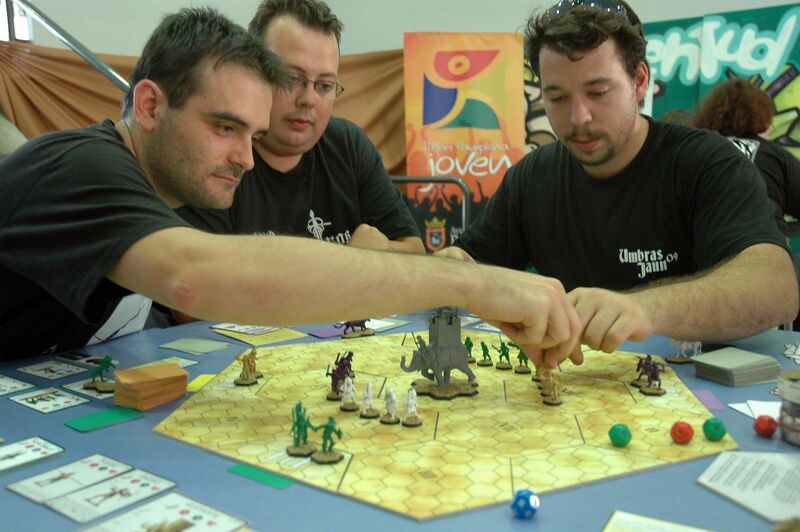 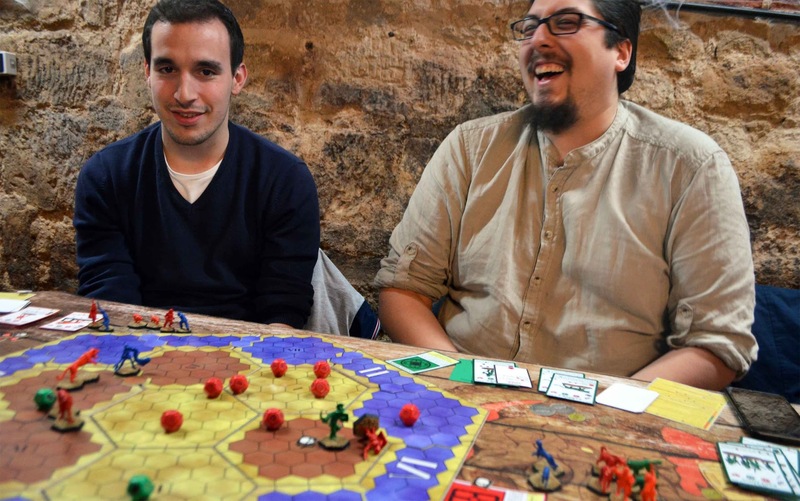 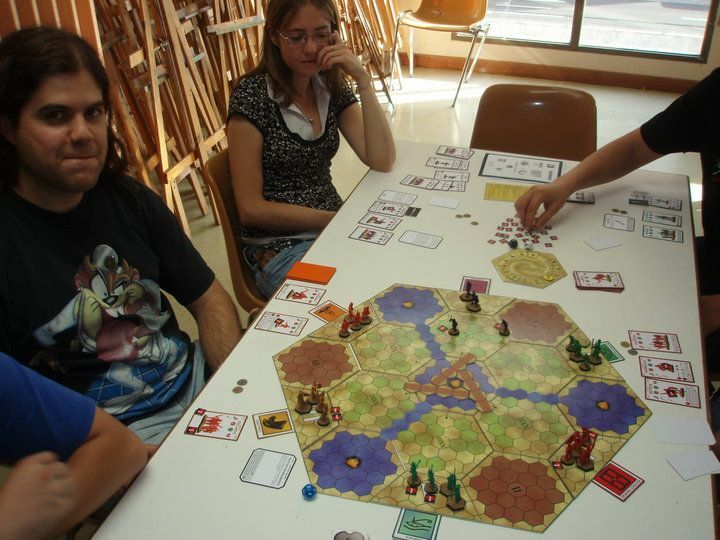 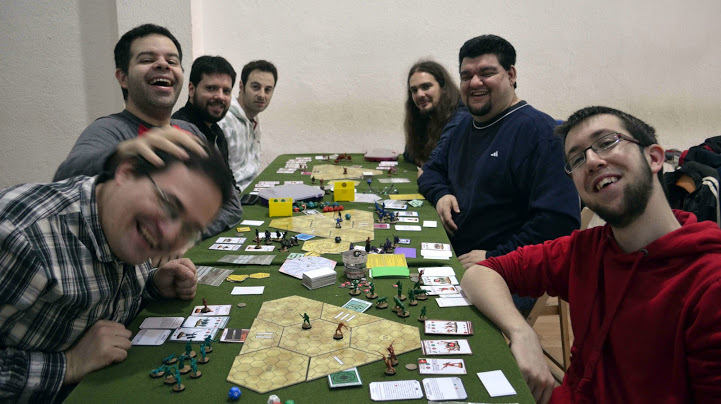 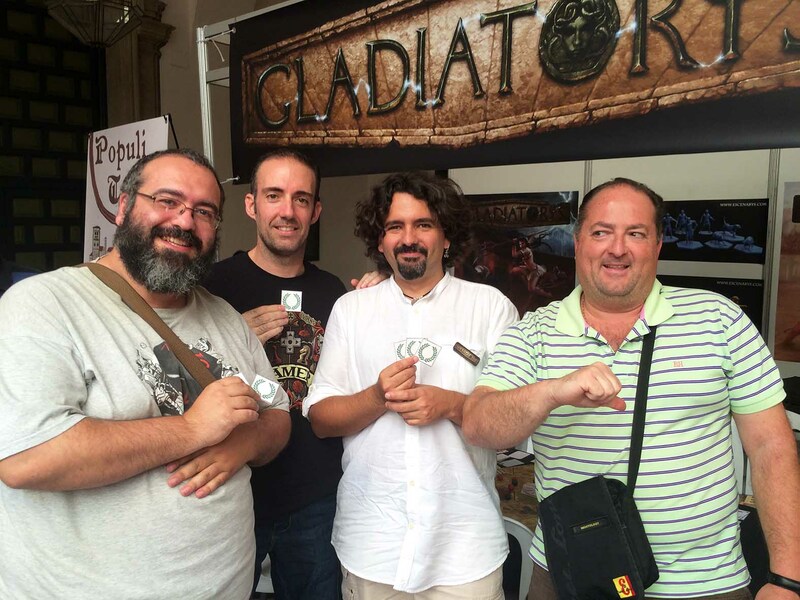 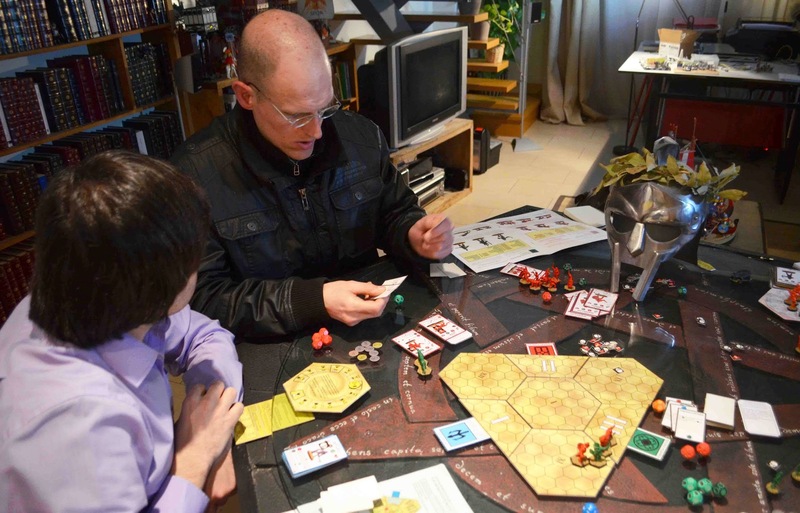 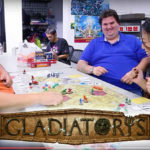 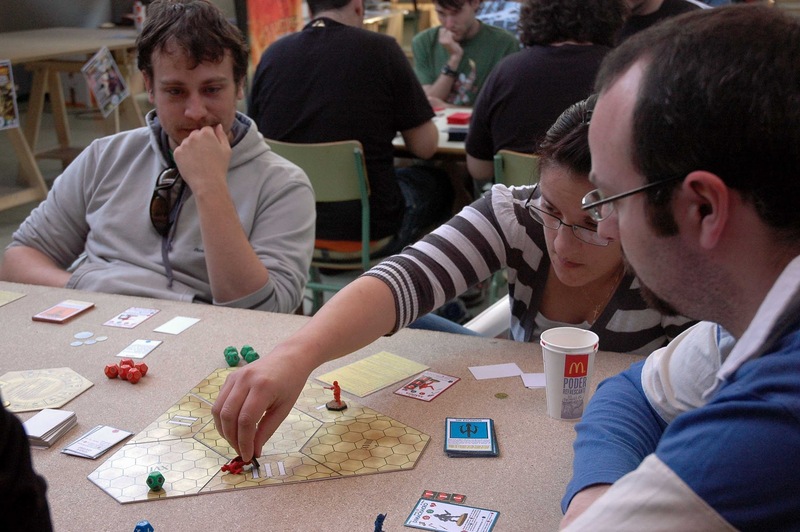 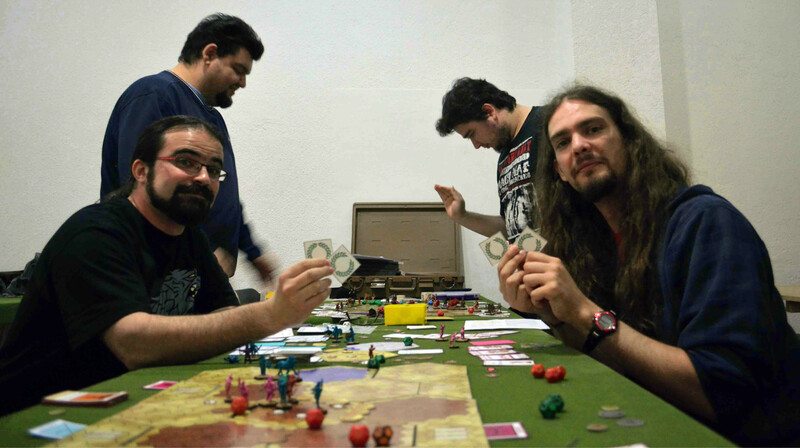 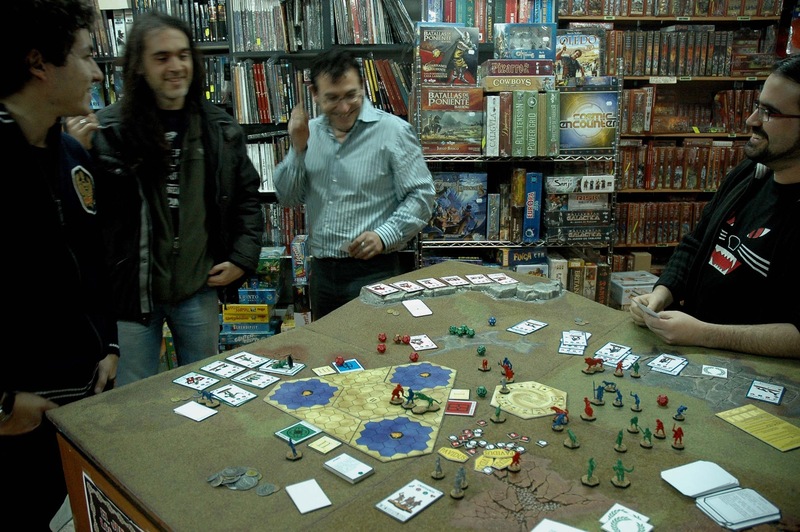 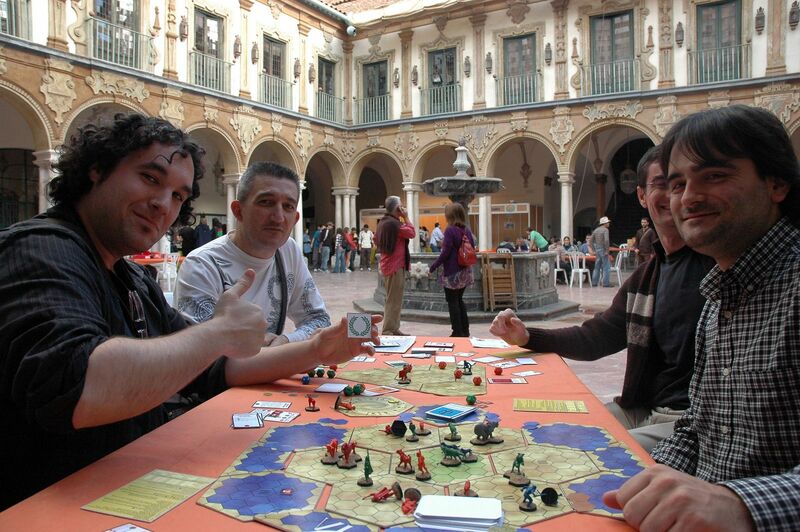 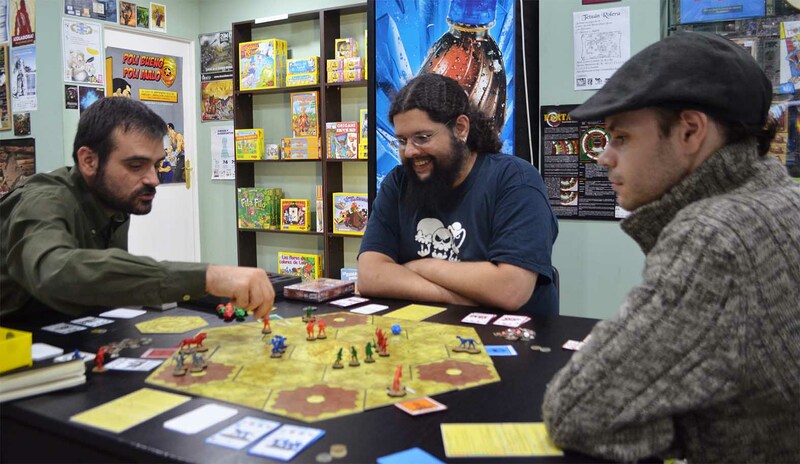 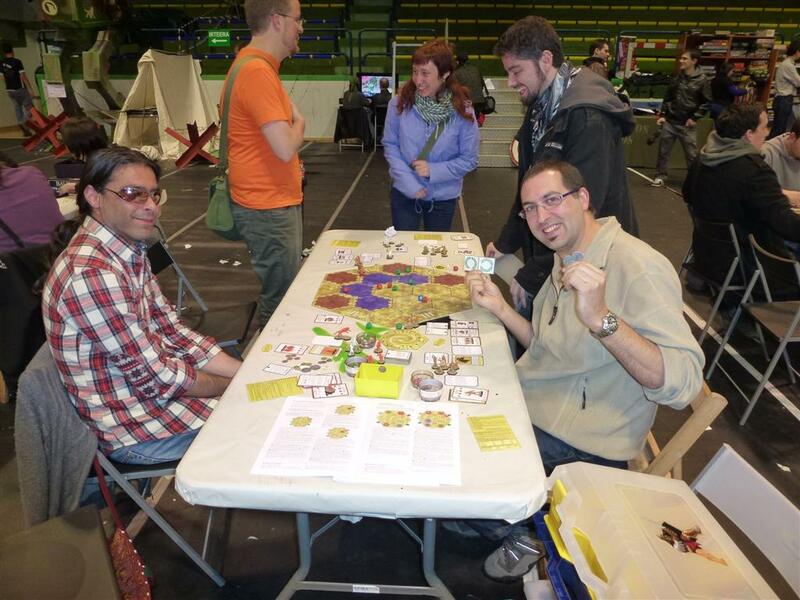 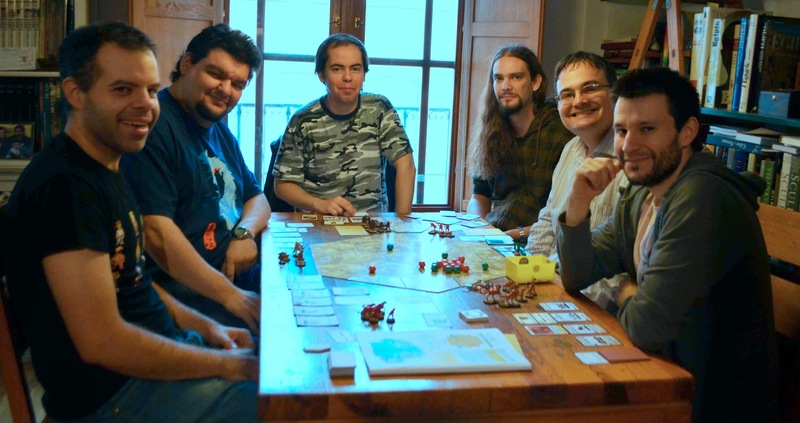 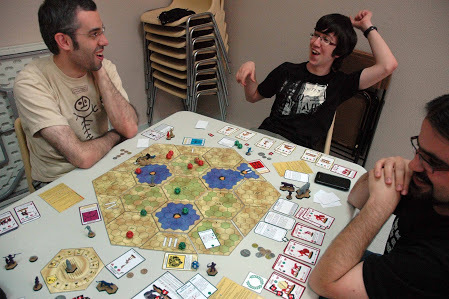 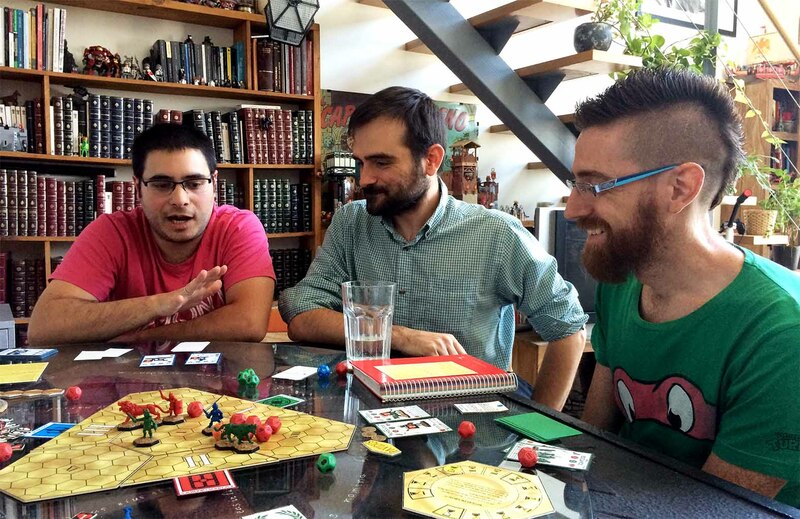 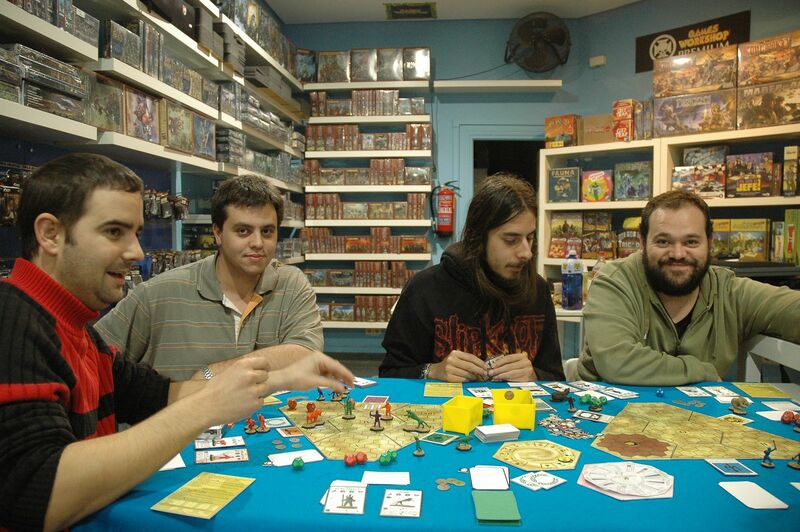 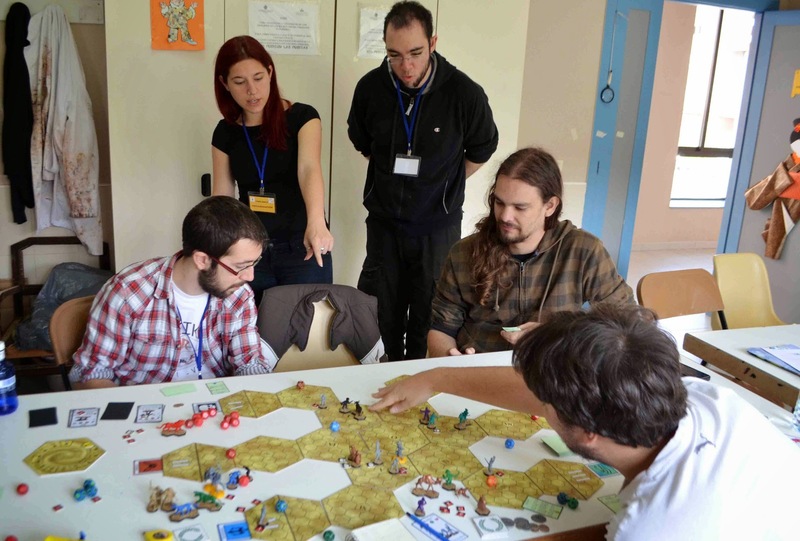 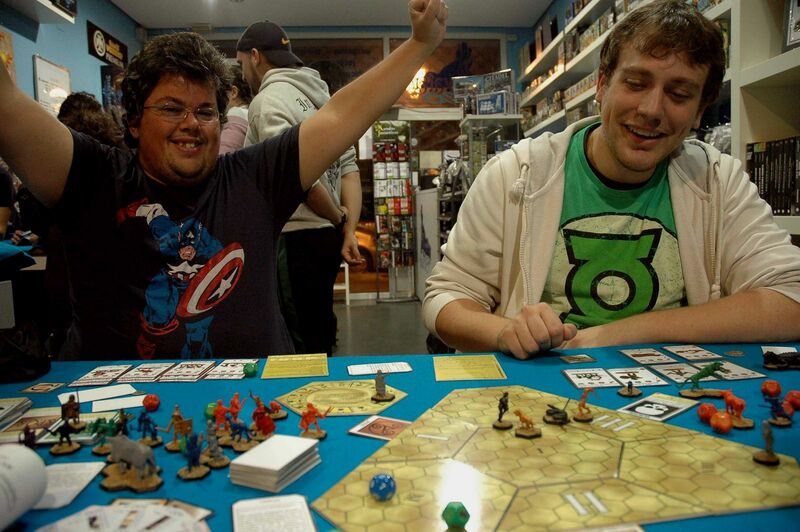 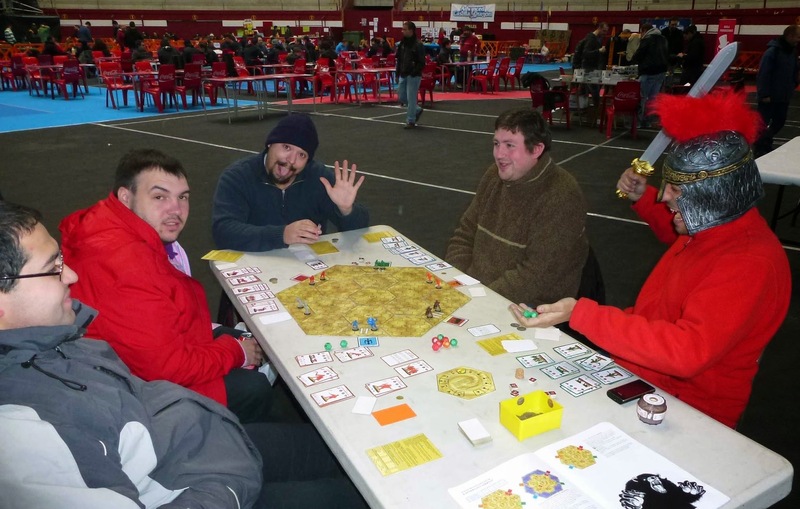 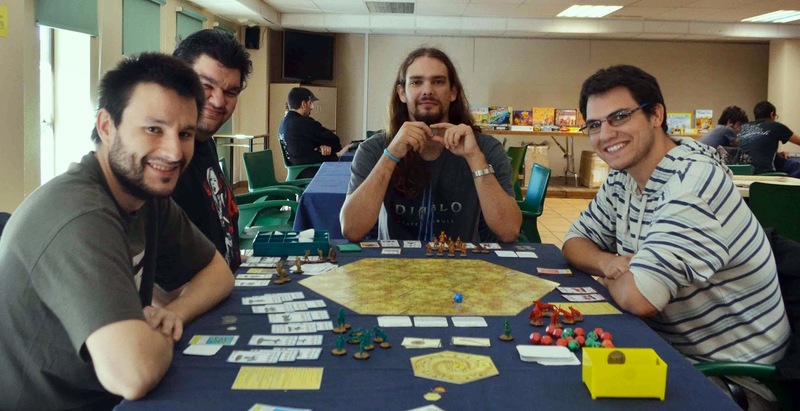 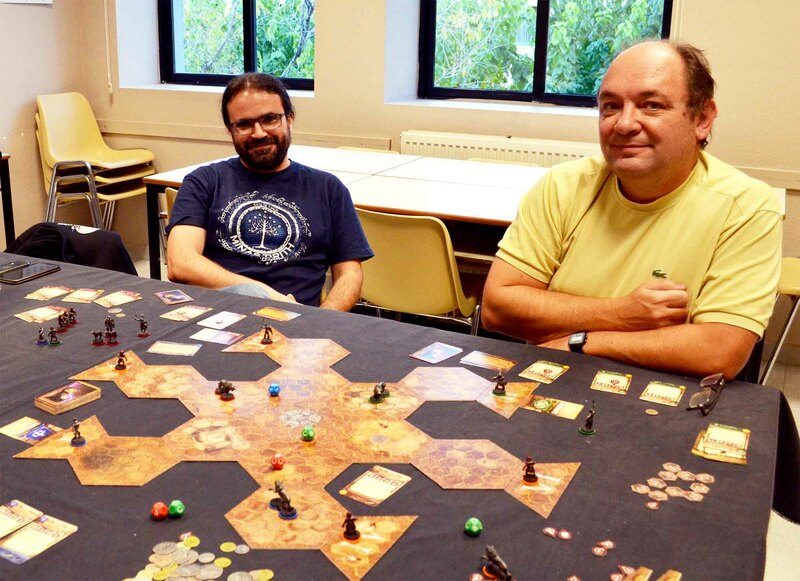 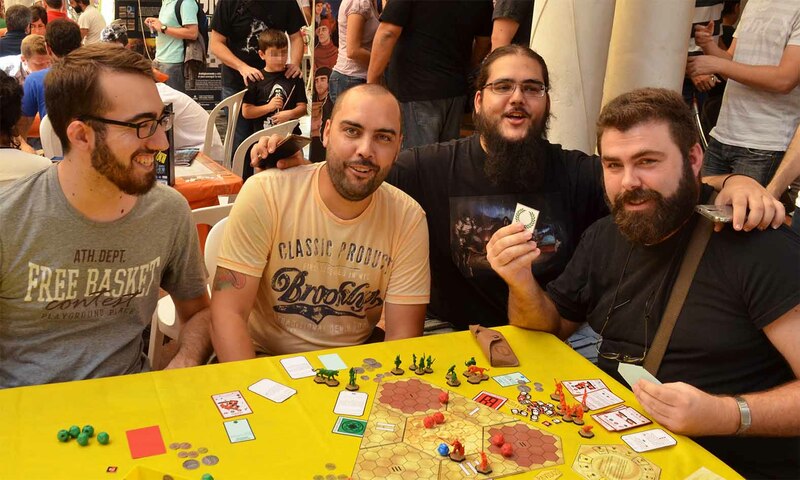 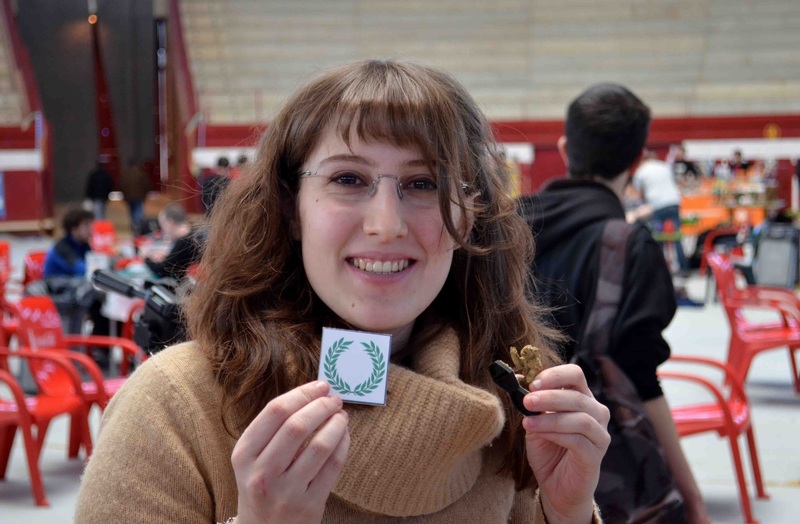 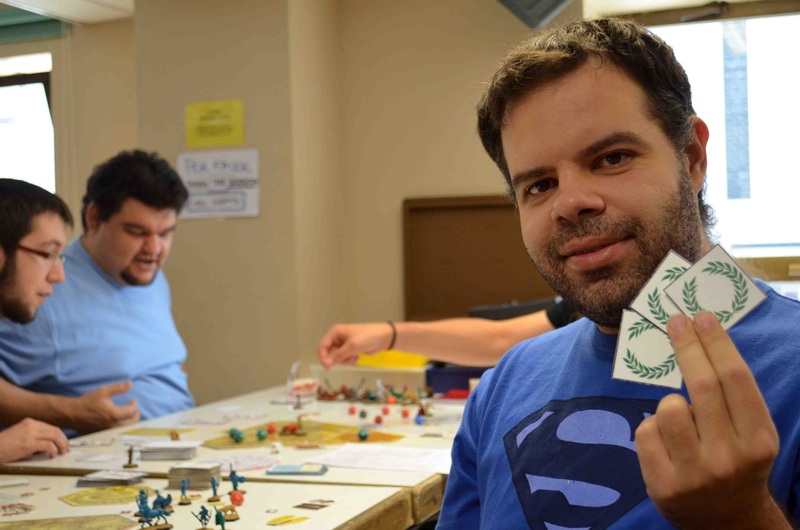 GLADIATORIS is a board game for 1 to 4 players that recreates Roman amphitheatre’s combats. 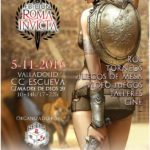 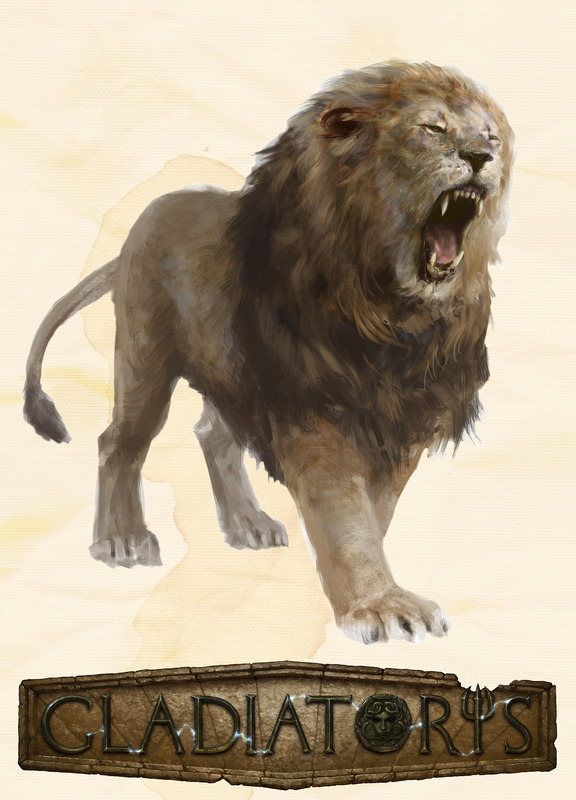 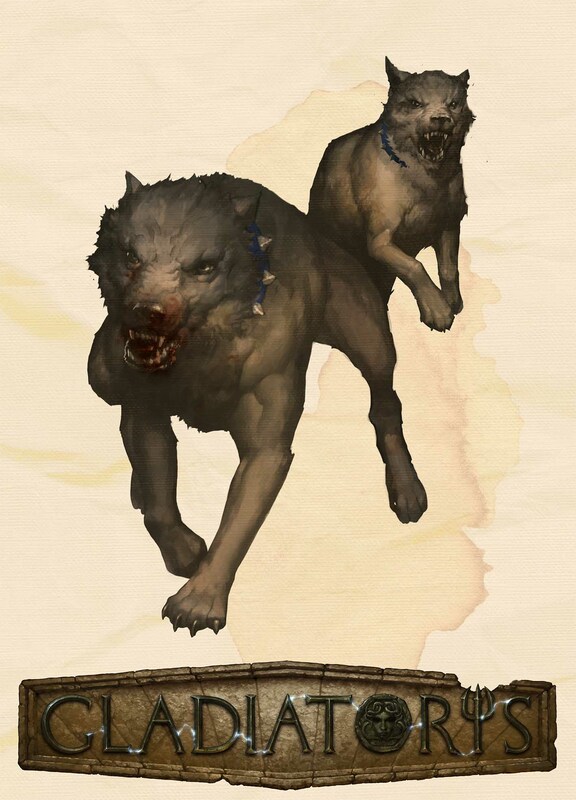 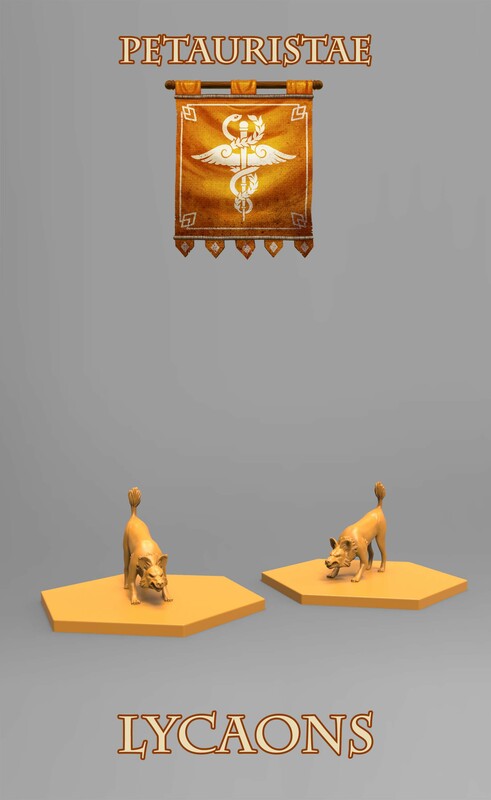 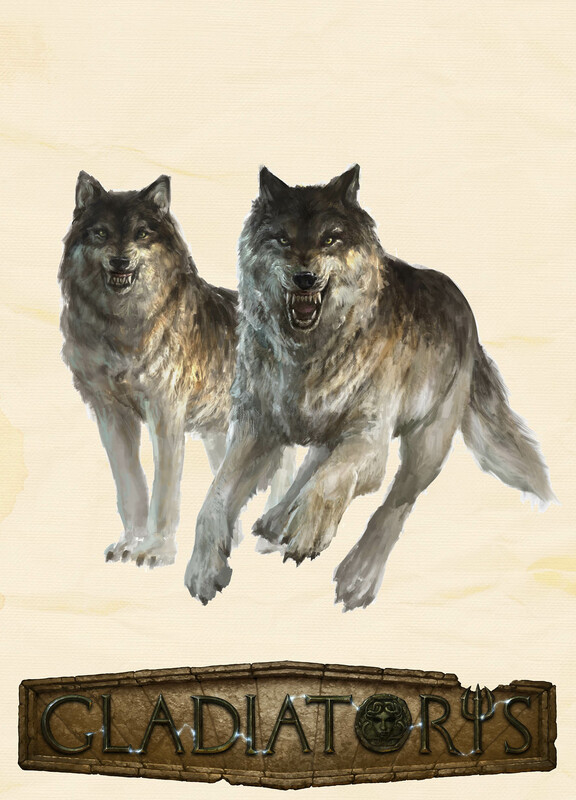 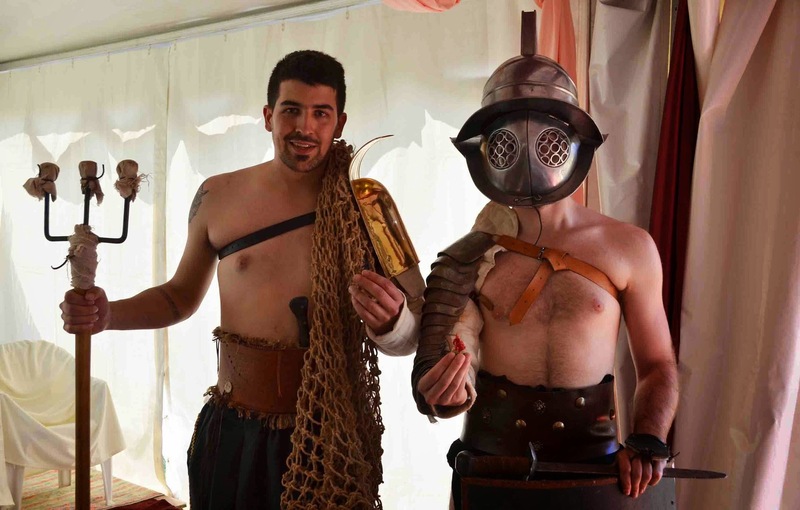 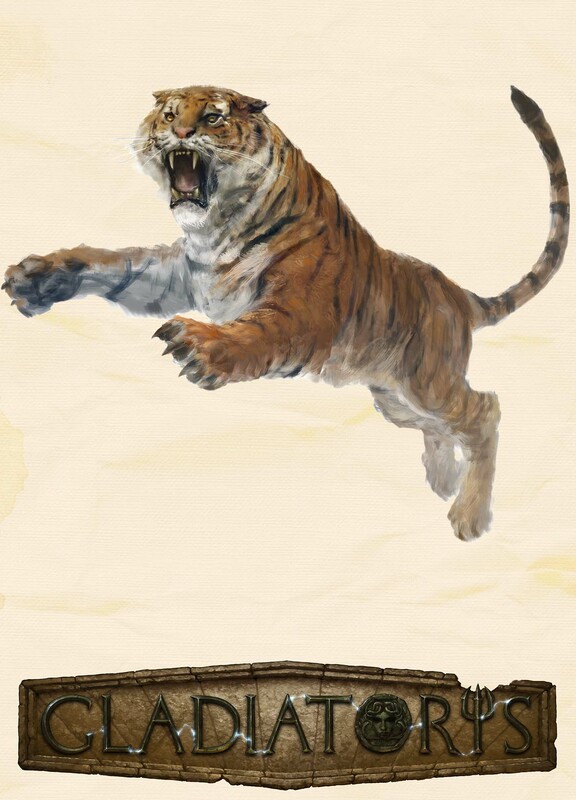 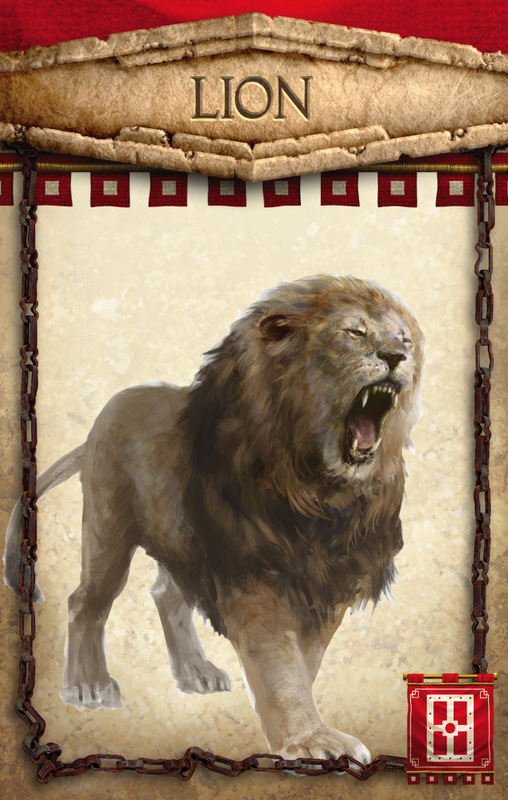 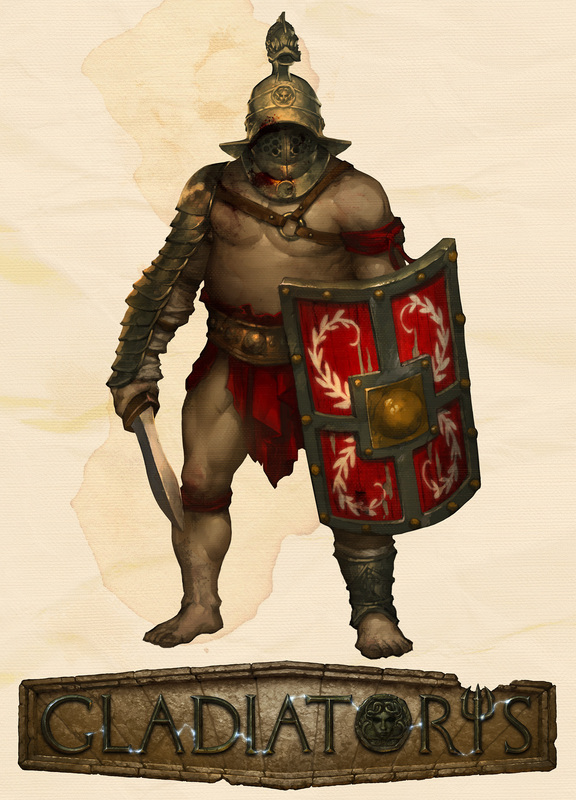 Each player takes the role of a lanista -gladiator trainer-, and must send their Beasts, Slaves and Gladiators to face their rivals’. 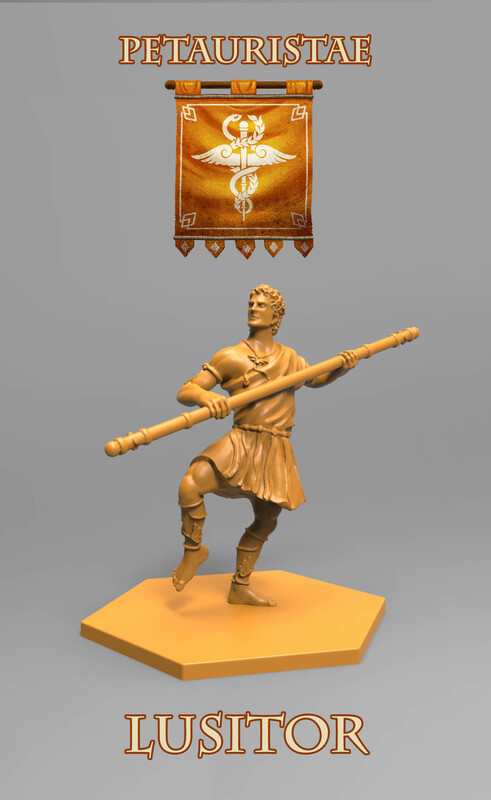 The winner will be the player with more ⁠⁠⁠Sestertii after all the combats, no matter if their combatants outlived them or not. 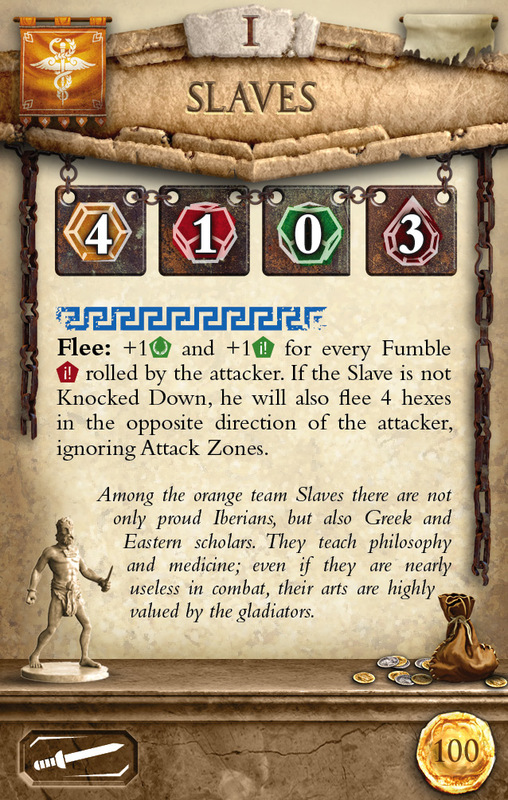 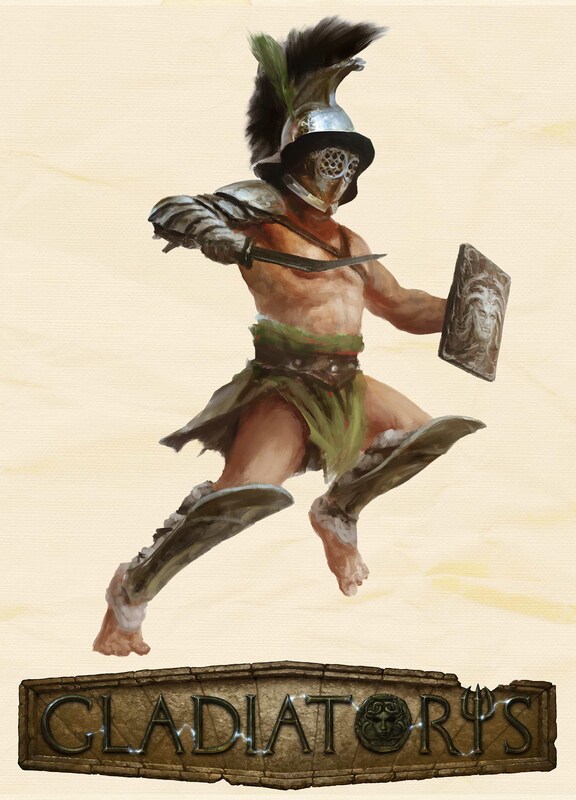 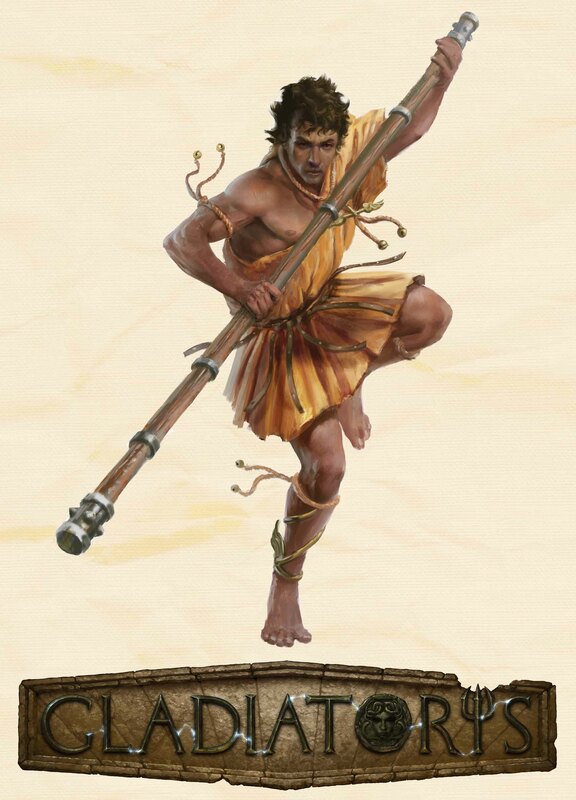 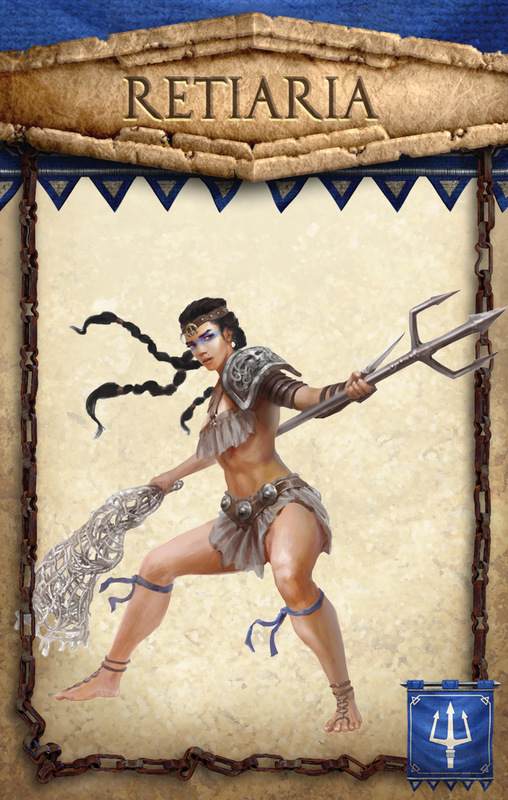 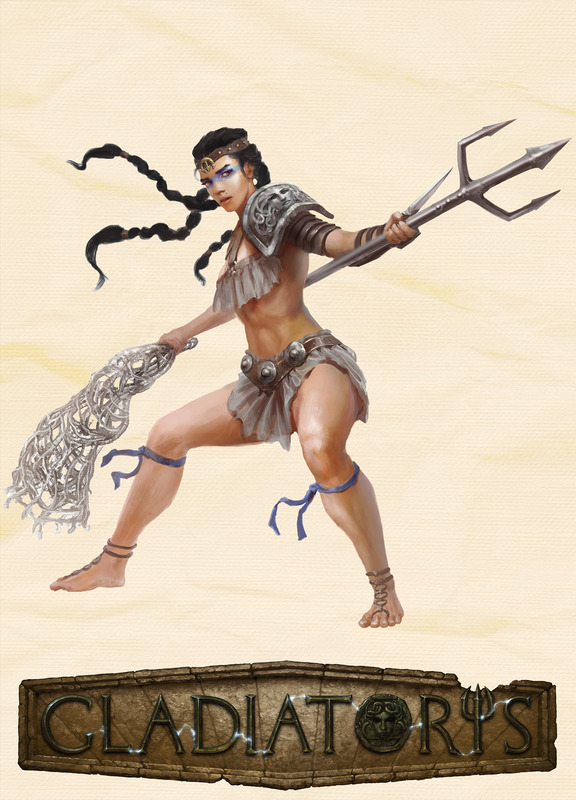 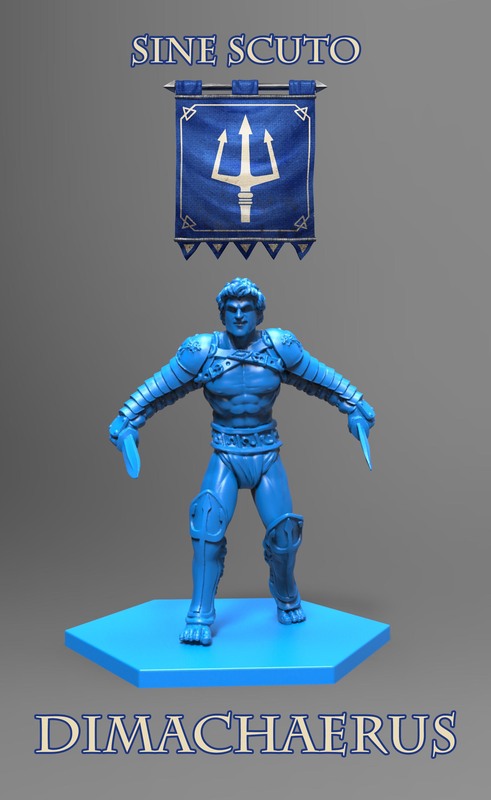 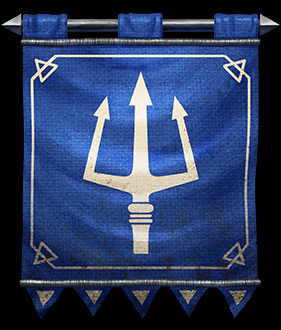 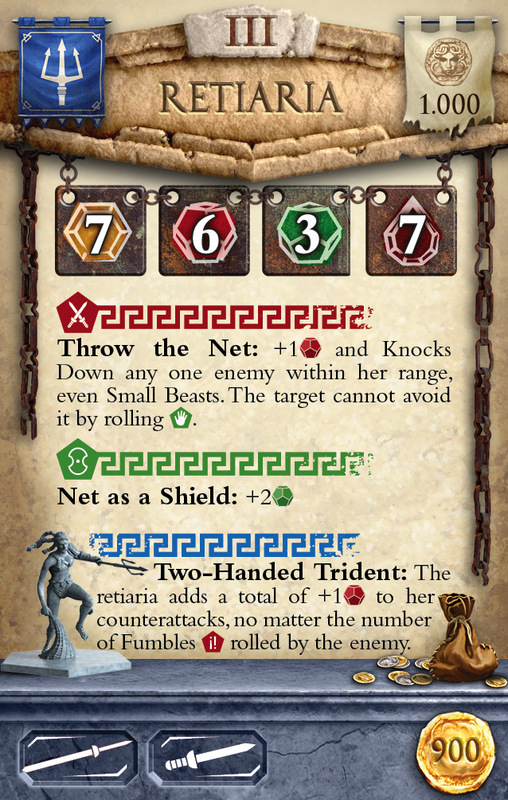 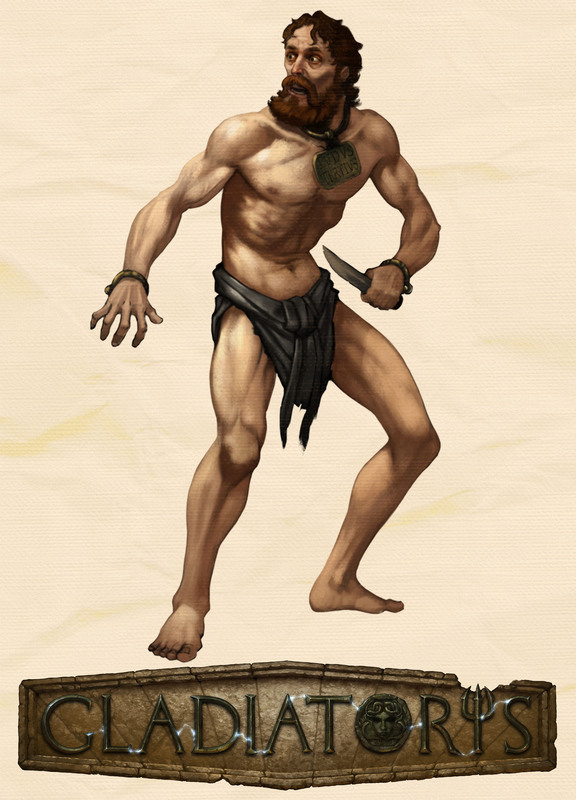 In GLADIATORIS, each player chooses a gladiator school, a team of fighters specialized in a particular combat technique. 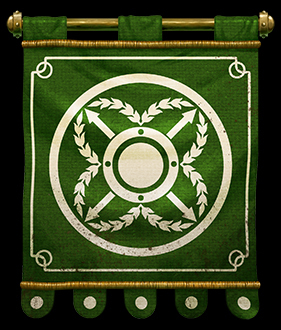 To achieve victory, they will need good judgement investing their money, as well as combat expertise, luck and the favor of the gods. 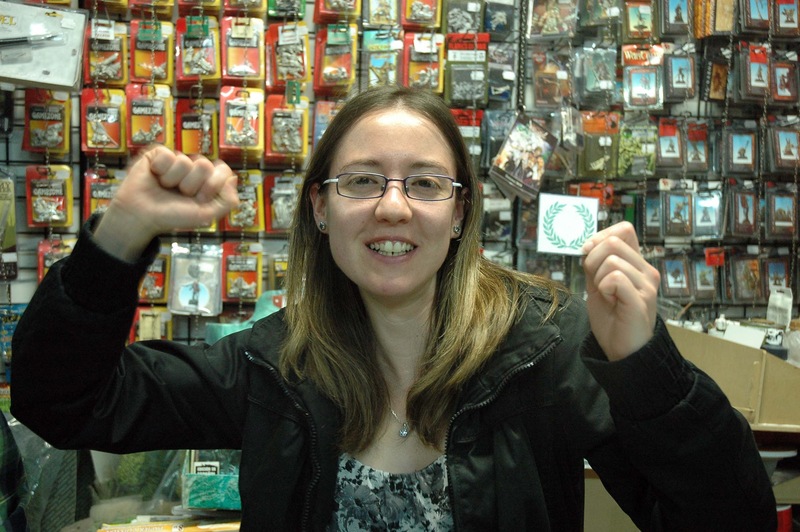 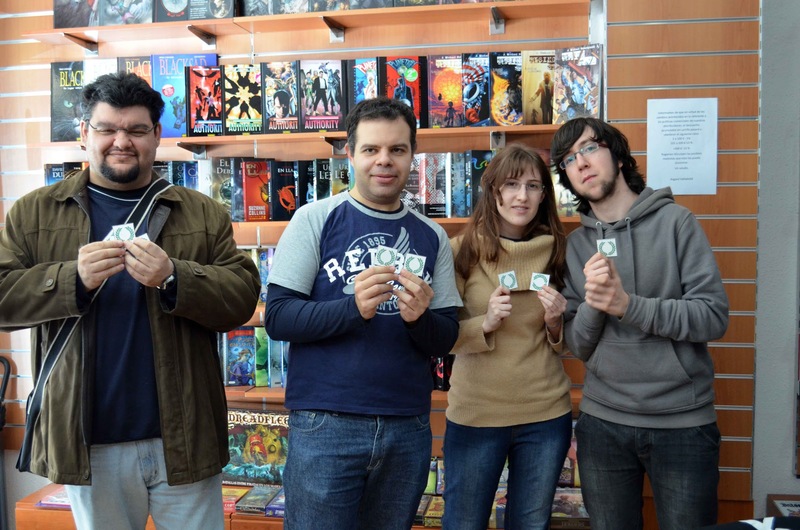 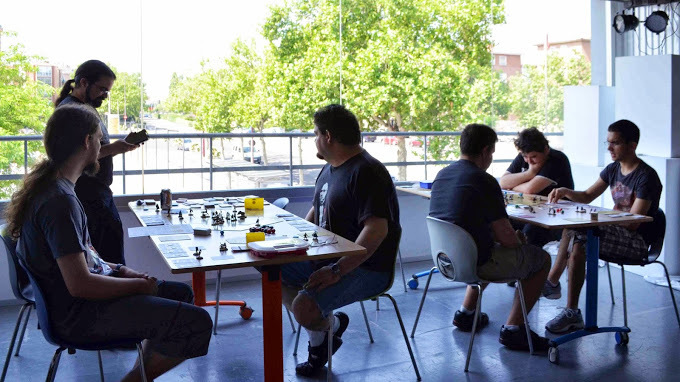 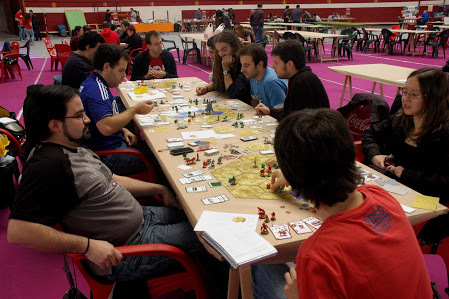 Number of players: 1 to 4 (up to 6 with the KS Extra Teams or any of our future expansions sets). 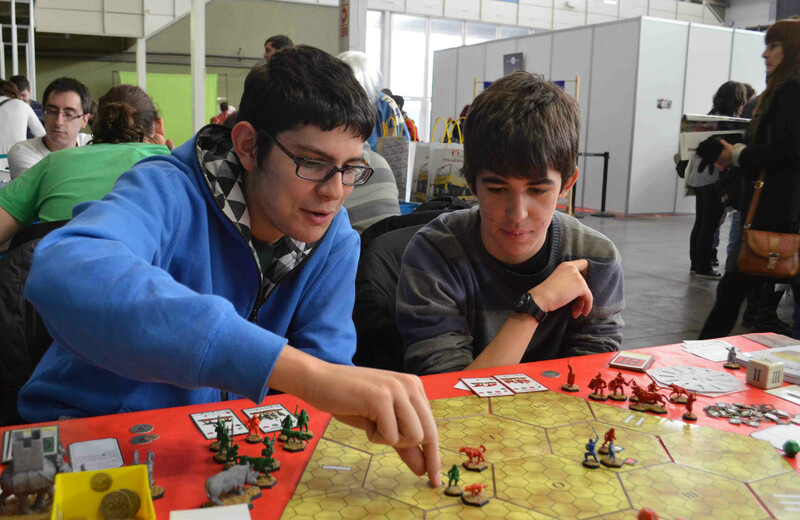 Age: 12 years old and above. 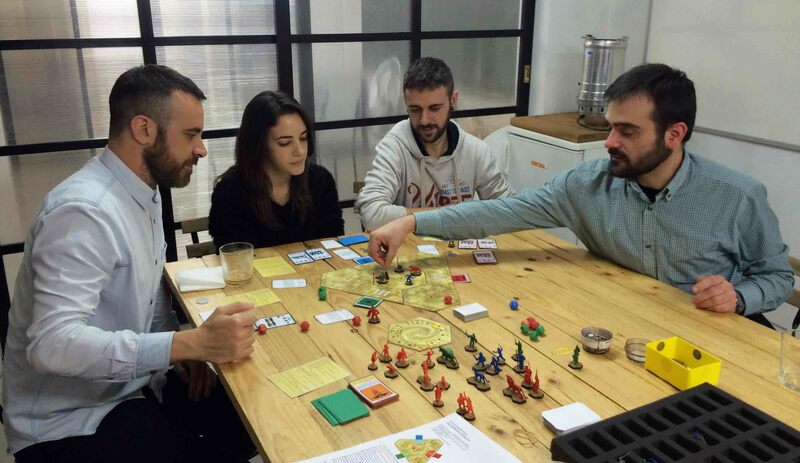 Playing time: From quick 30-minutes fights to 3-hours campaigns. 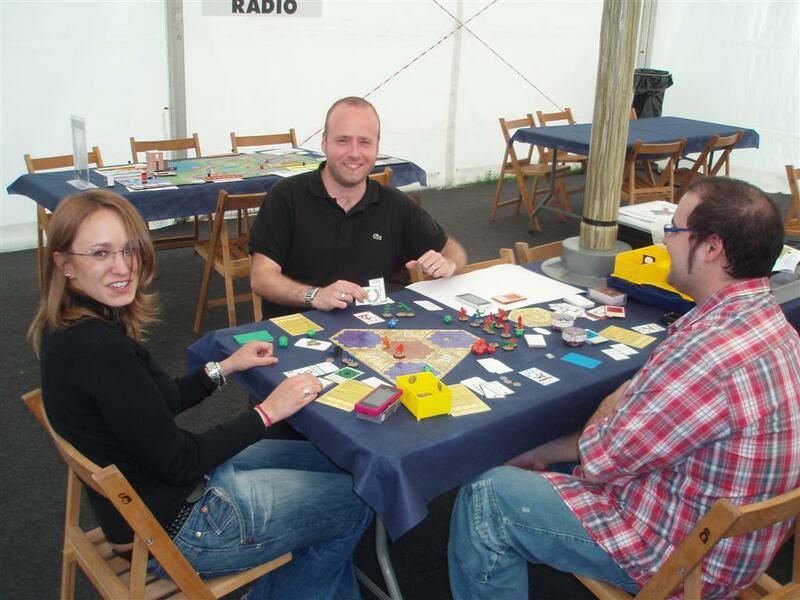 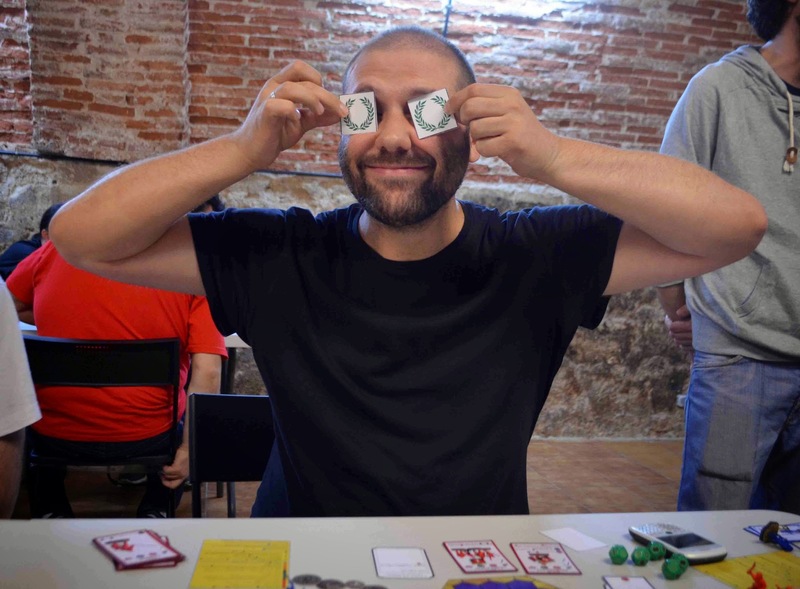 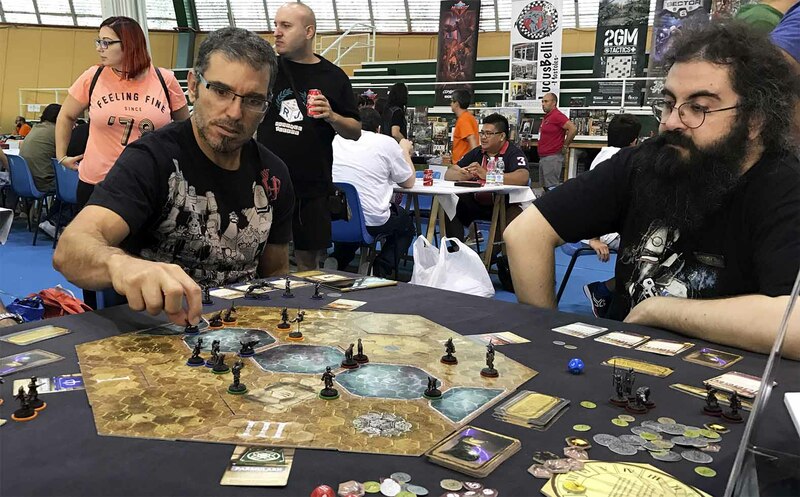 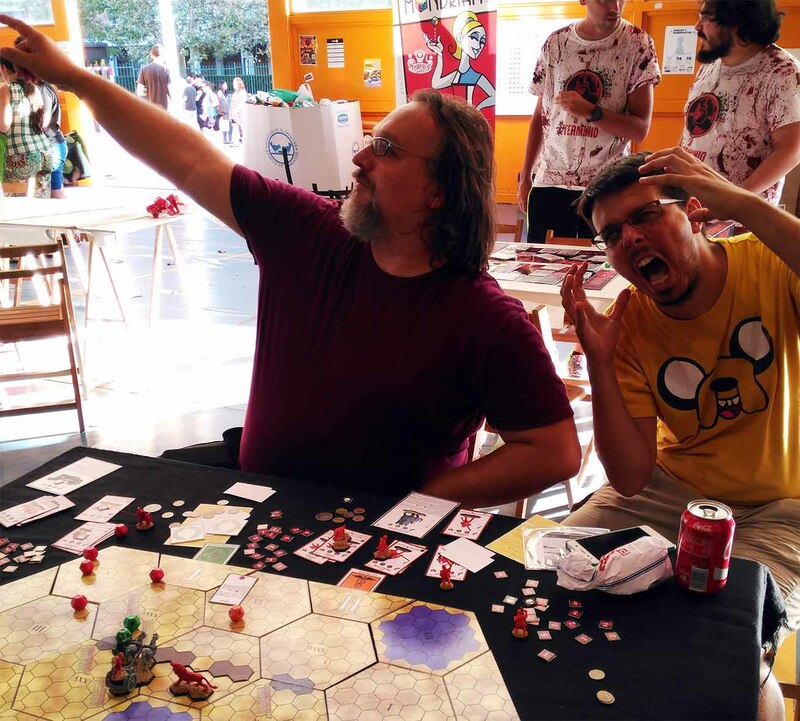 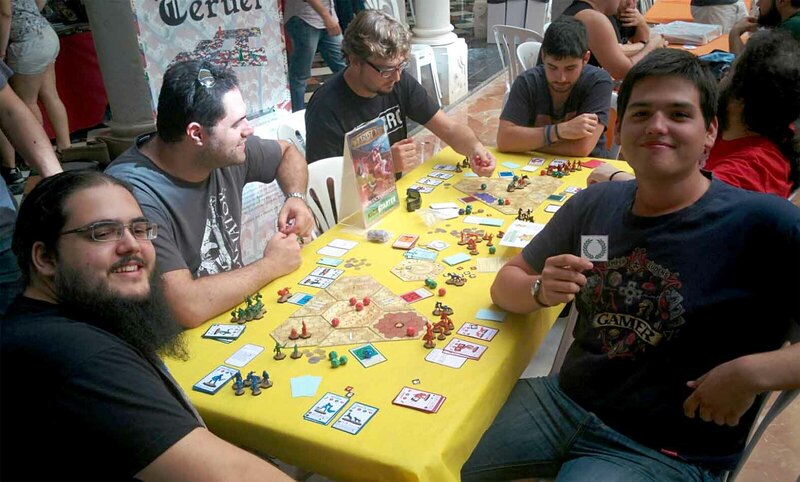 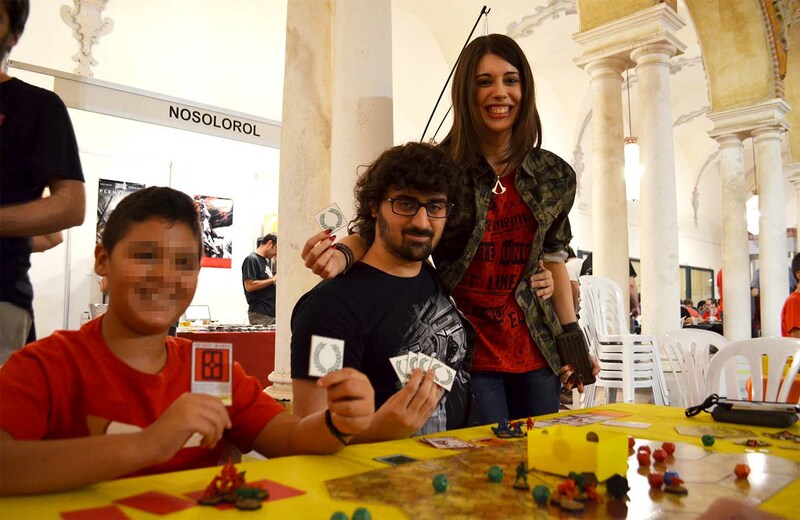 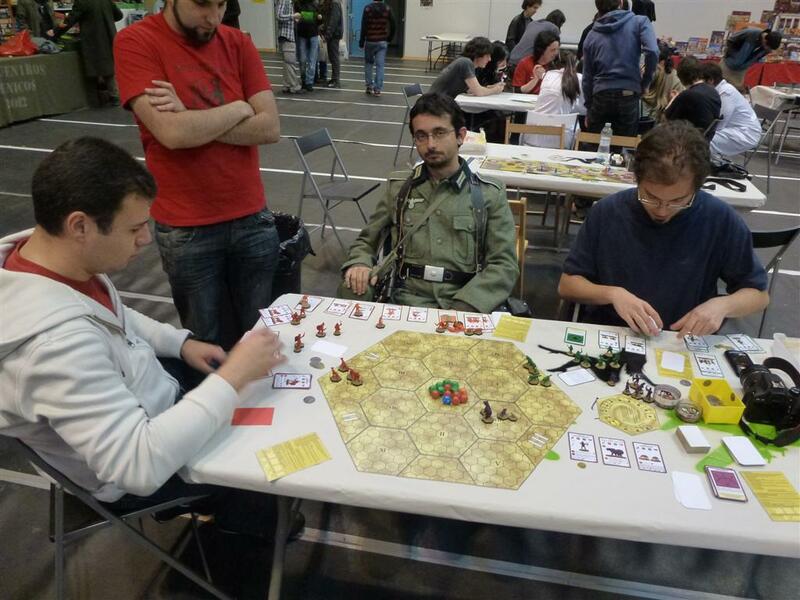 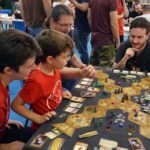 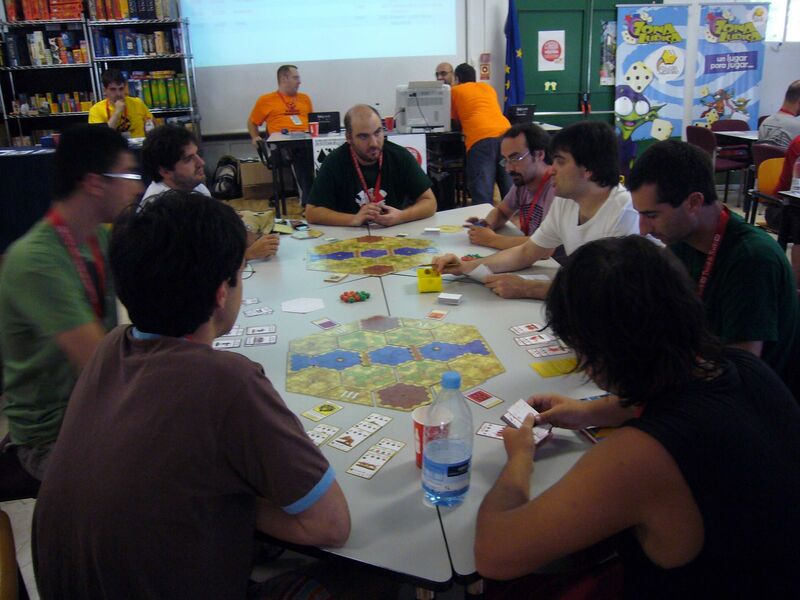 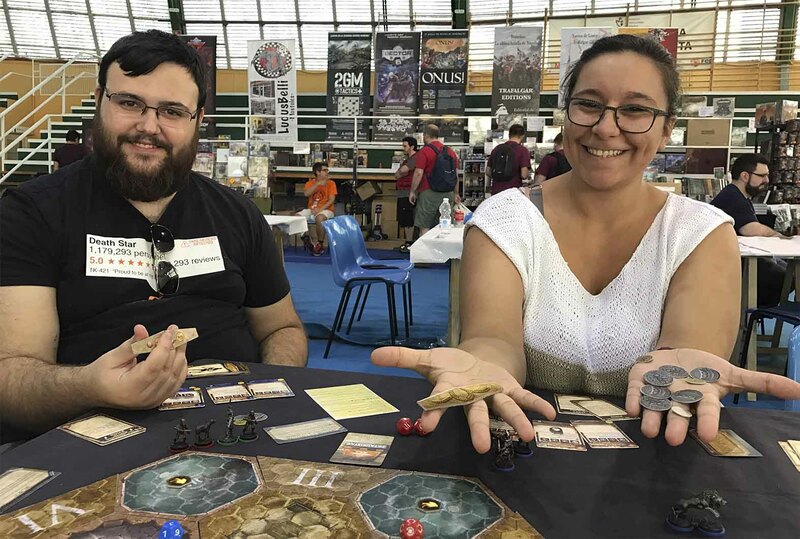 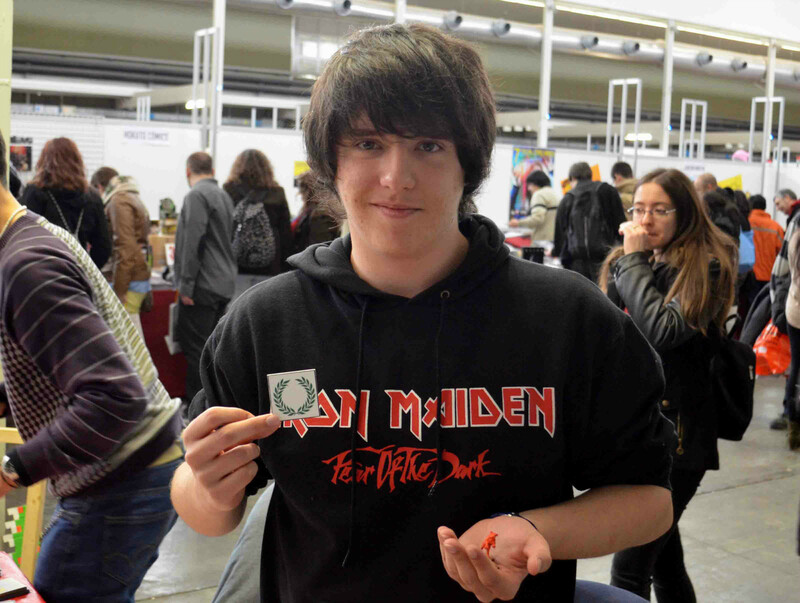 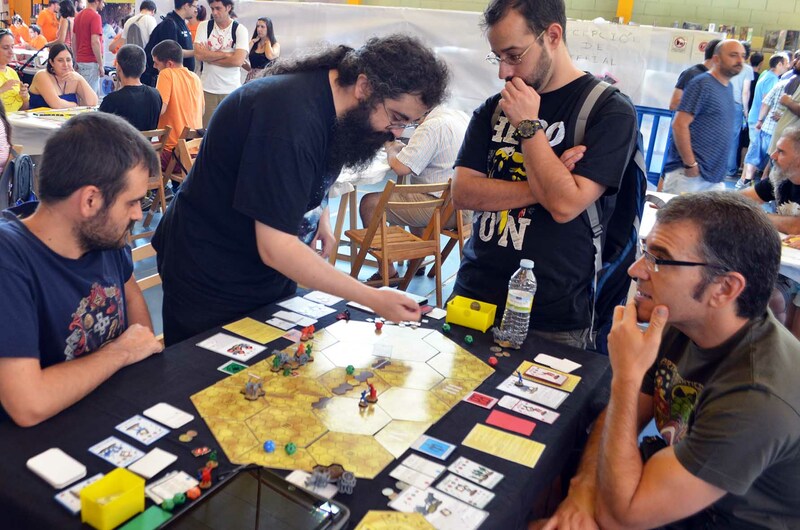 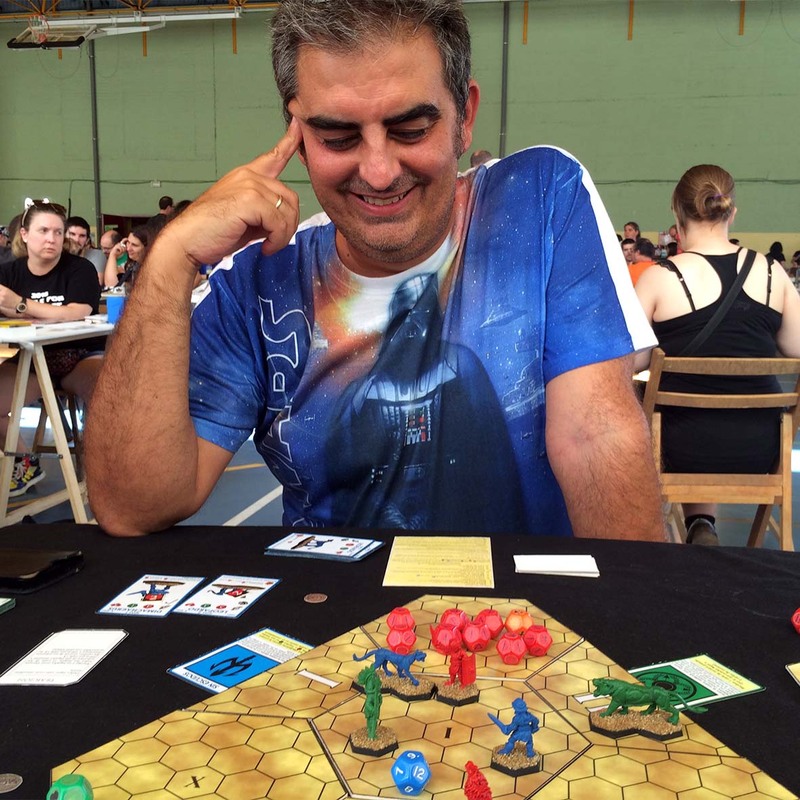 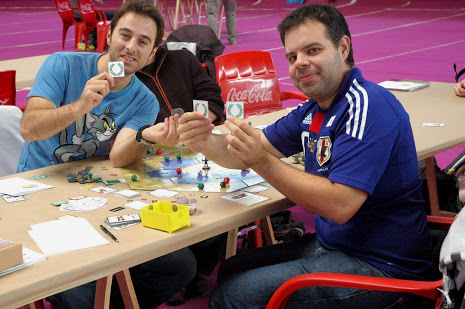 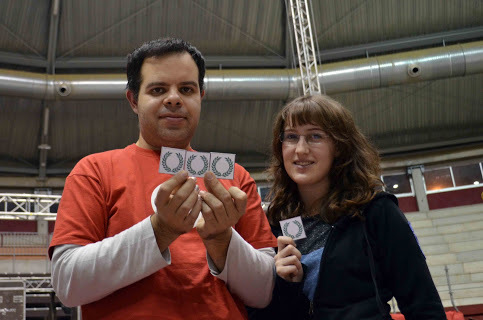 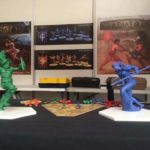 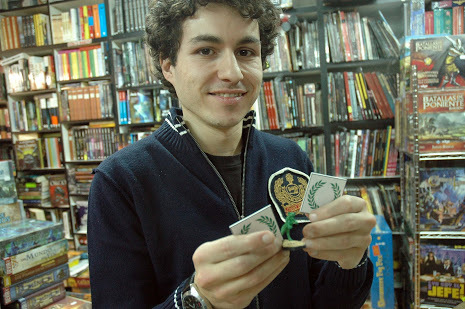 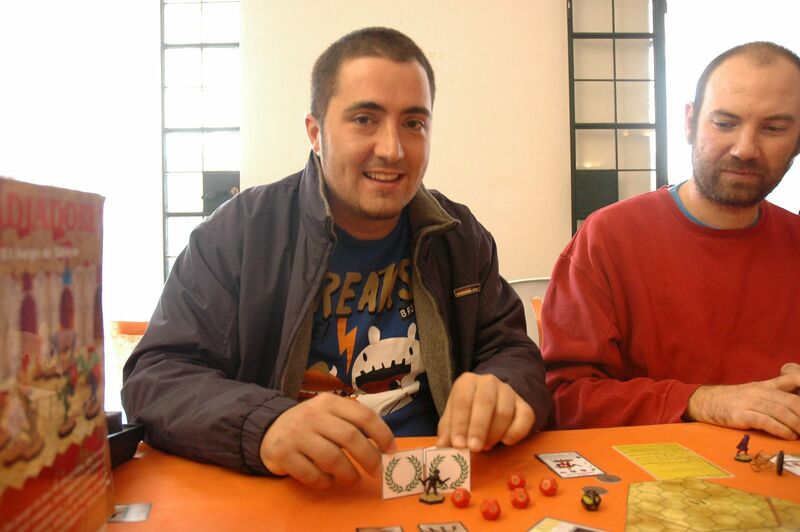 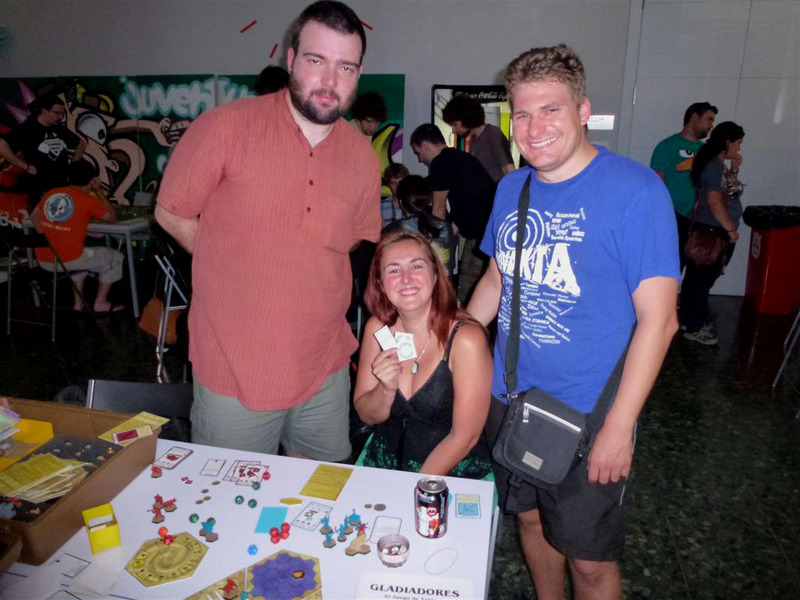 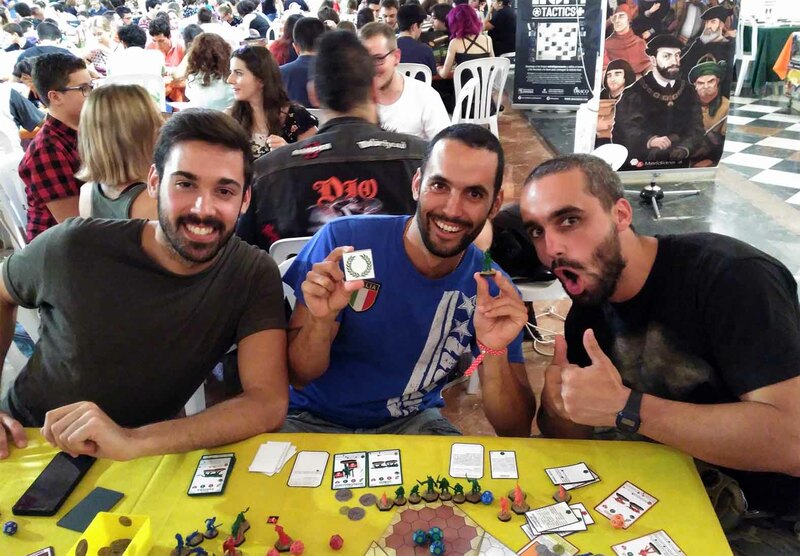 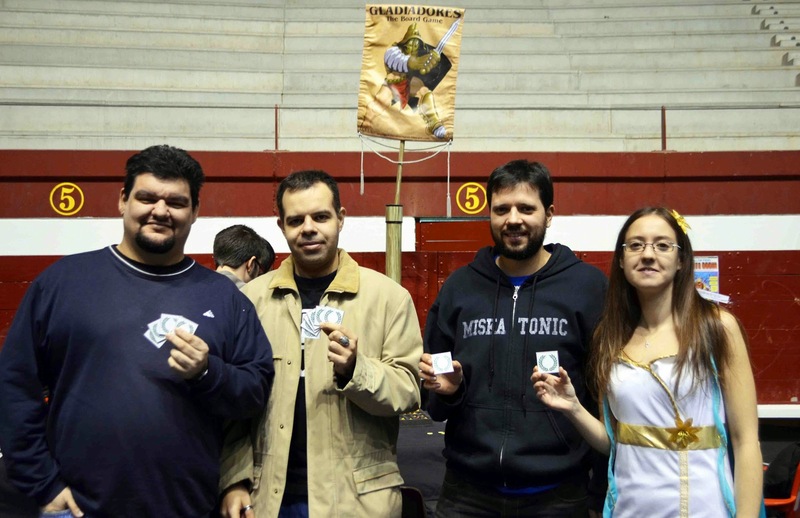 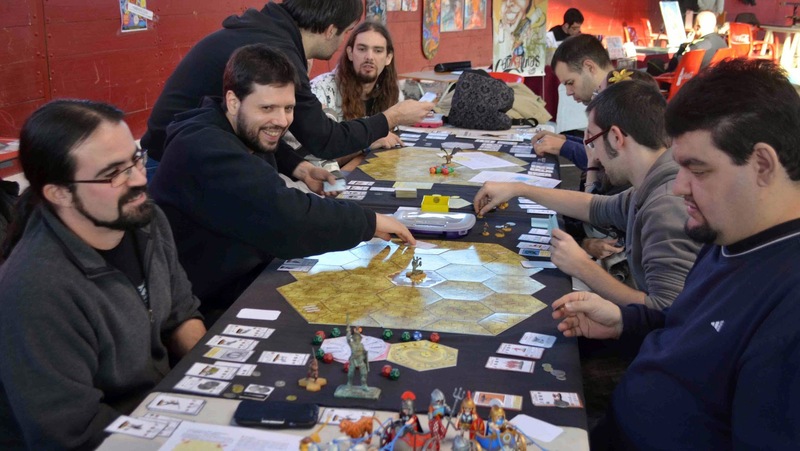 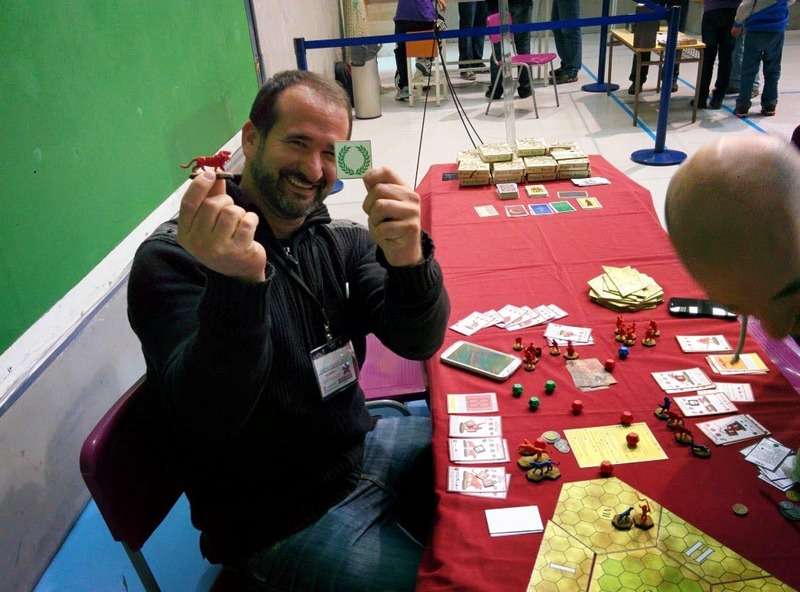 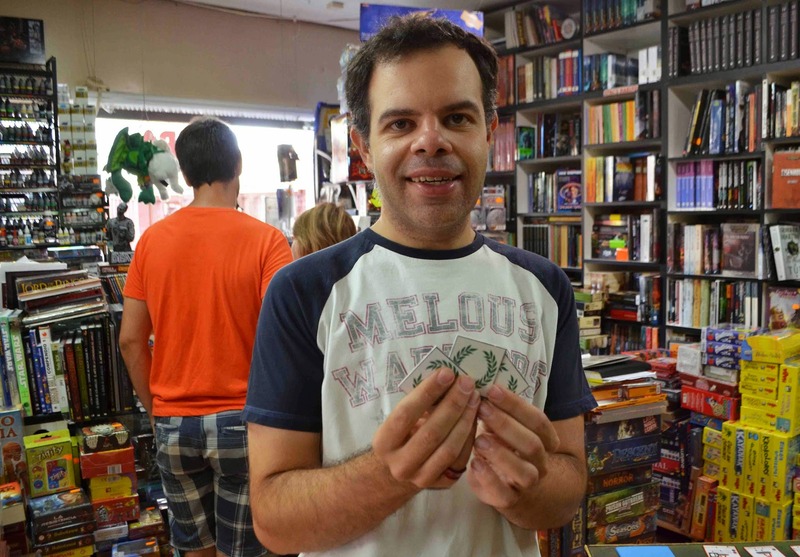 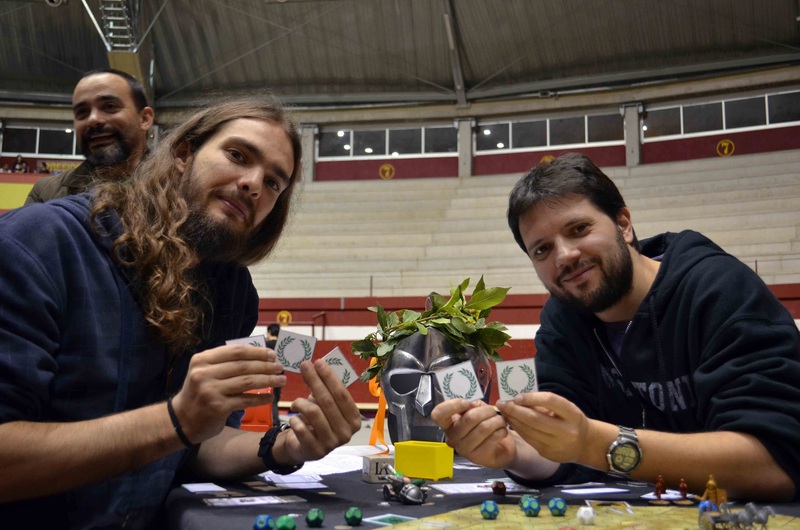 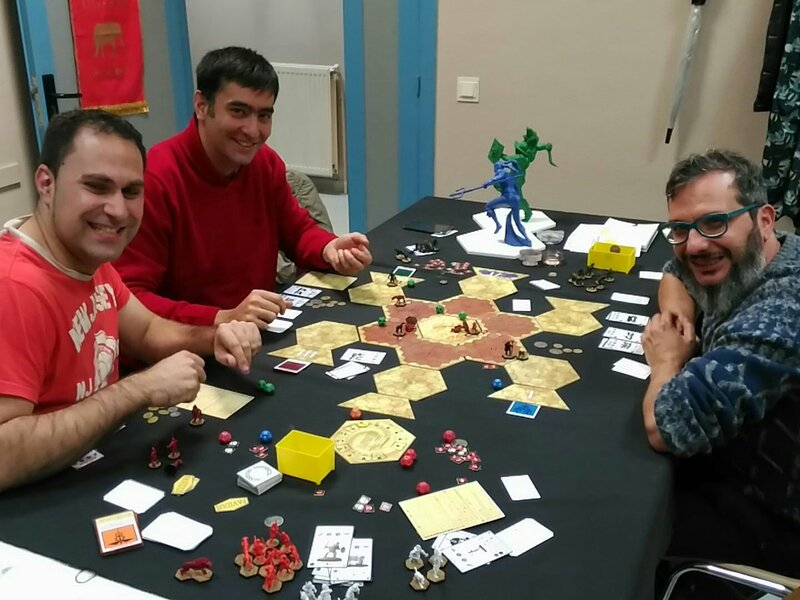 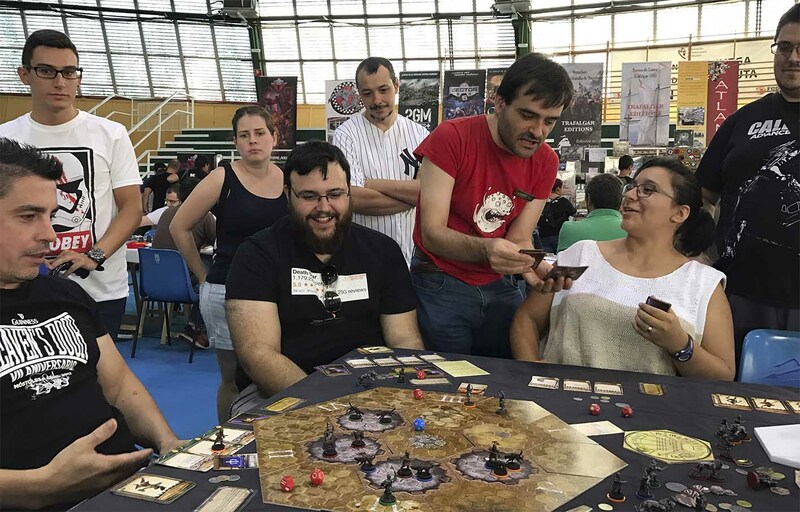 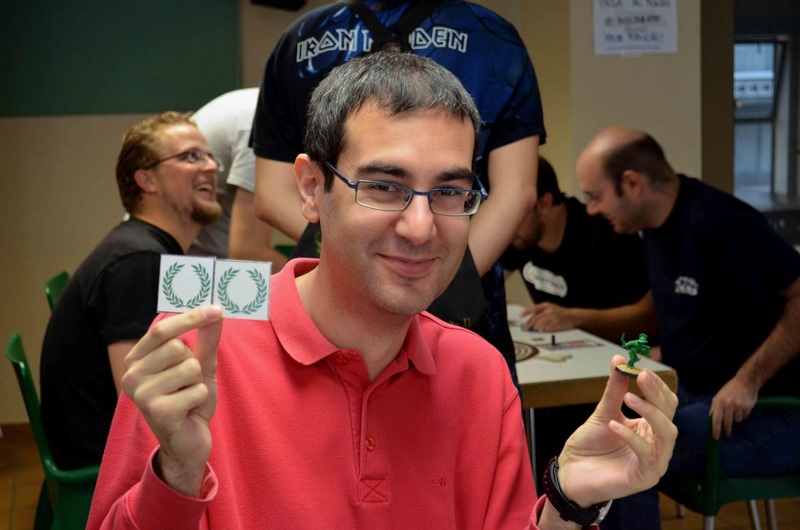 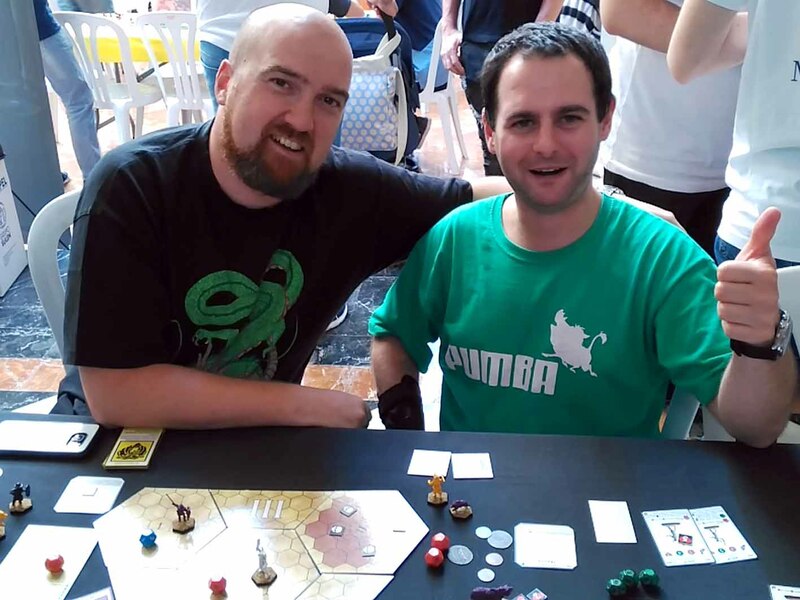 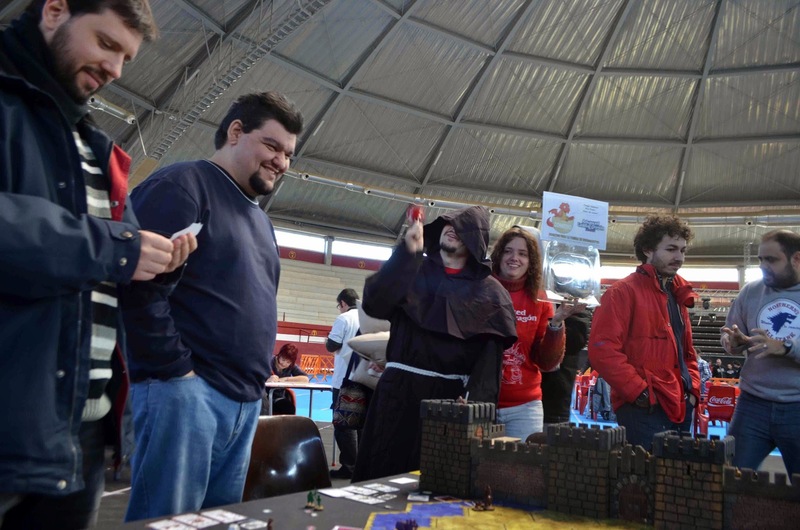 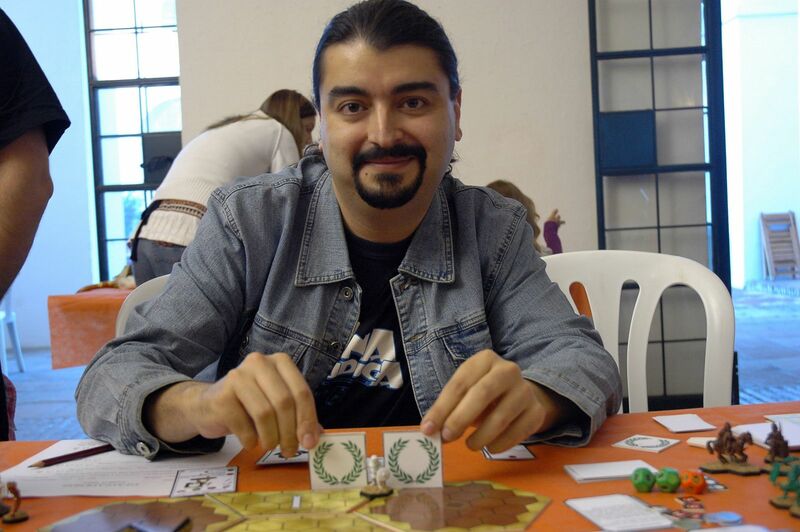 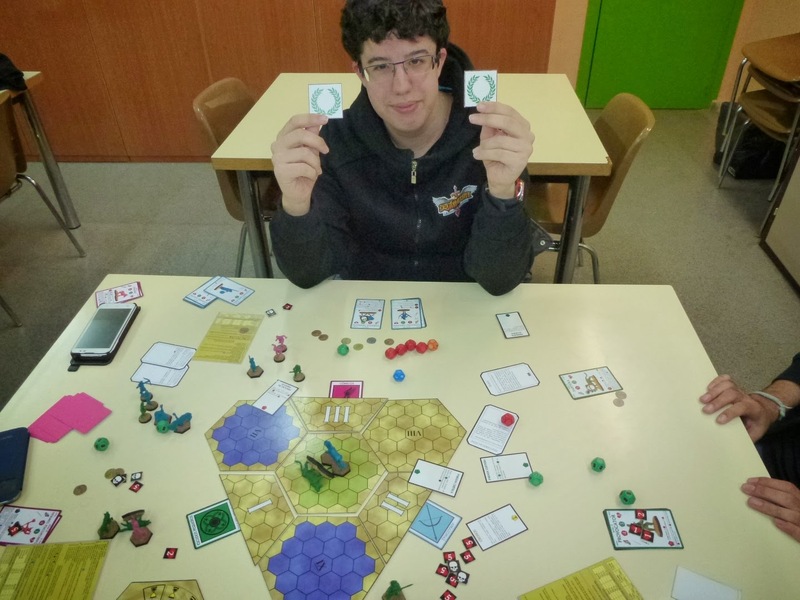 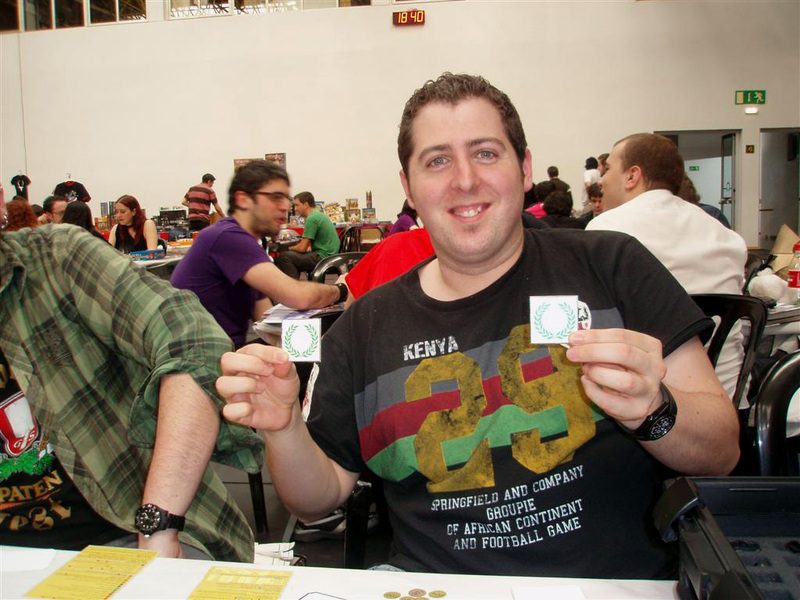 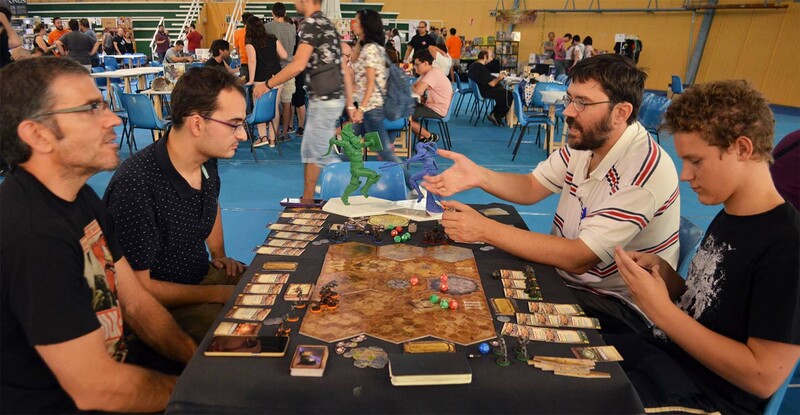 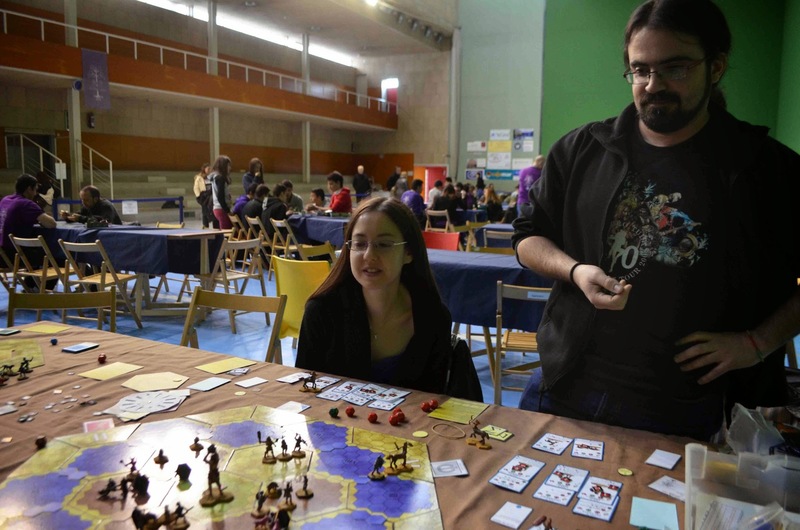 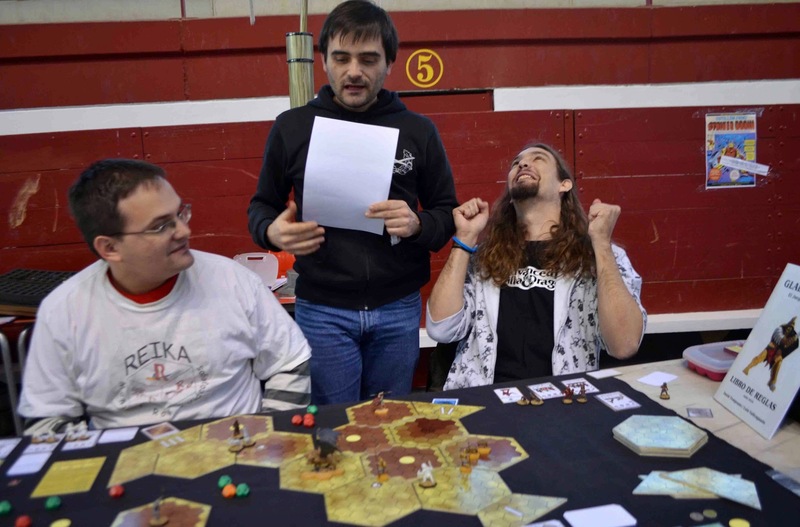 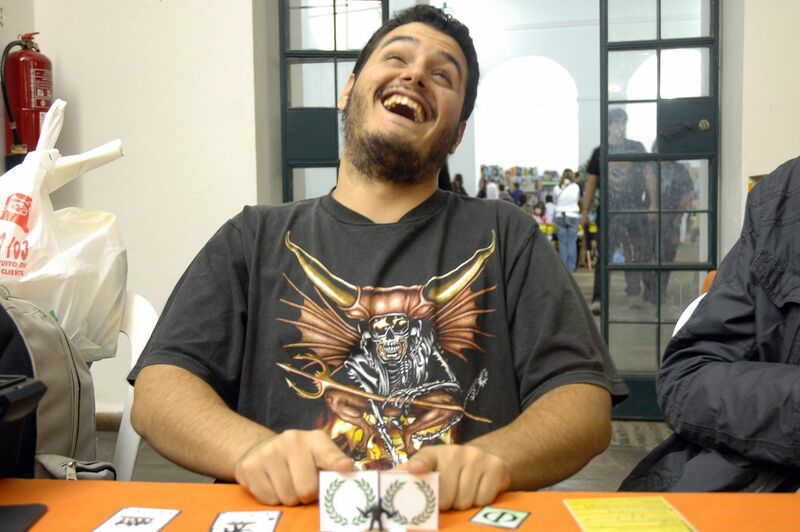 Since its creation in 2009, we have played hundreds of games with our prototype, improving the rules after each convention. 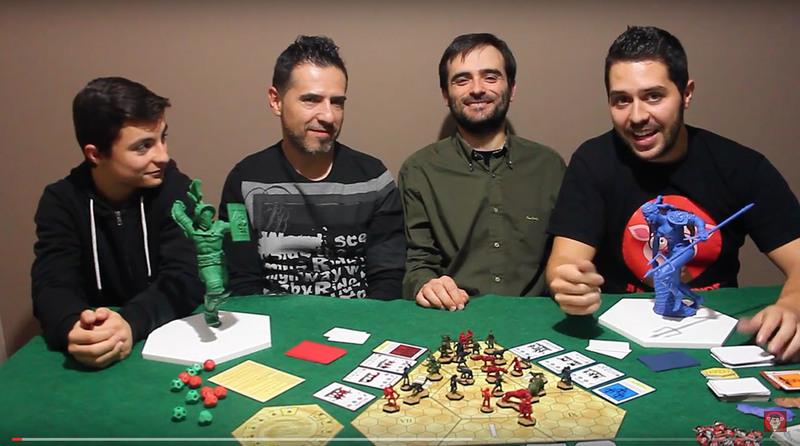 We even filmed this one-minute video to show our game! 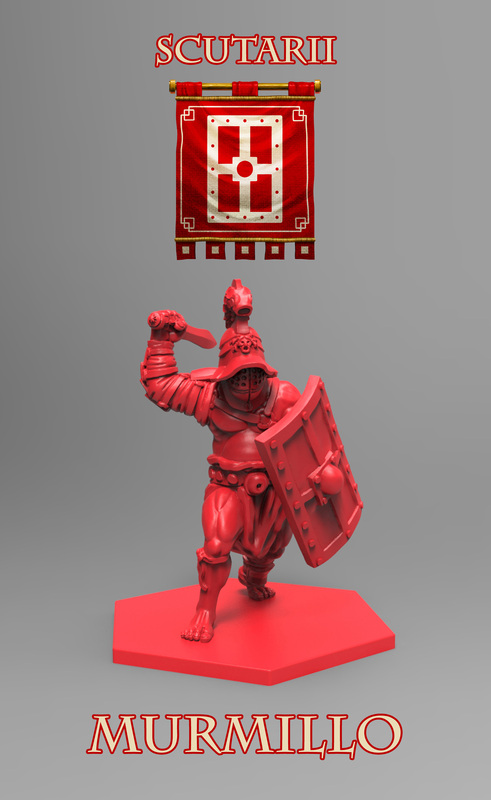 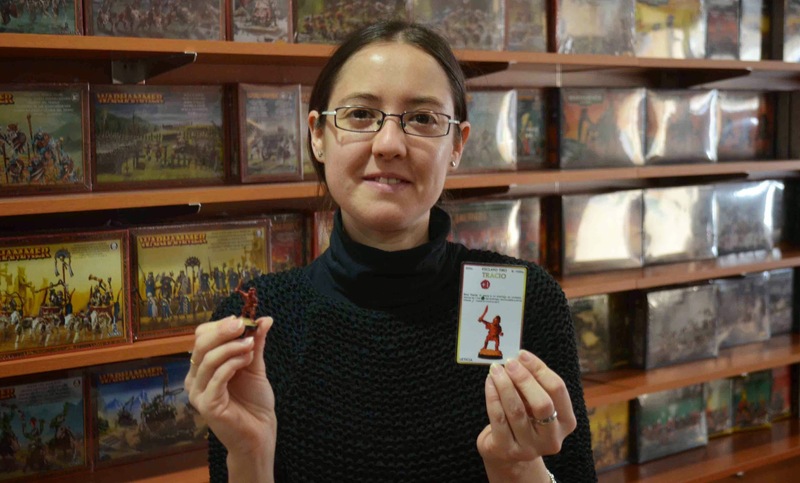 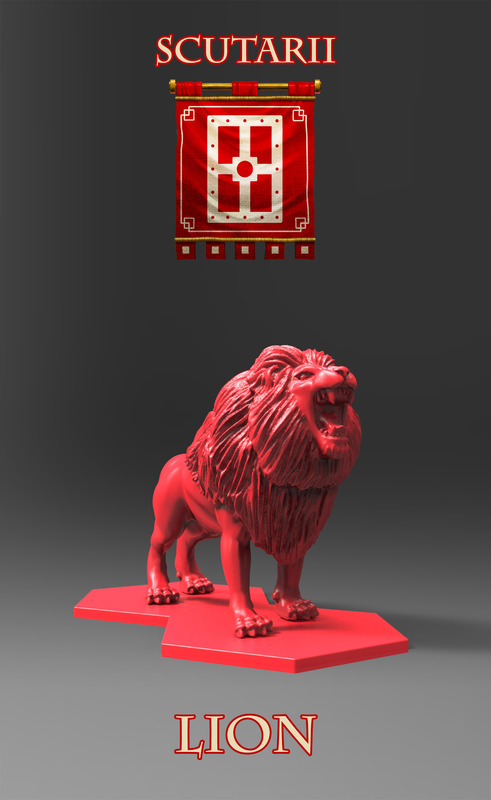 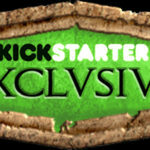 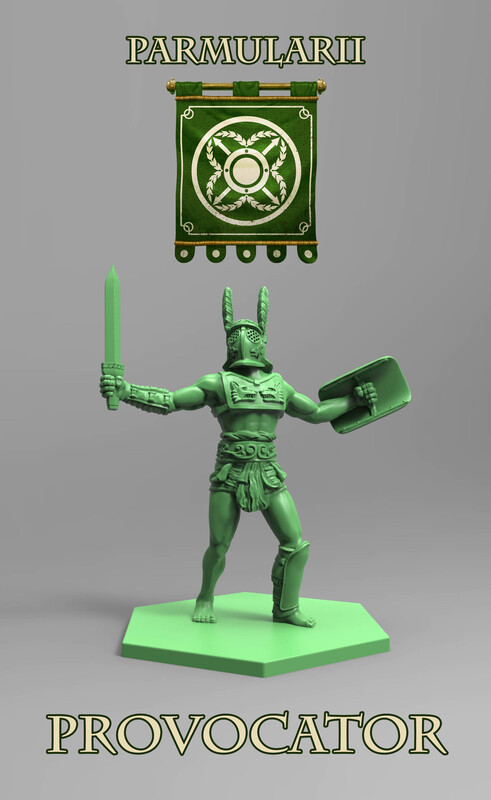 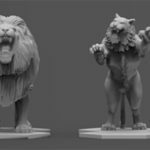 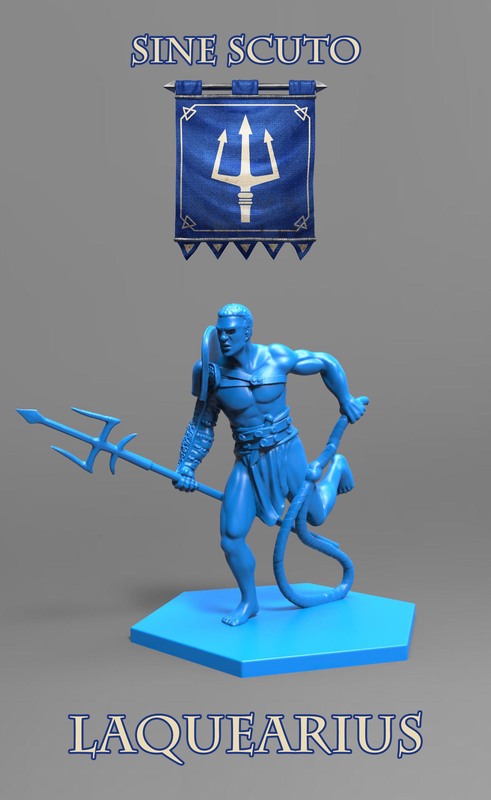 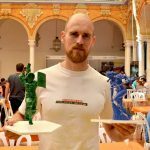 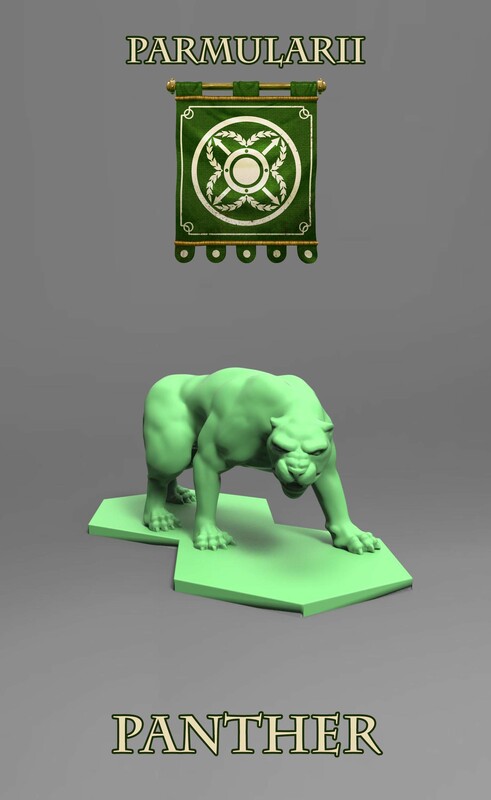 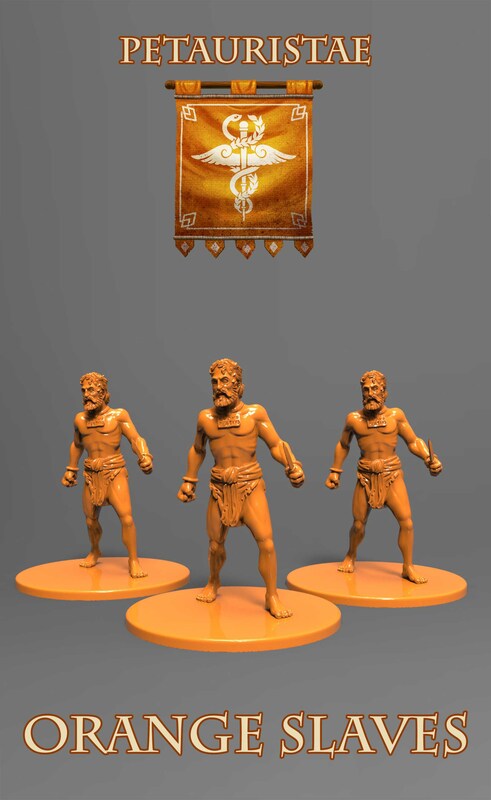 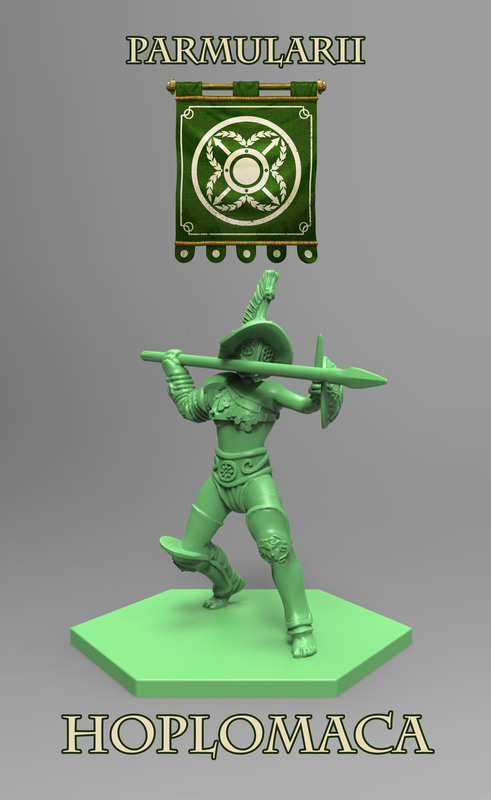 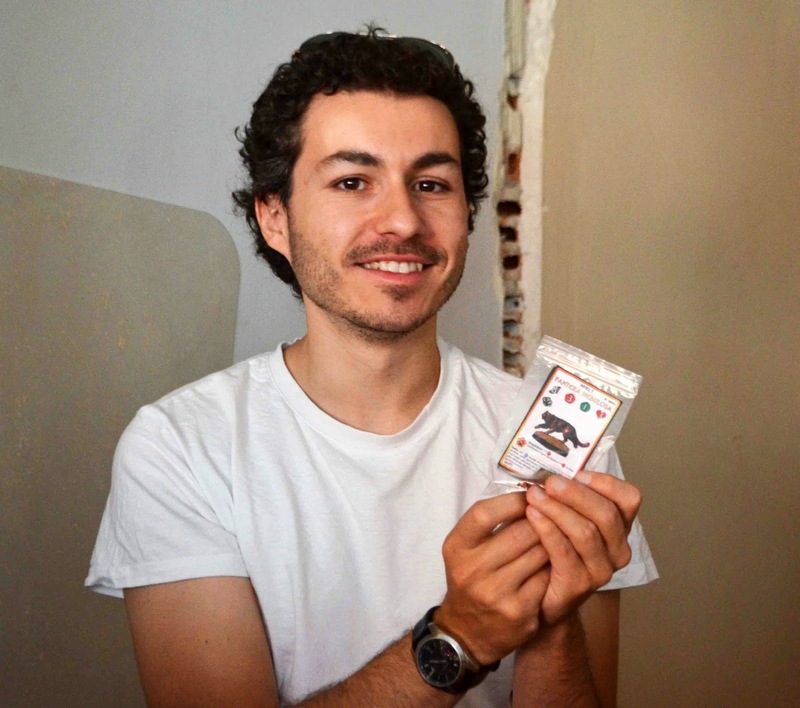 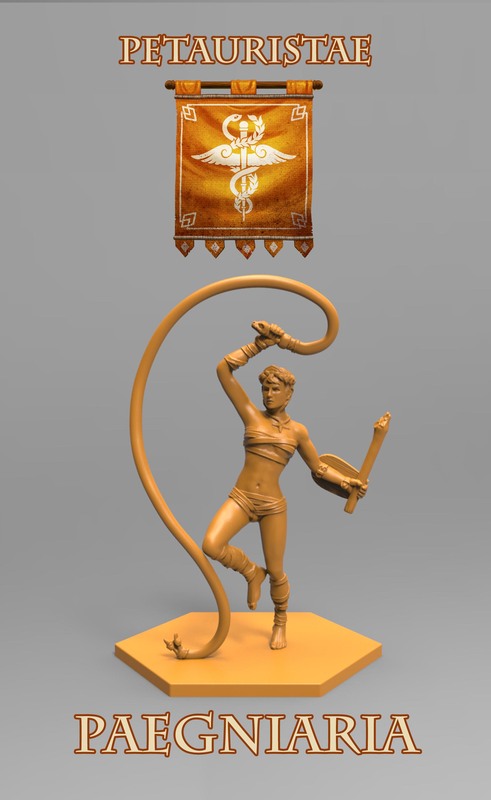 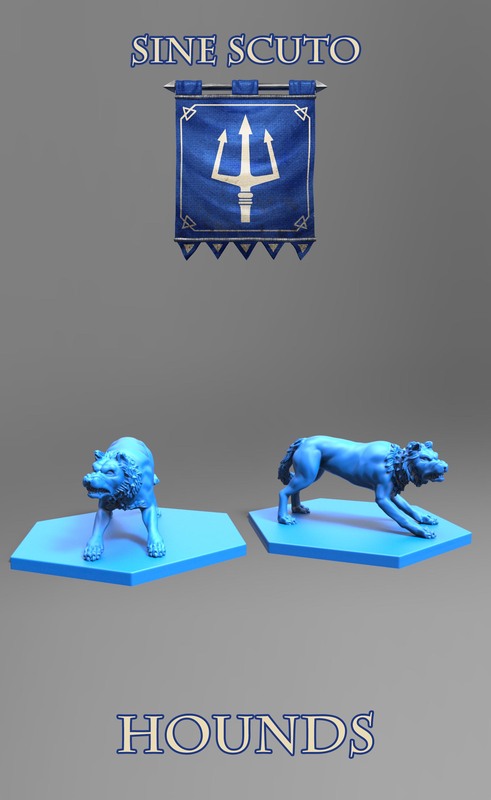 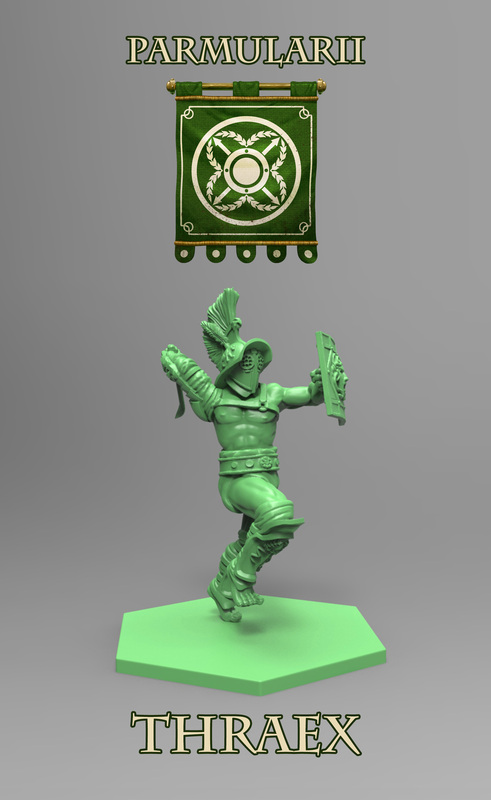 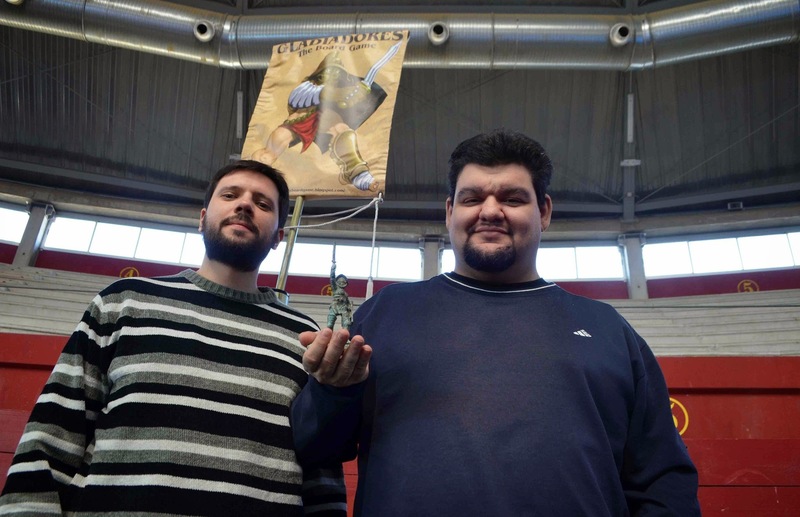 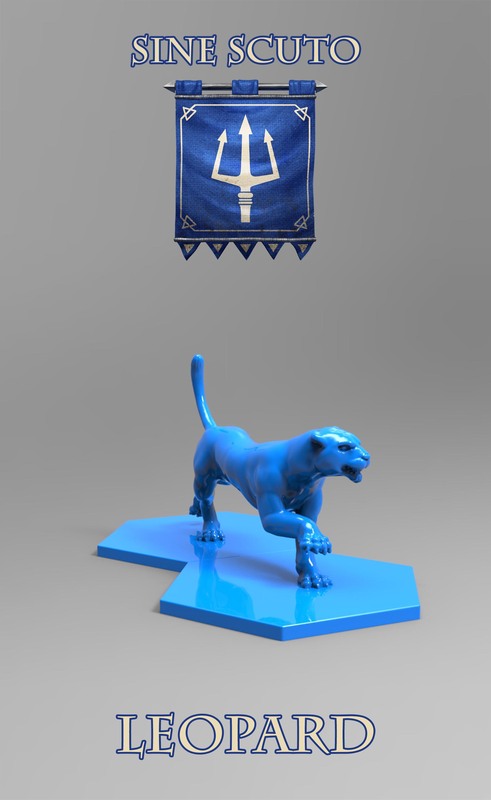 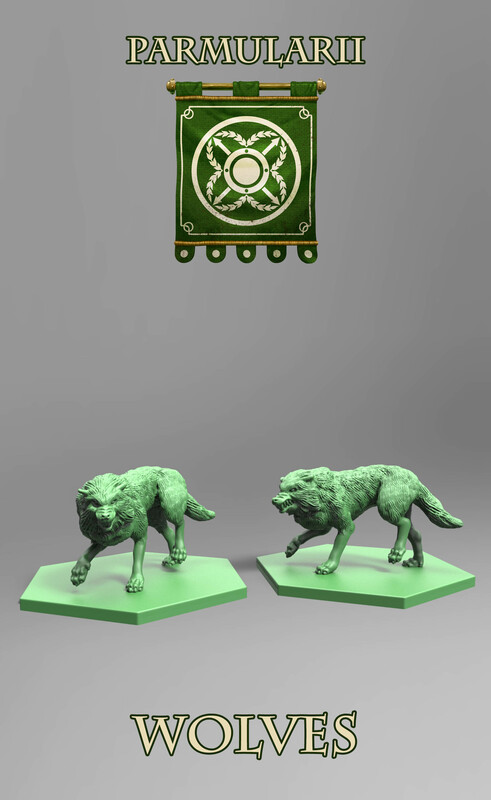 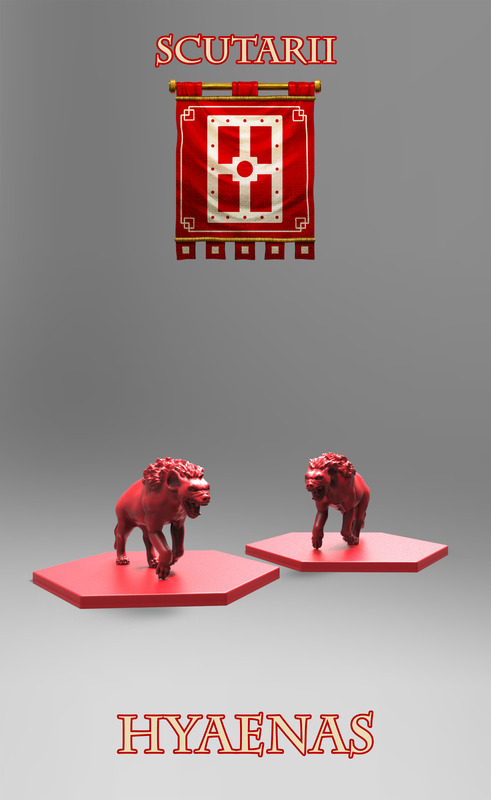 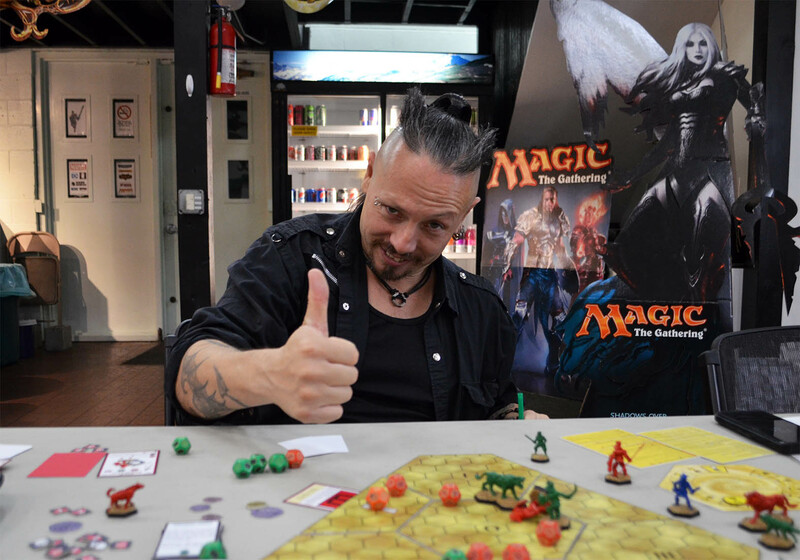 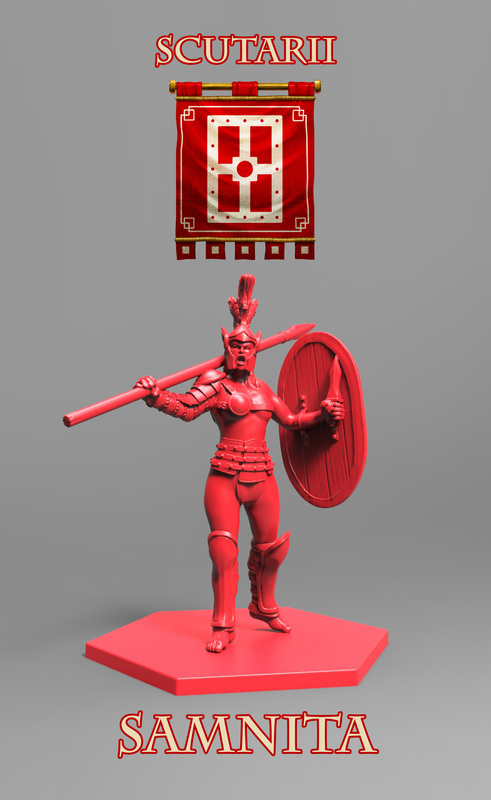 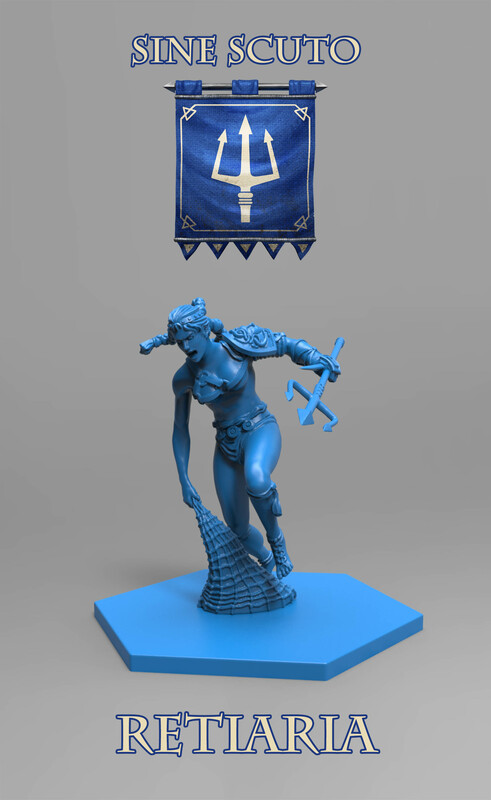 During the last months, we have documented and designed the new miniatures for the game. 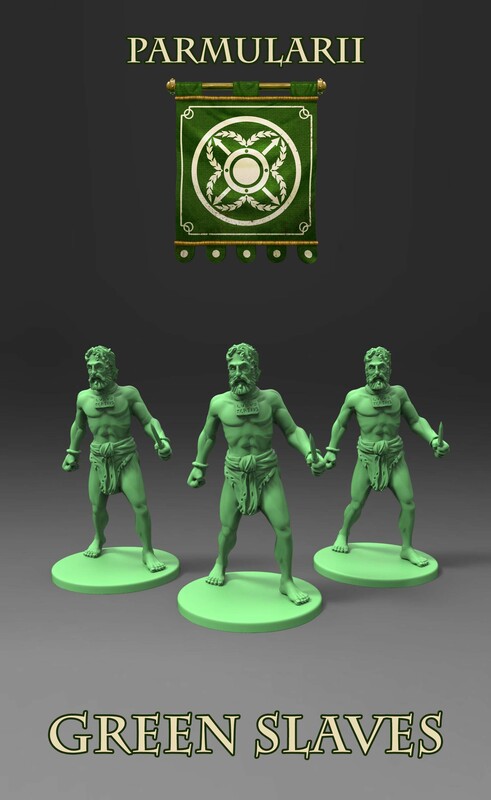 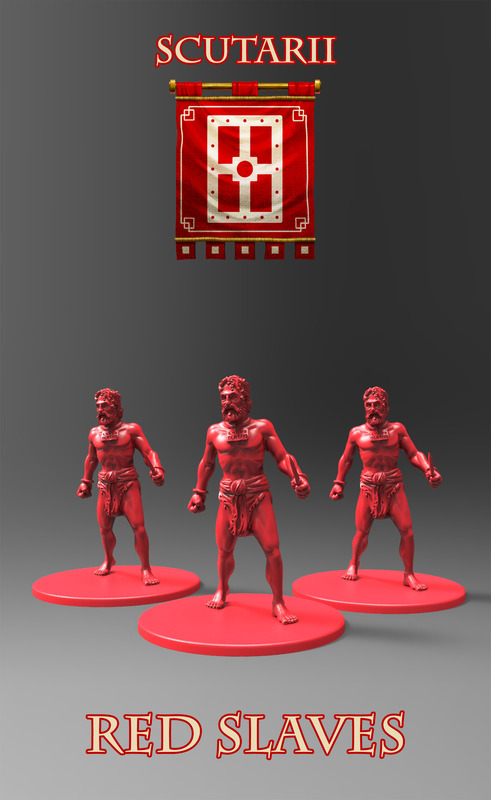 They will be sculpted in plastic, and will be about 30 mm (1,2 in) tall. 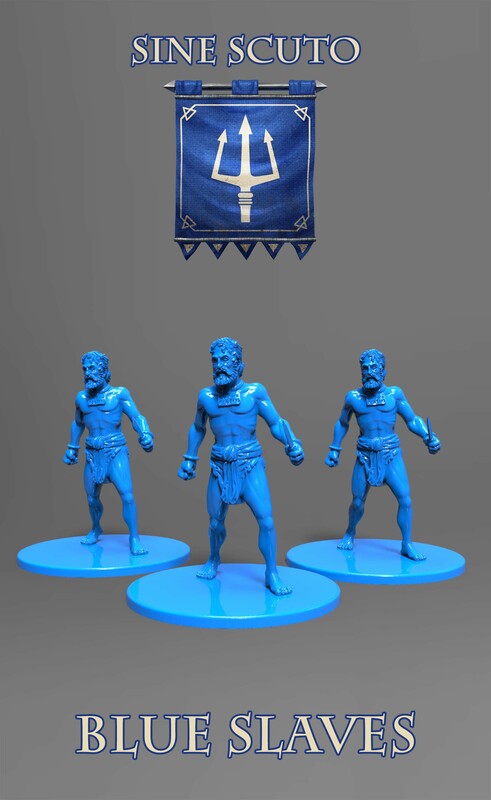 You can click on the teams to see their description. 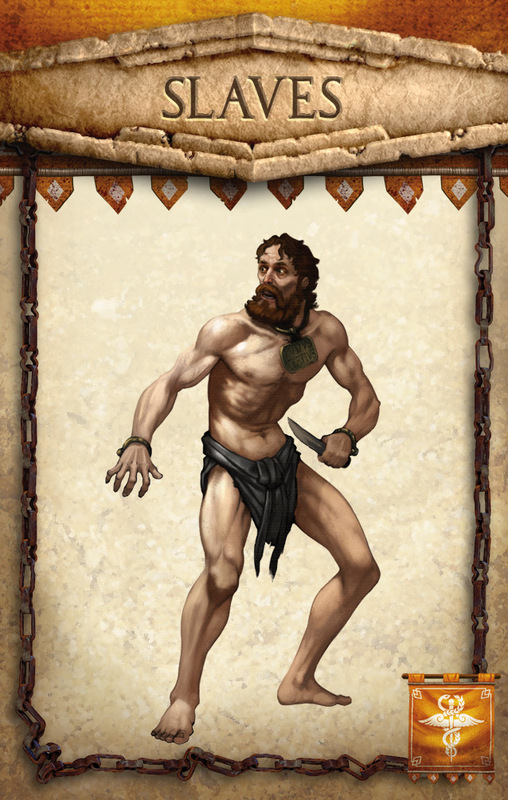 Luck has been on our side, and we have put together a fantastic collection of illustrations (approved by our expert in gladiators, naturally). 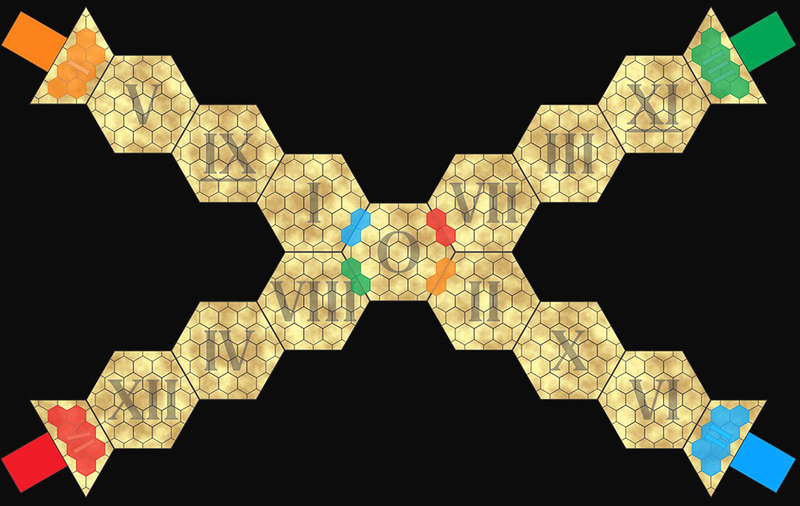 The arena can take various regular shapes, and each reversible section conceals a nasty surprise: hidden pits, spears or boiling oil ponds. 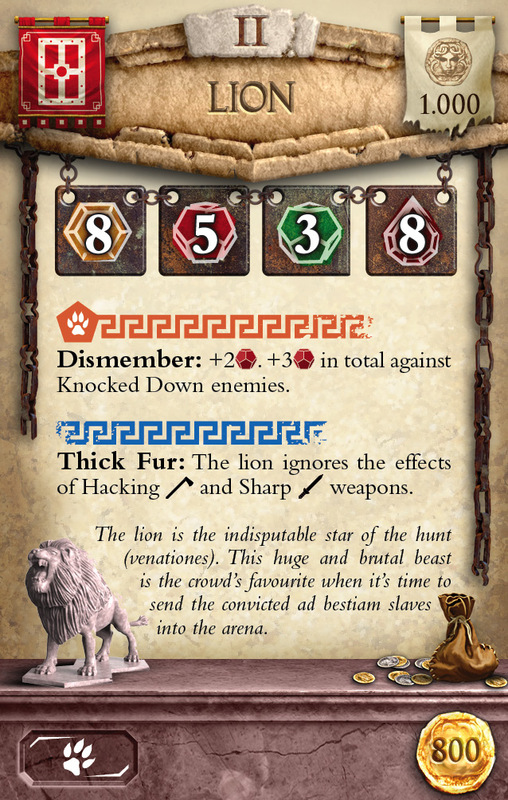 You can also fight in narrow settings, recreate historic battles… and even engage (with the “Circus” expansion set) in quadriga races! 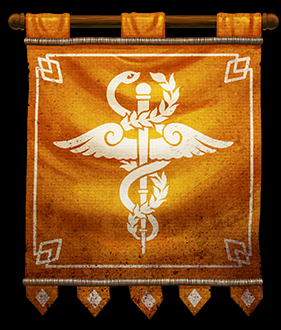 Each player chooses a team and receives some starting ⁠⁠⁠Sestertii that can be used to train their fighters, up to Level III. 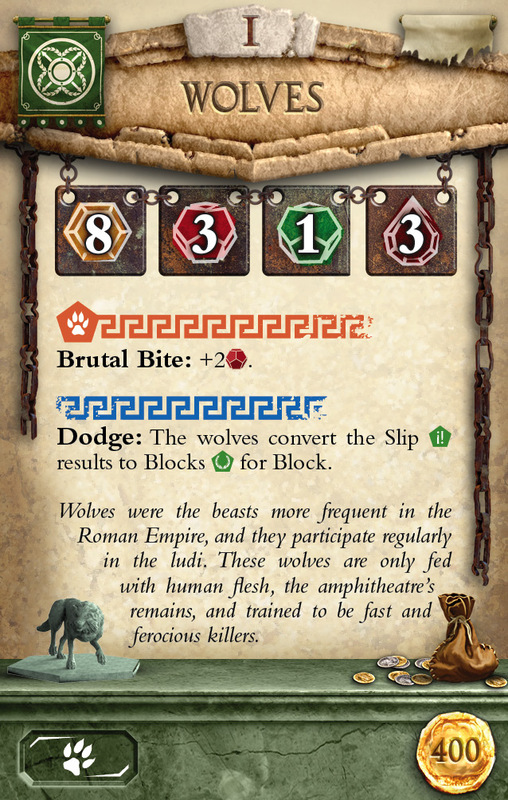 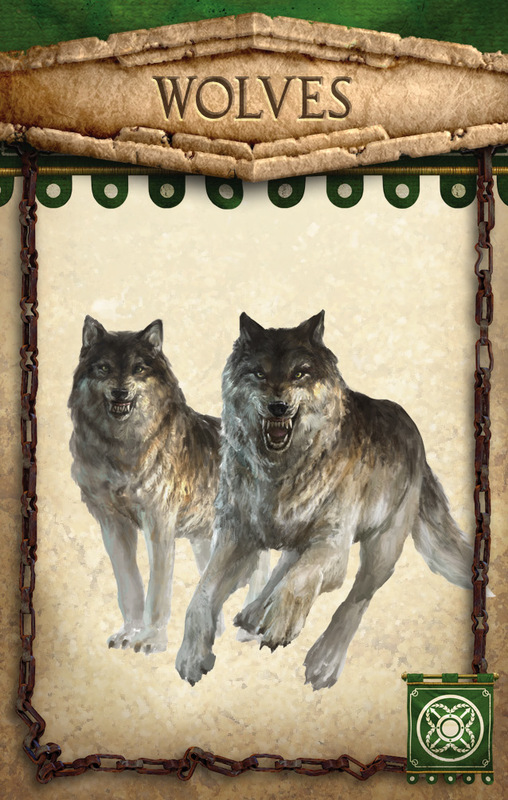 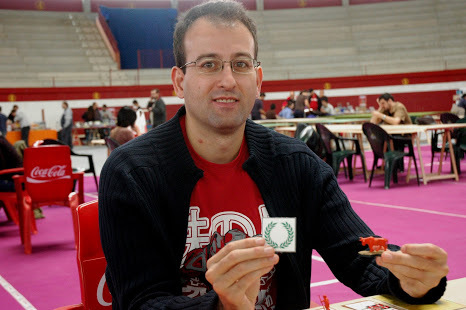 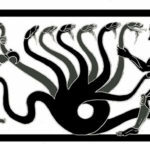 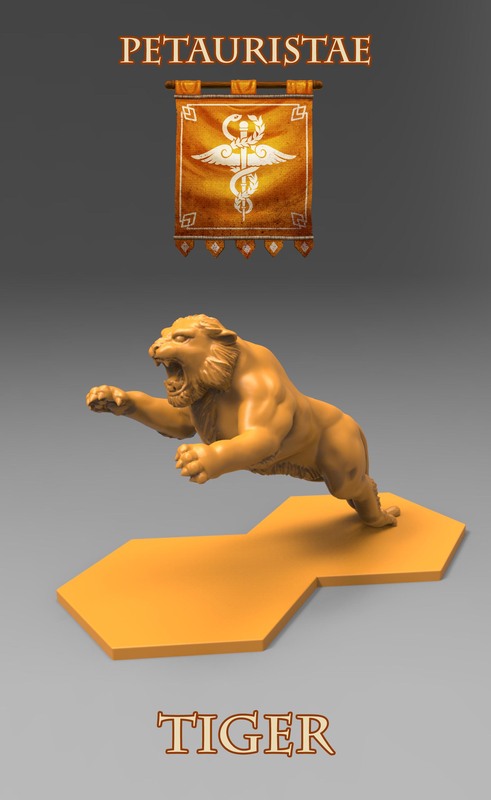 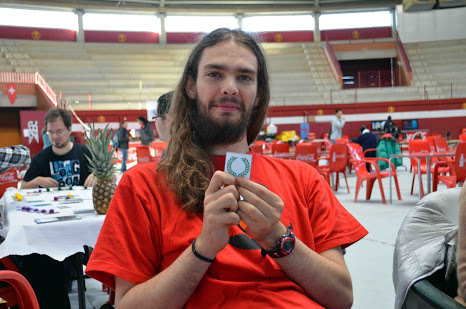 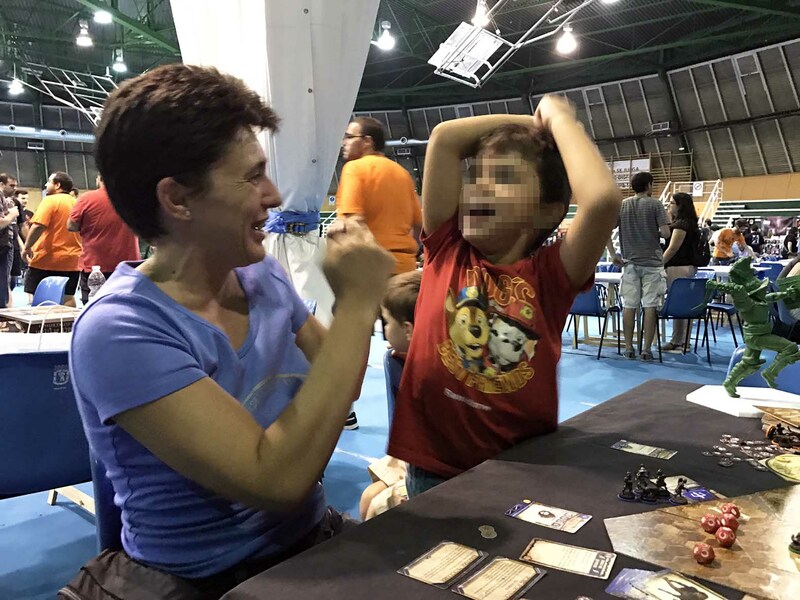 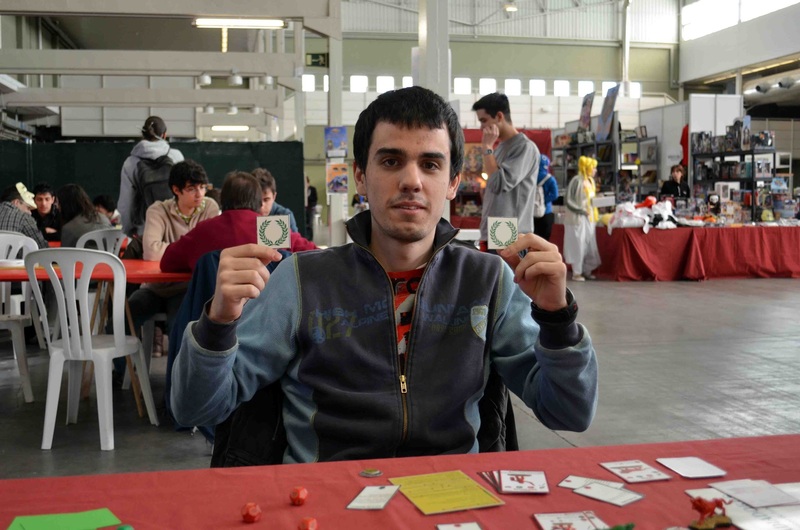 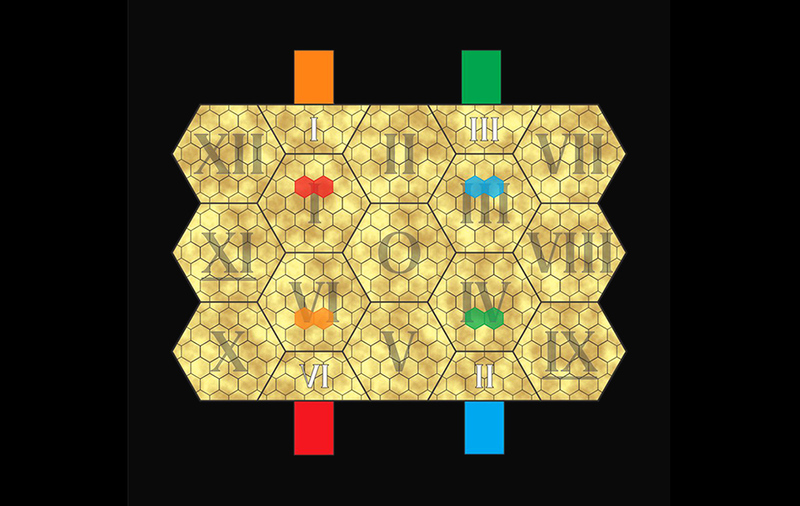 Each game is made up by 1 to 3 Events, wich vary in its goals and number of fighters: Slaves devoured by beasts, gladiators against beasts, gladiator duels… The game is played by turns, but cards in your hand can be used at any time, causing unexpected results (ie: a “Jupiter’s Lightning” that scorches an opponent). 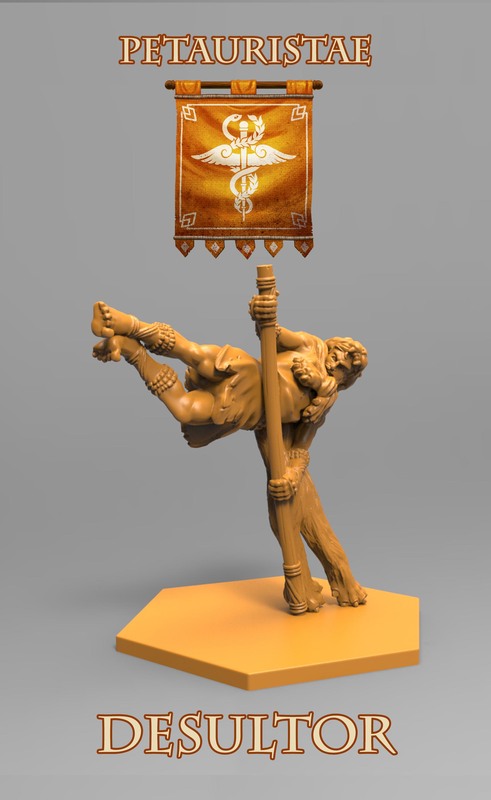 Winners receive rewards and prizes -in ⁠⁠⁠Sestertii- that can be invested to develop their fighters. 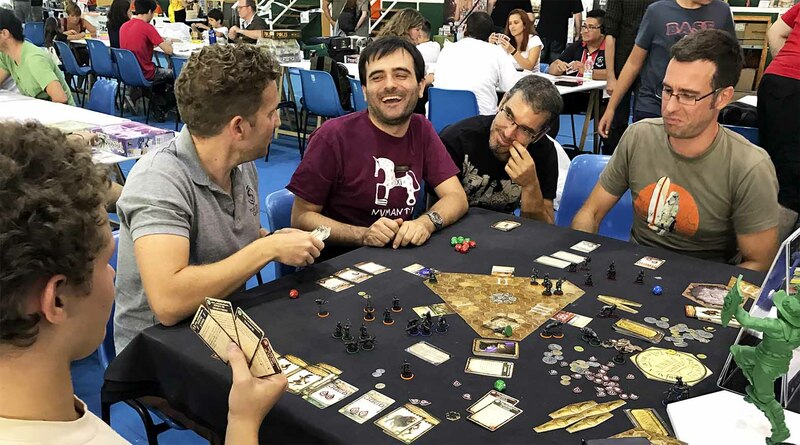 The game will be won by the player who has the most ⁠⁠⁠Sestertii at the end. 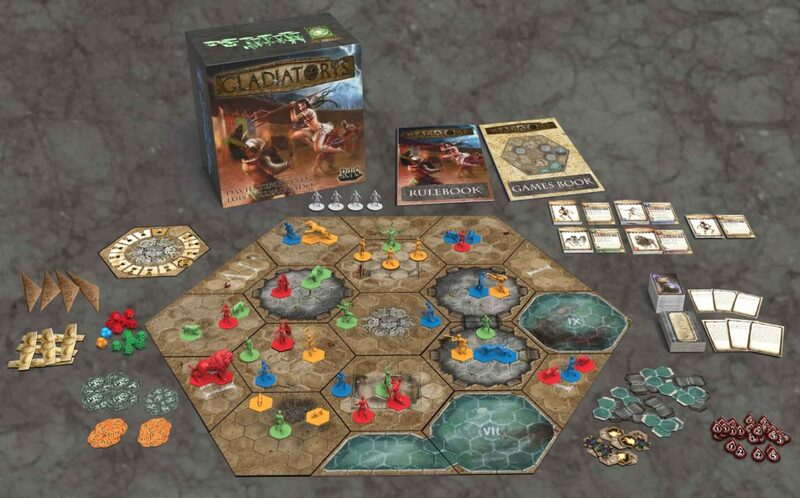 Each player has 3 Gladiators, 3 Beasts and a bunch of Slaves, and they must choose wisely when investing their ⁠⁠⁠Sestertii. 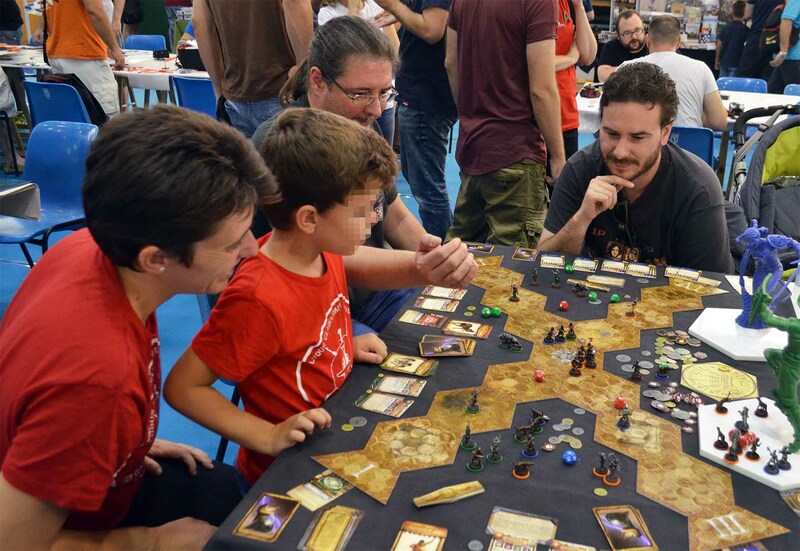 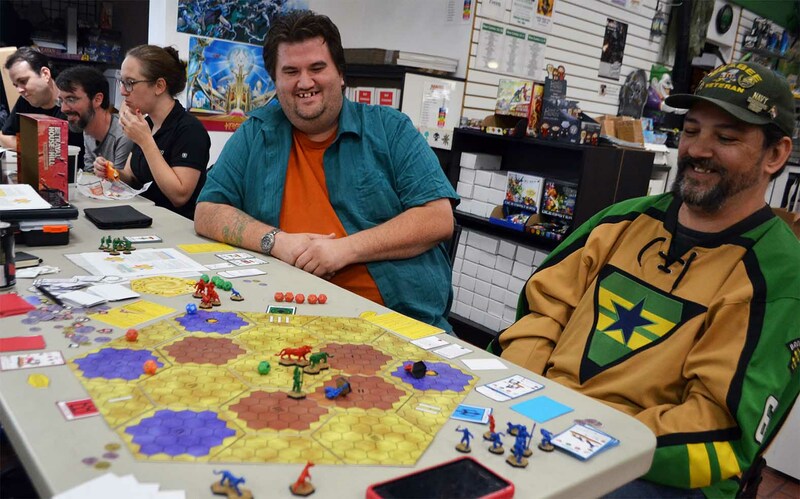 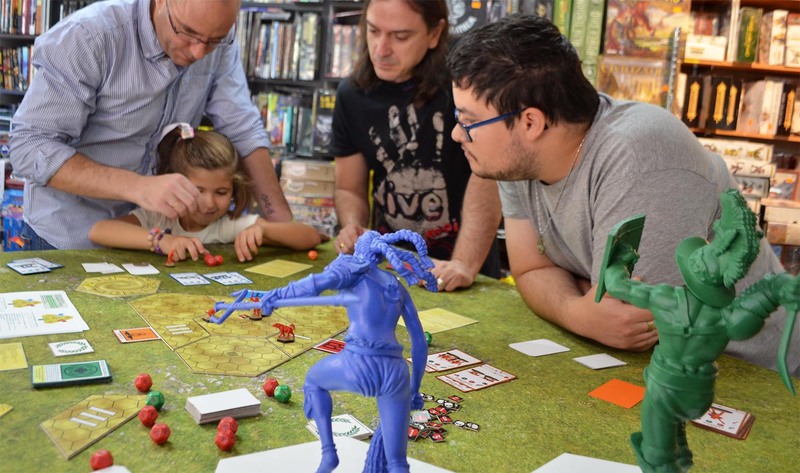 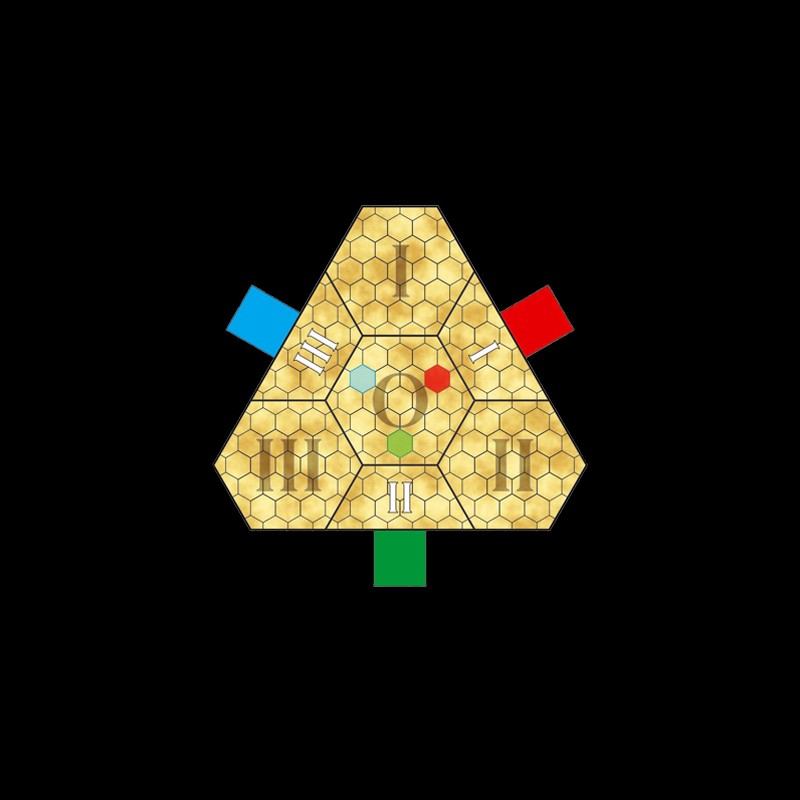 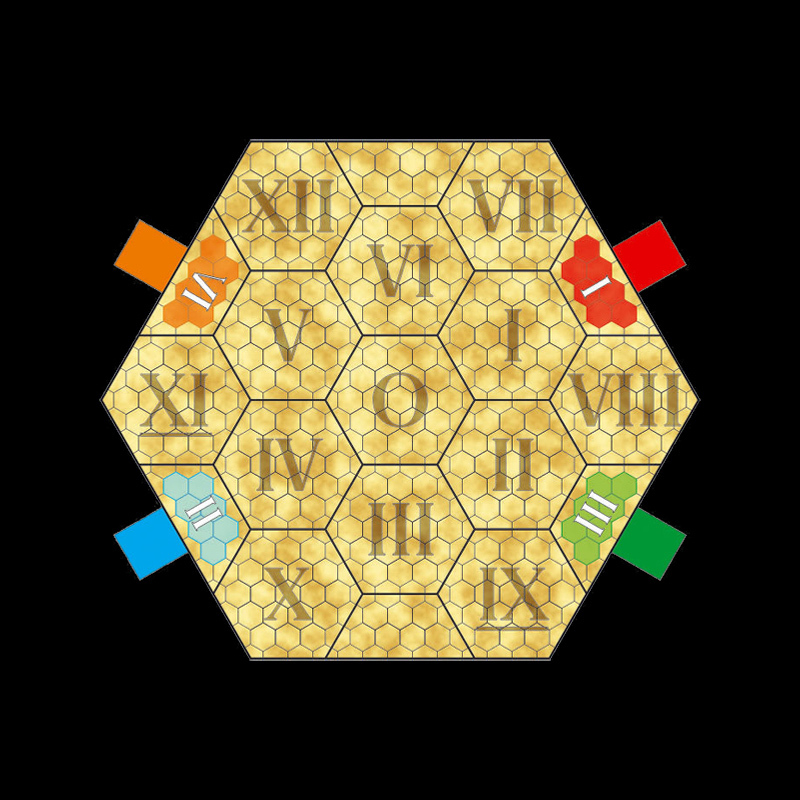 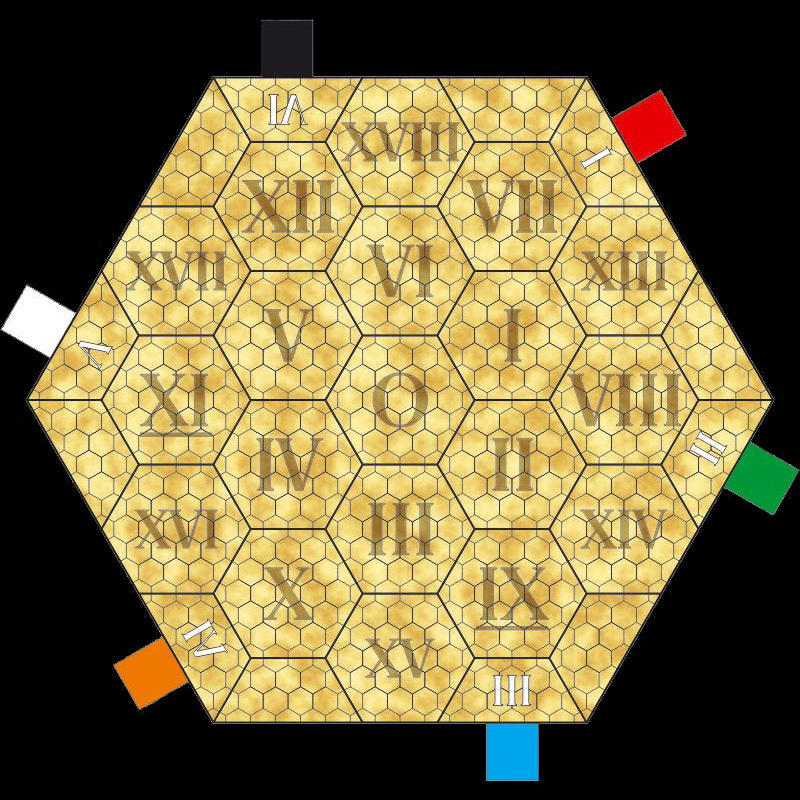 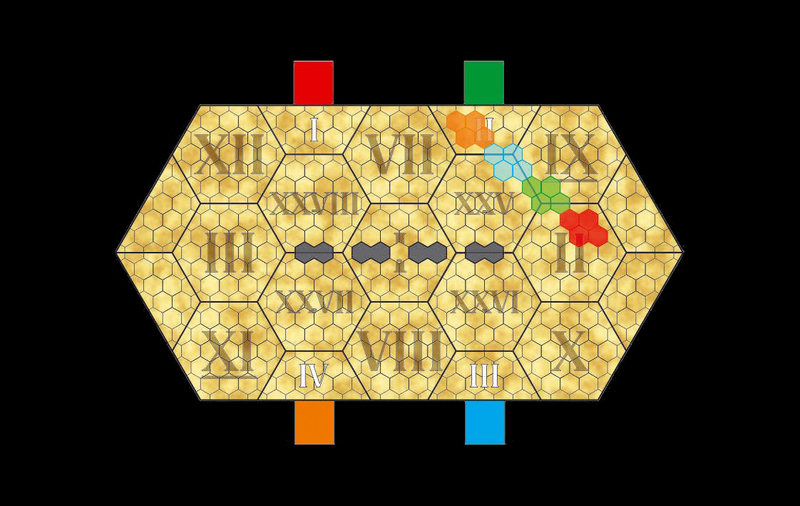 The basic set allows for games of up to 4 players: red, green, blue and orange; up to 6 players with any of the 3 KS Extra Teams (dark red, dark green, dark blue). 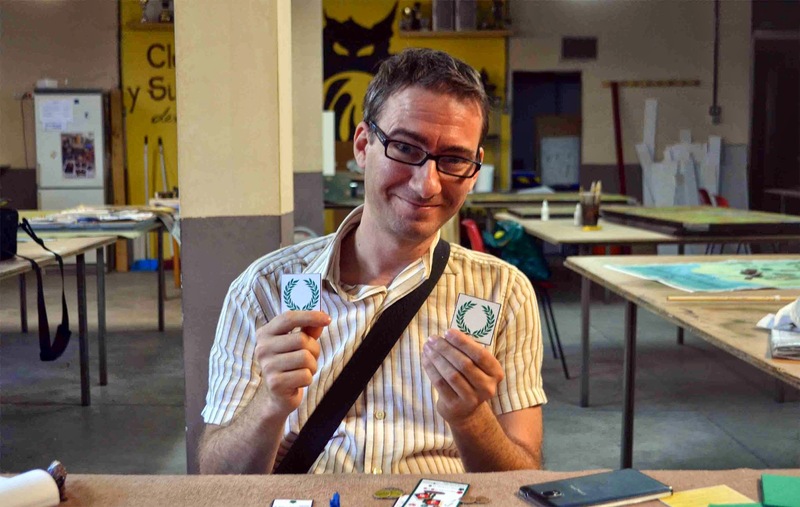 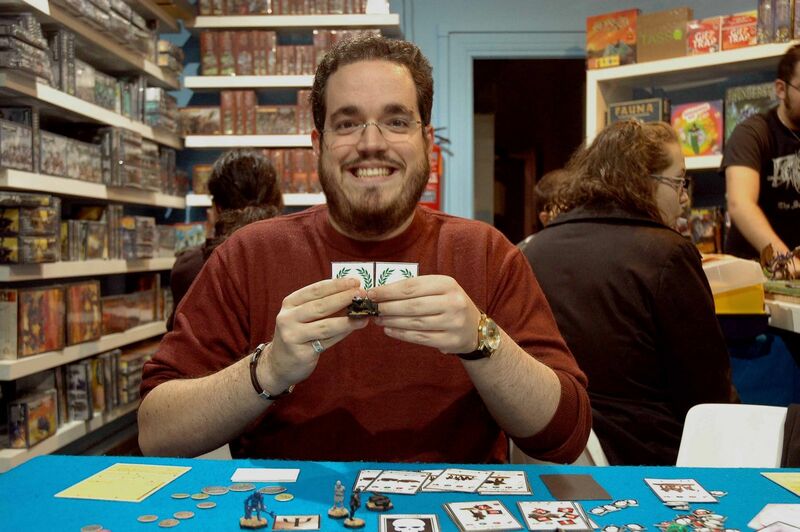 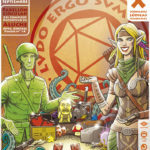 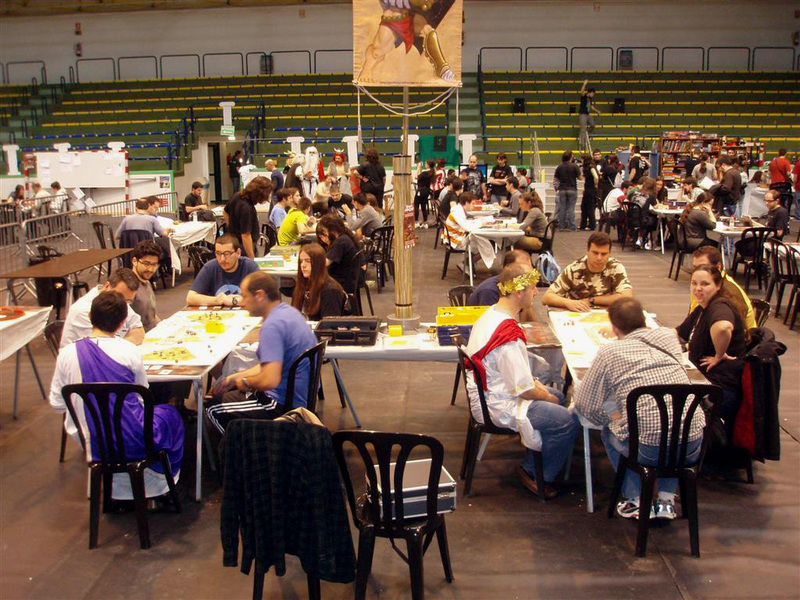 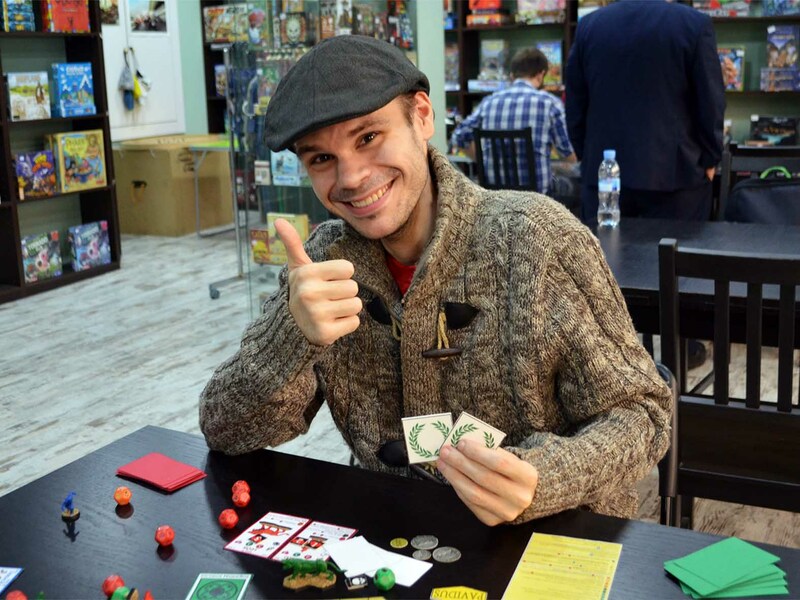 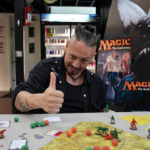 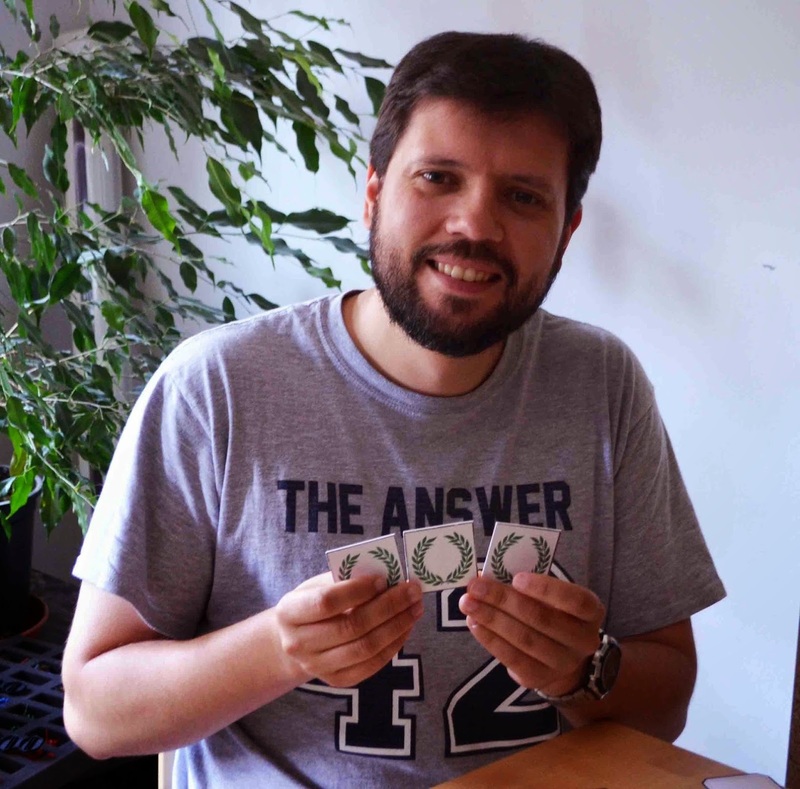 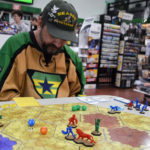 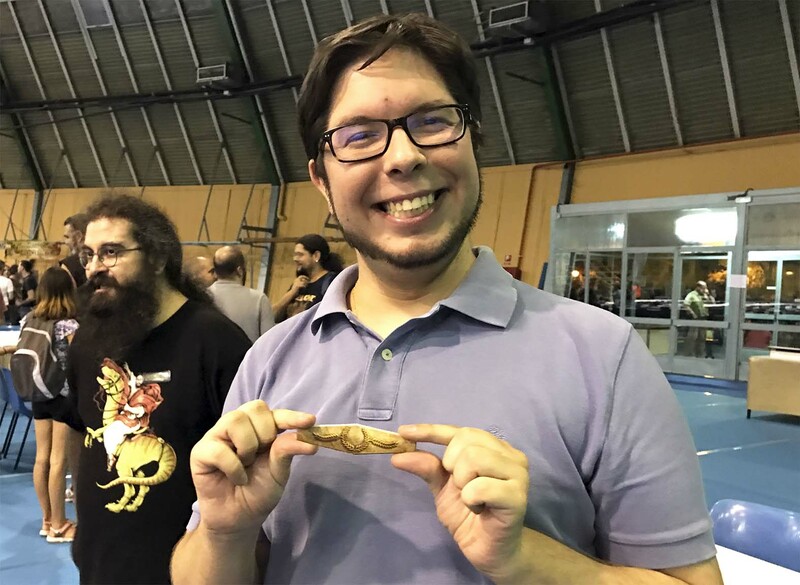 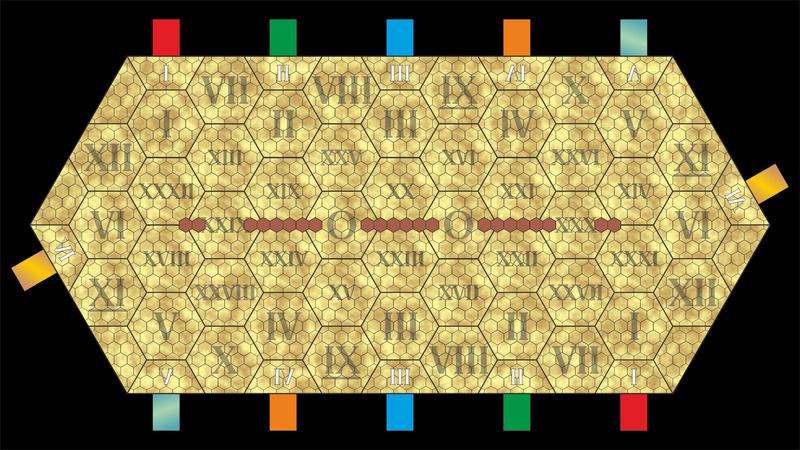 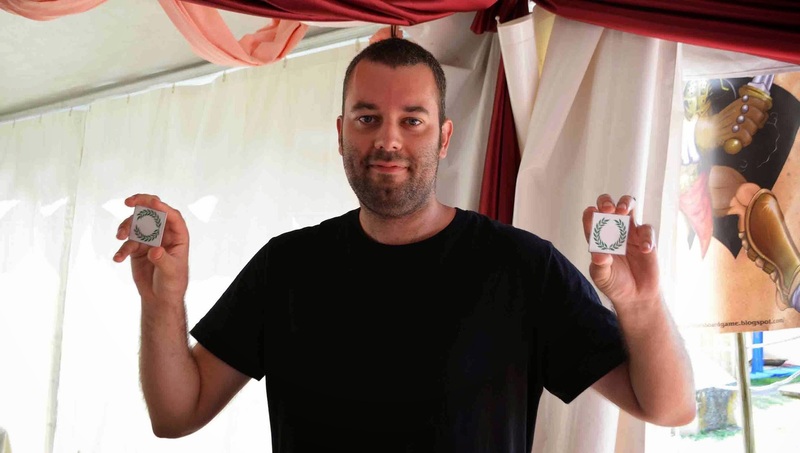 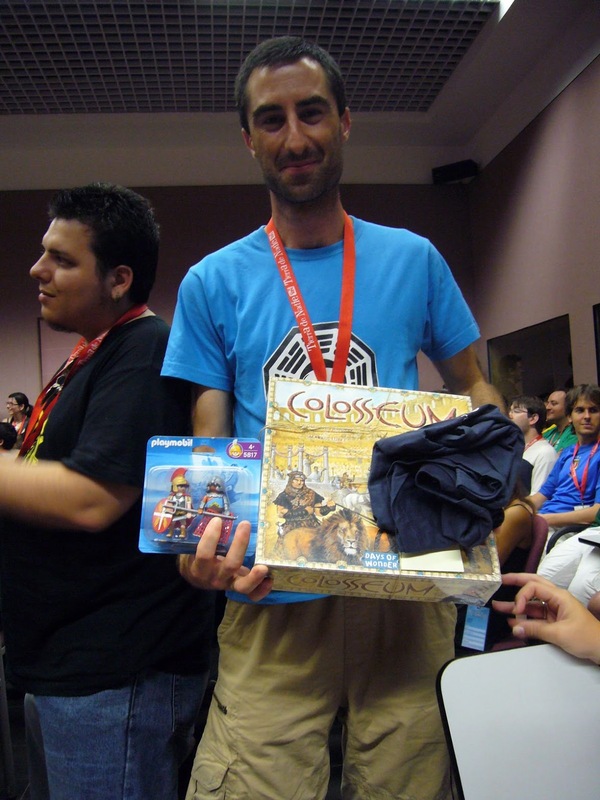 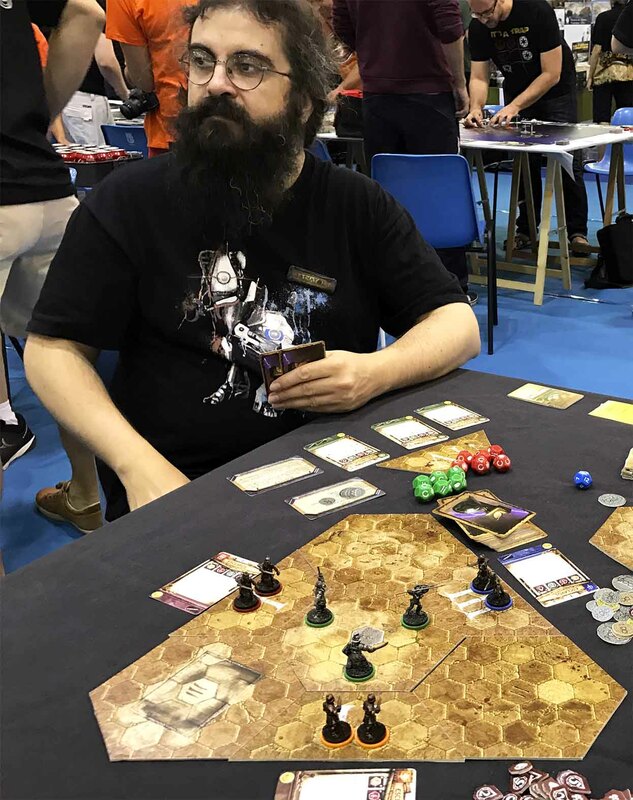 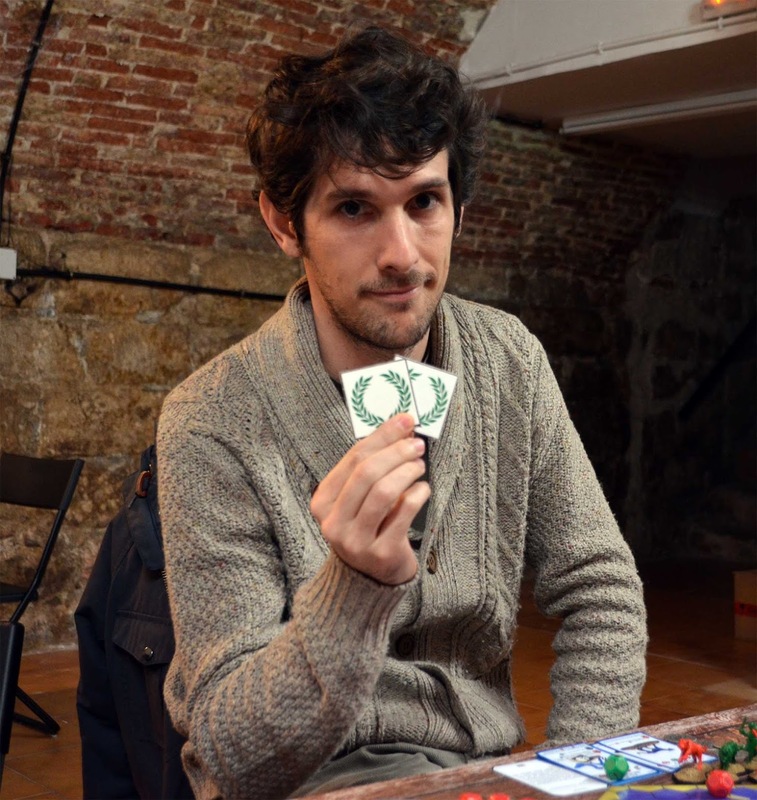 Each of the expansions (“Colosseum”, “Venatio”, “Circus”…) includes new rules, board sections and 2 new teams, so 6-players games are now possible. 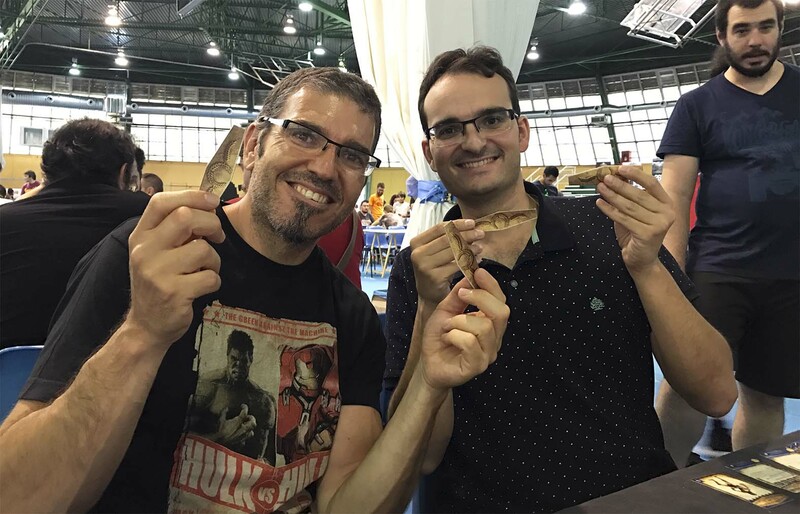 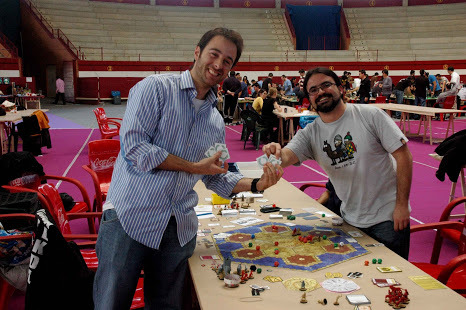 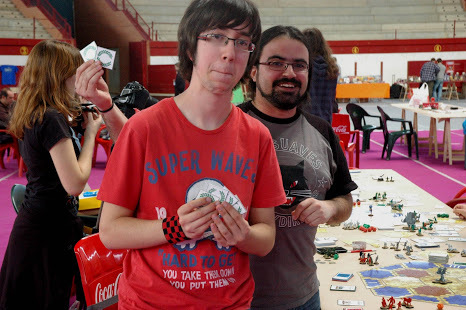 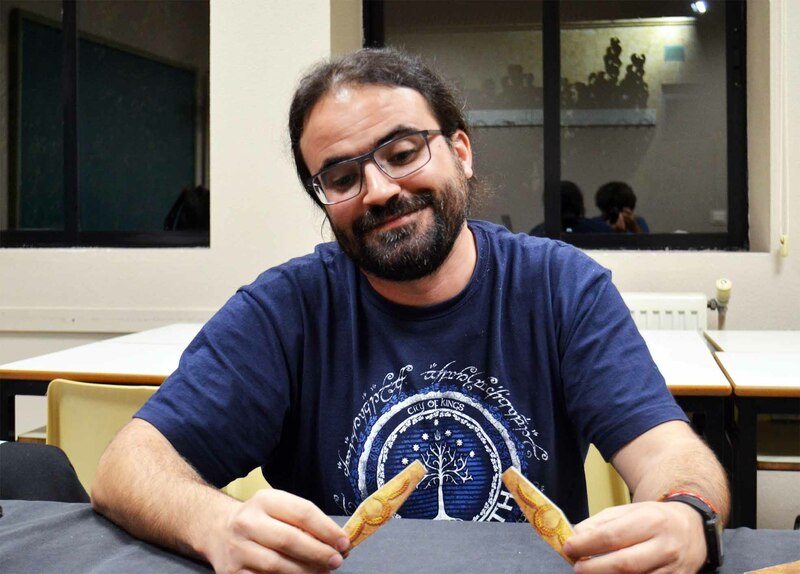 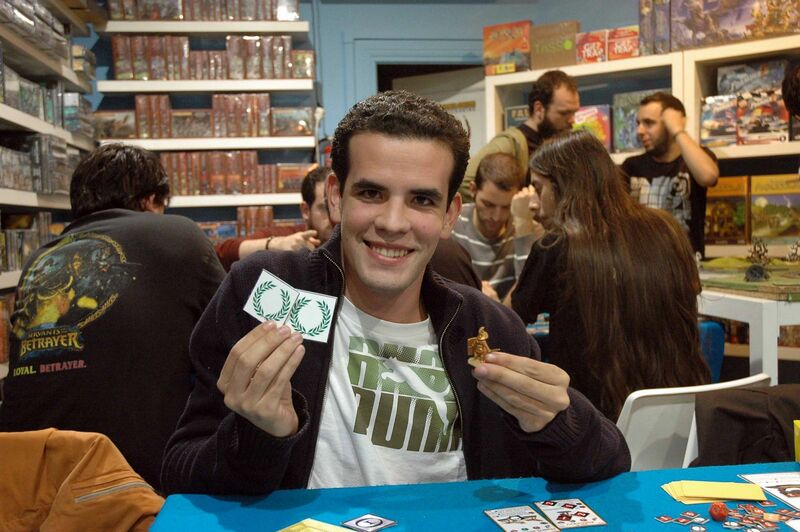 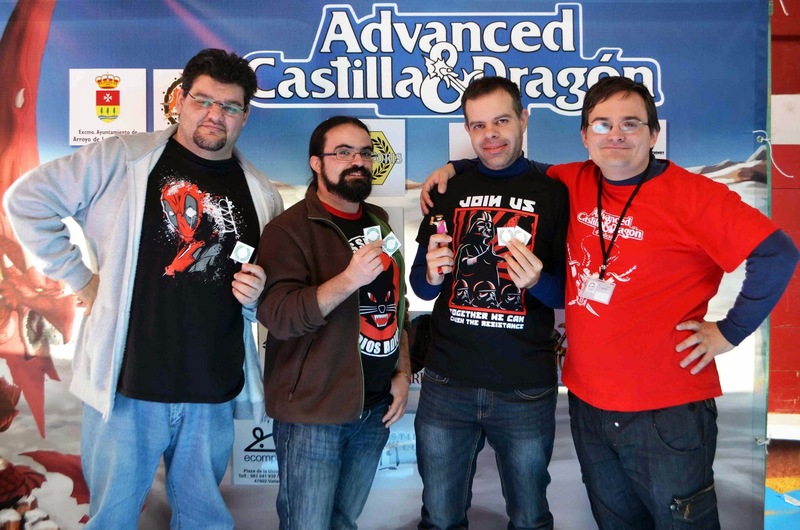 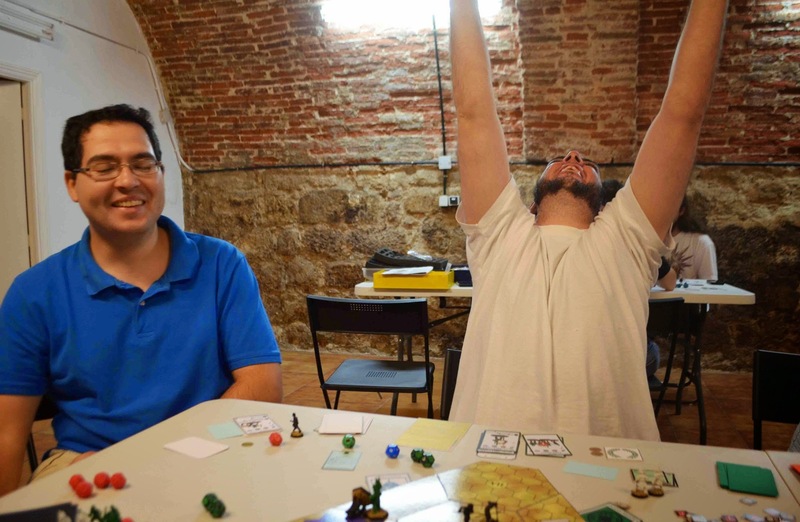 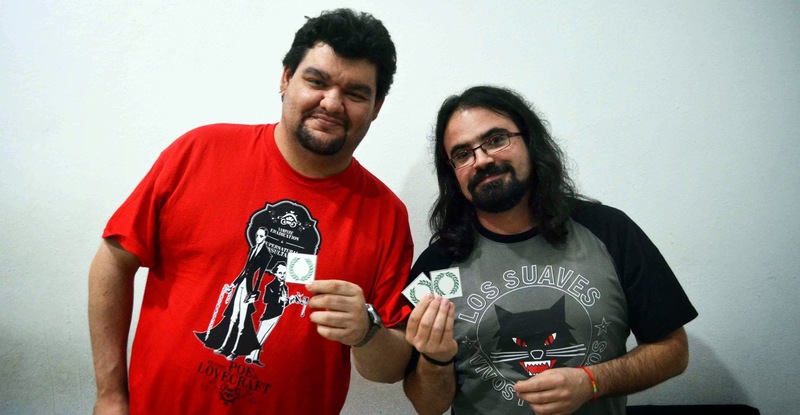 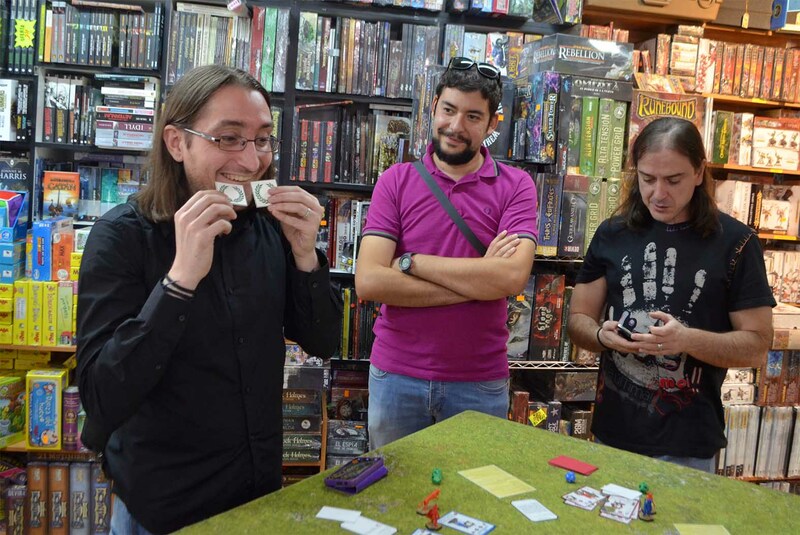 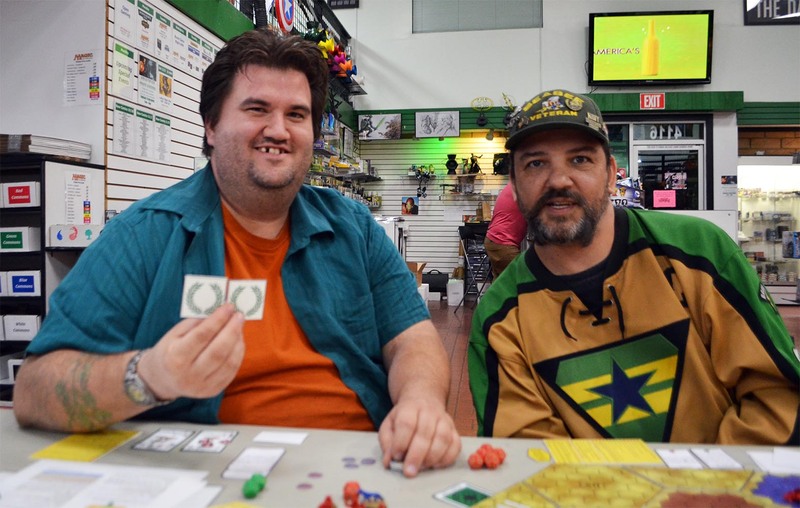 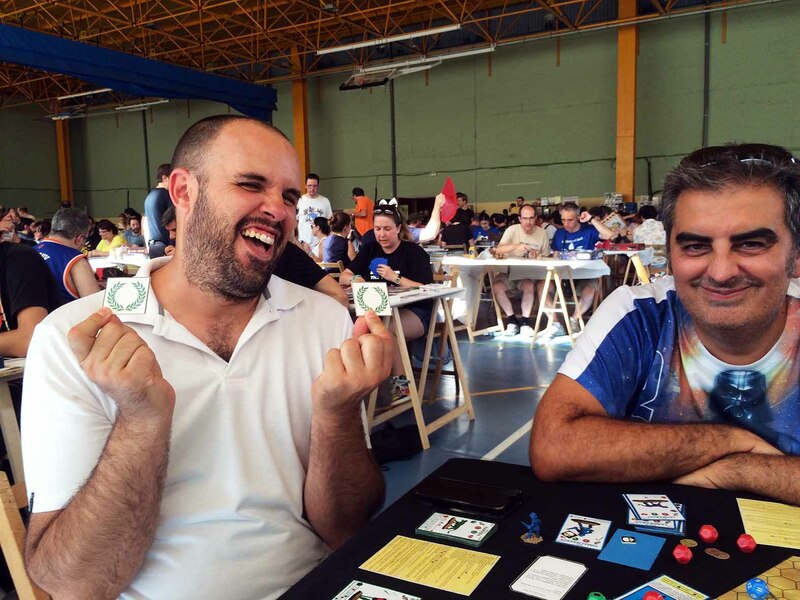 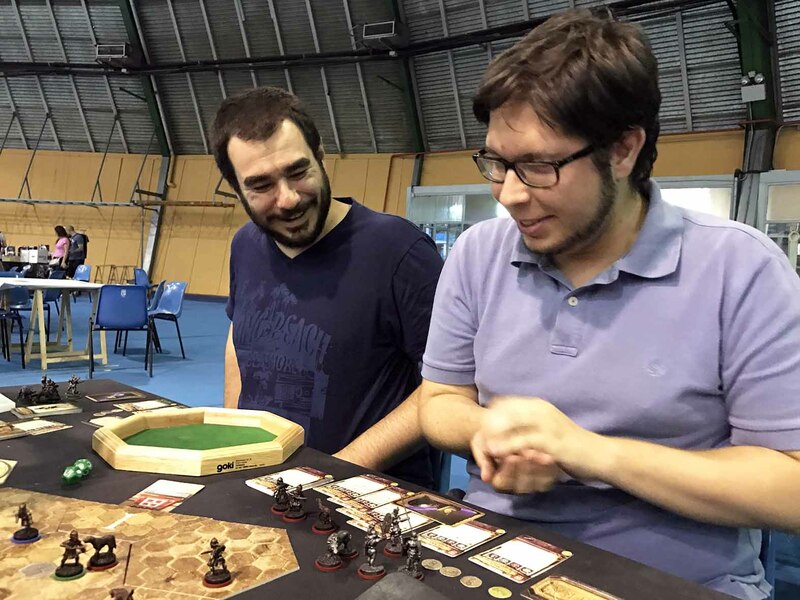 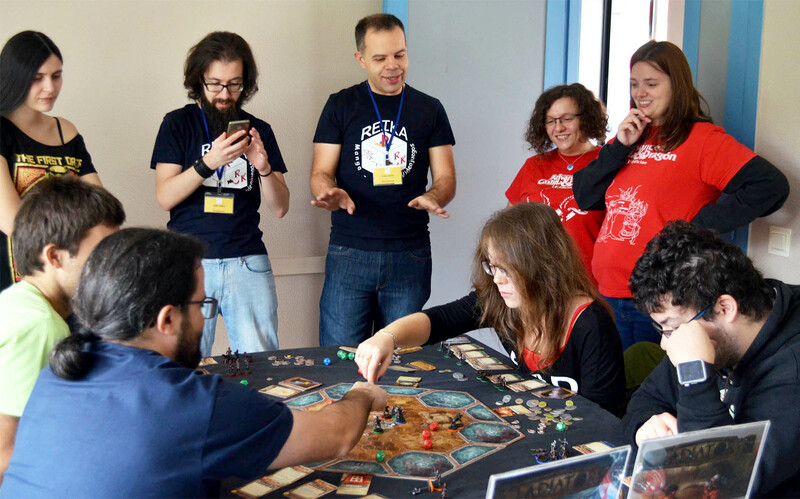 David Temprano and Luis Valleaguado, assisted by the EscenaRYS team and our wonderful player community. 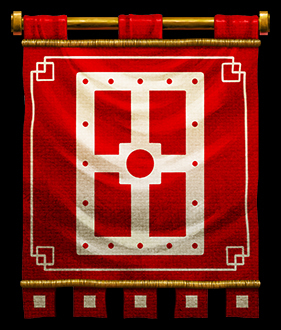 You can email us at gladiatoris.fans@gmail.com; you can also join our friends list and we will be able to answer your questions here.